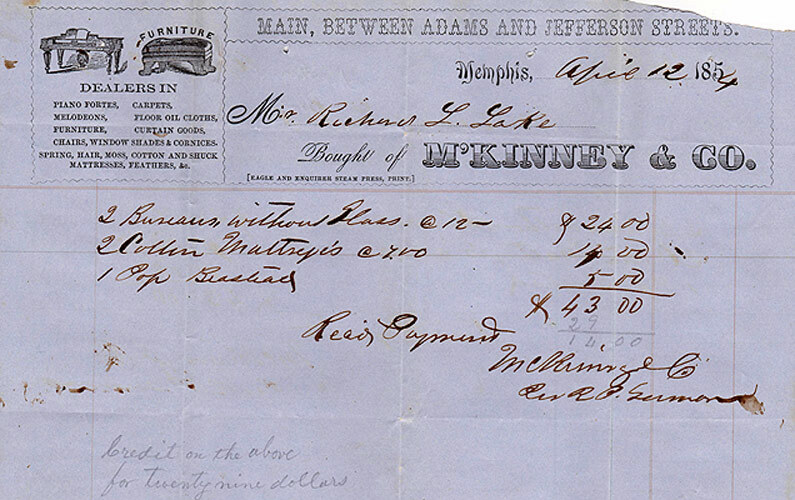 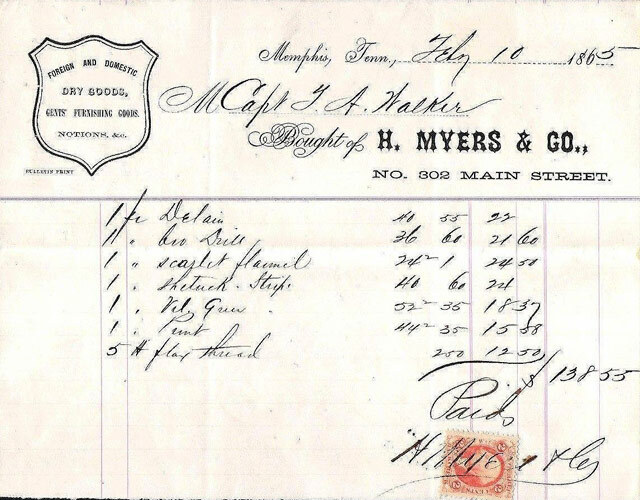 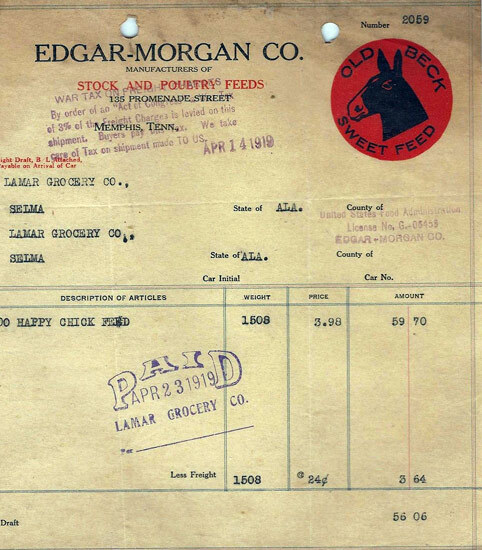 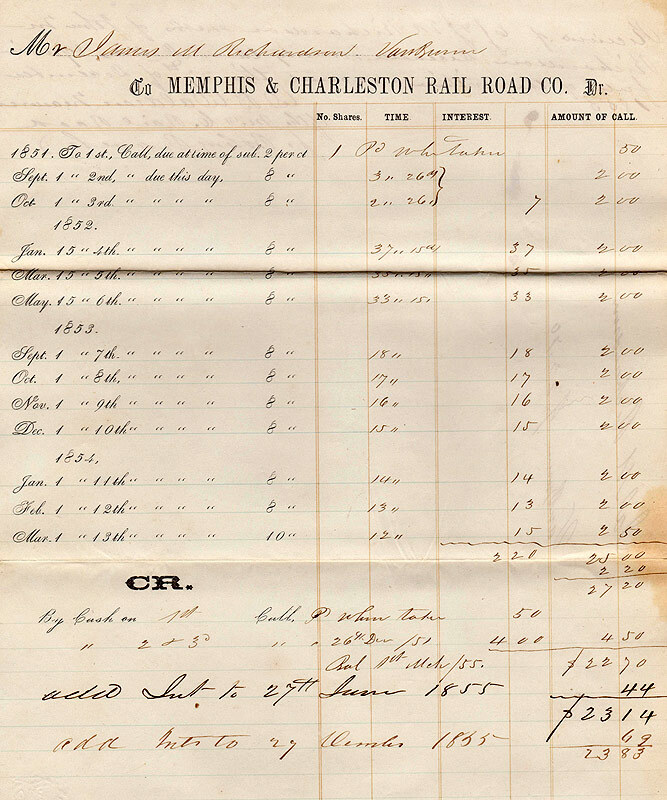 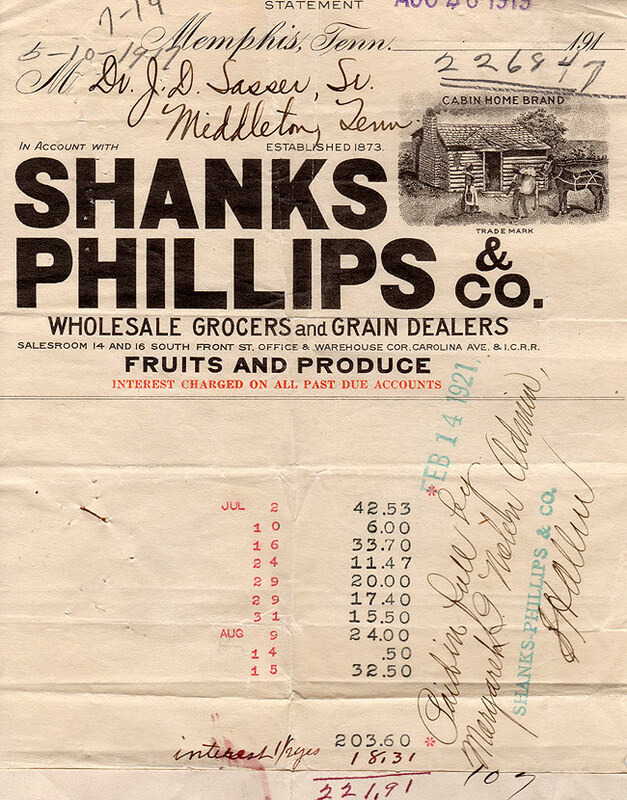 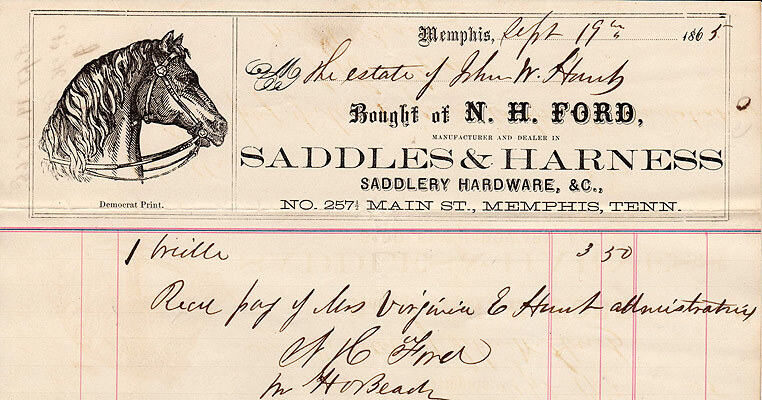 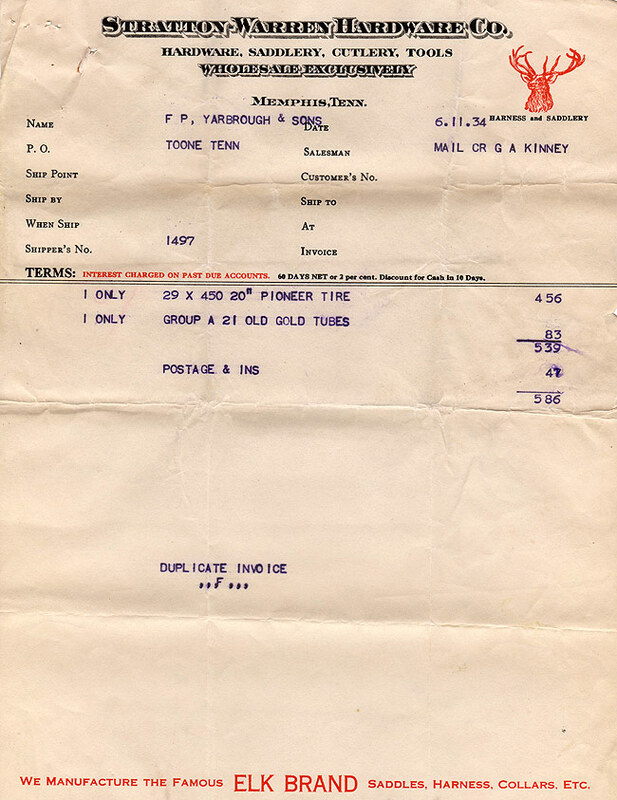 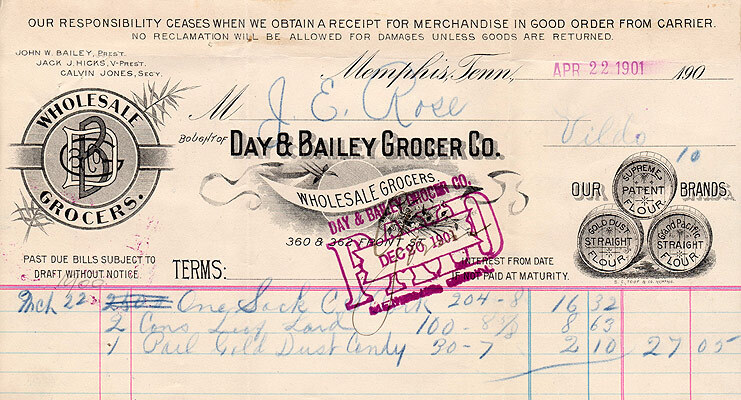 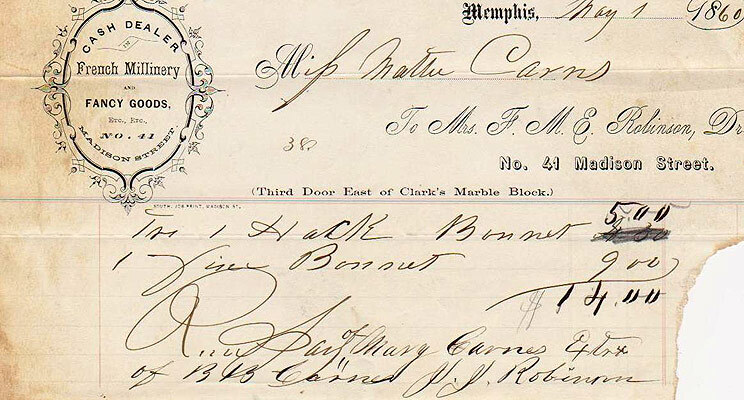 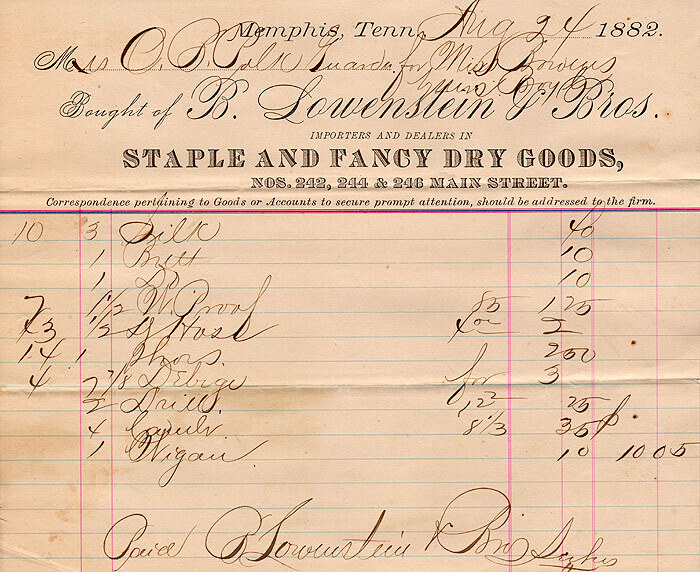 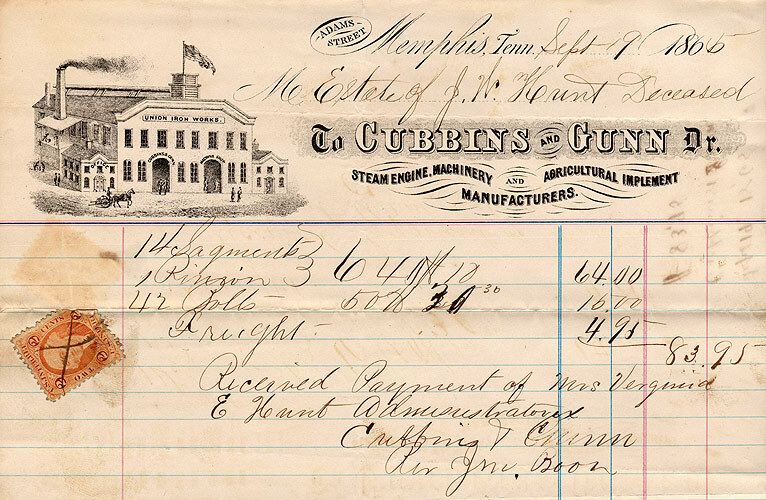 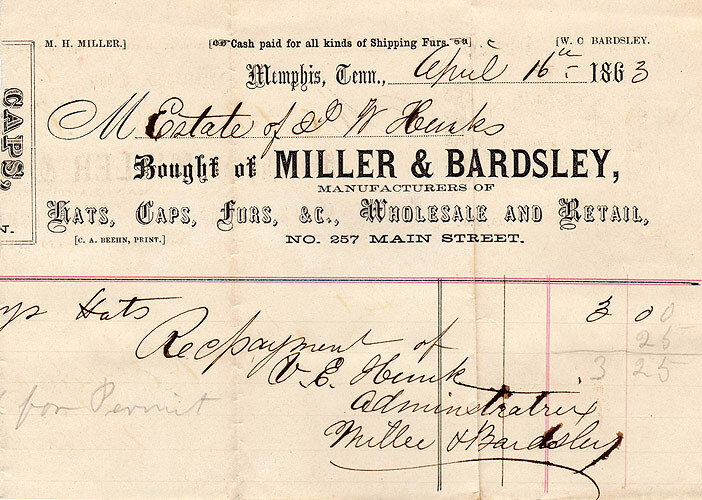 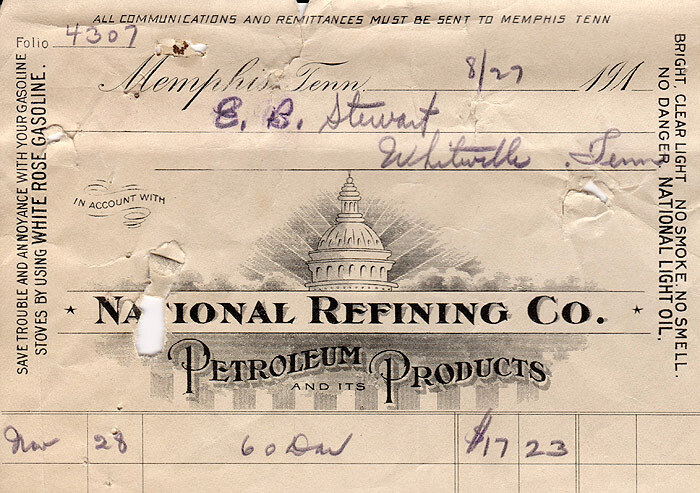 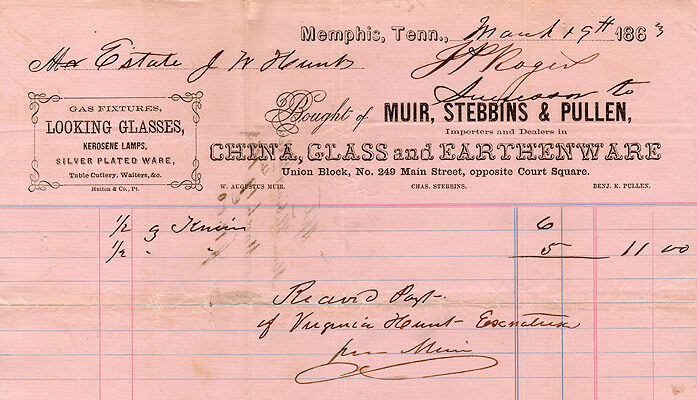 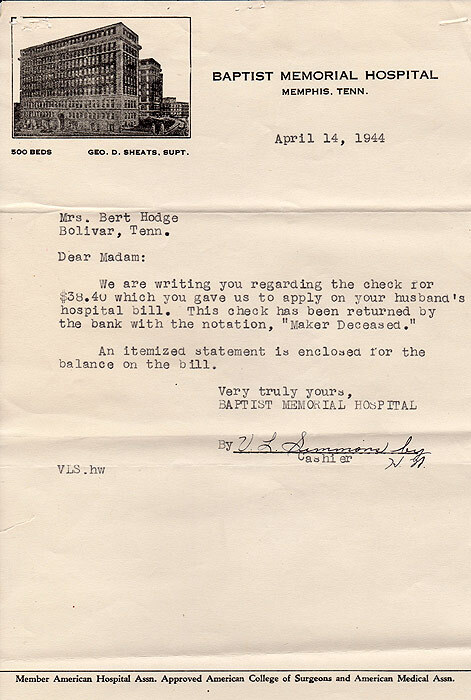 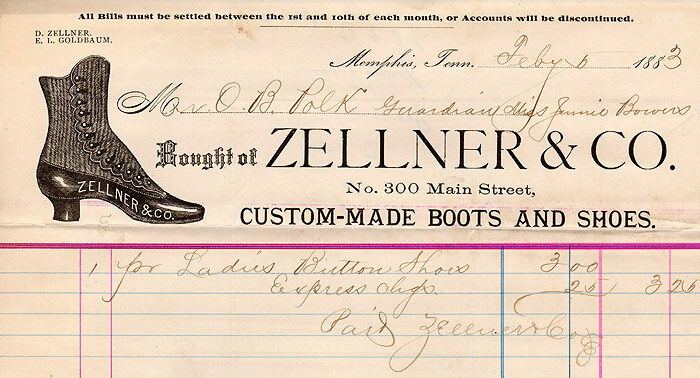 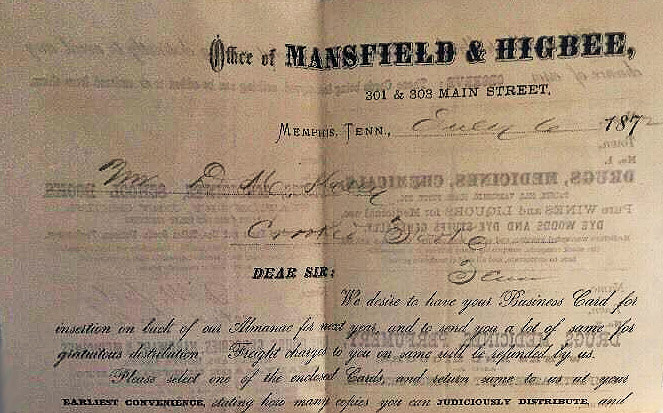 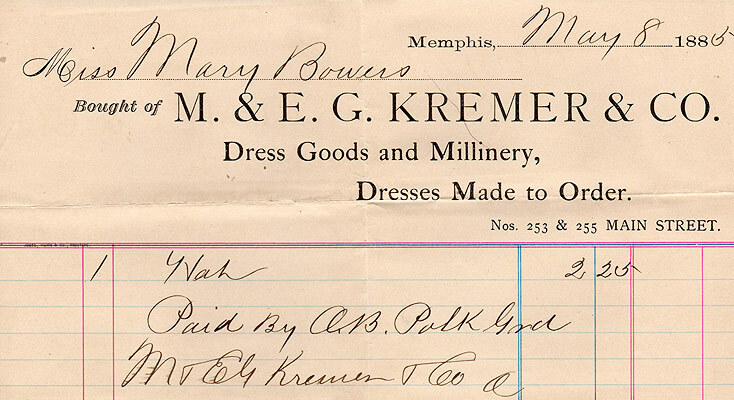 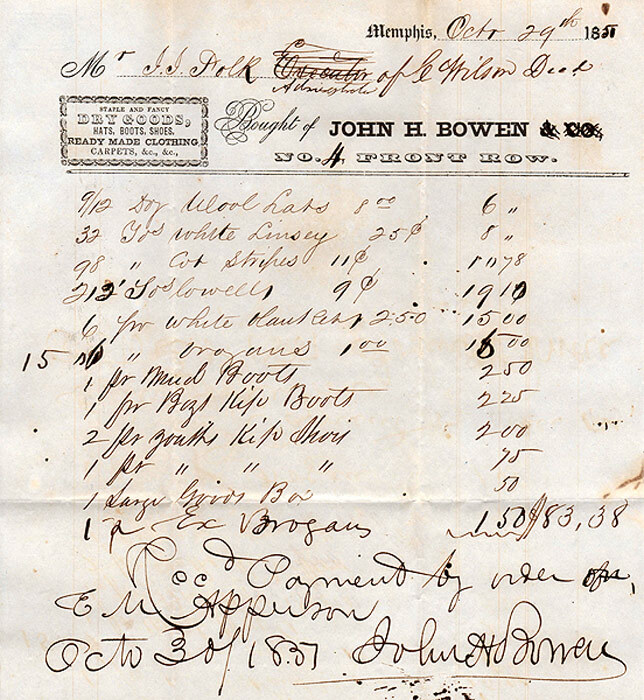 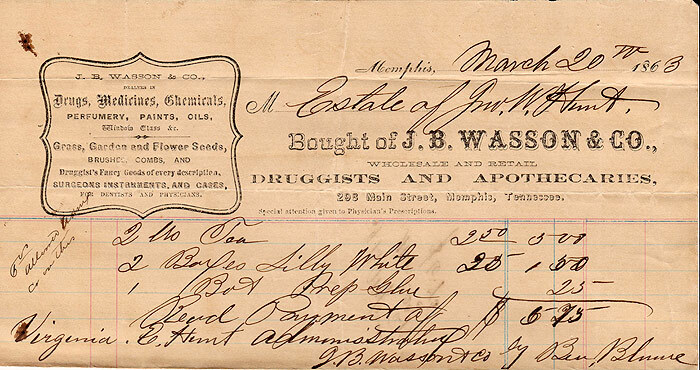 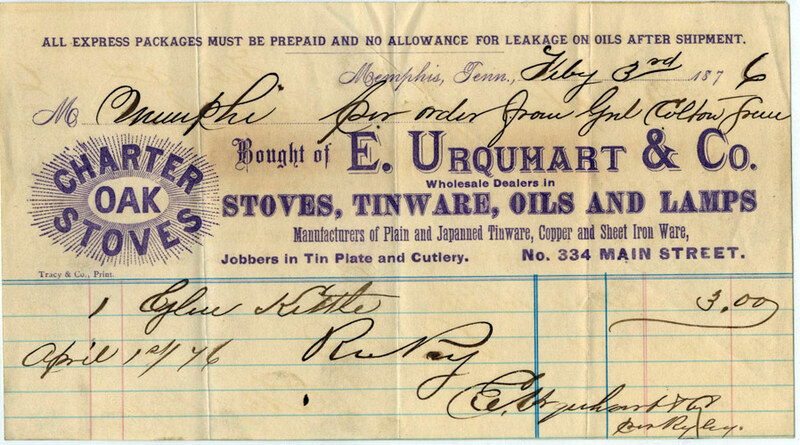 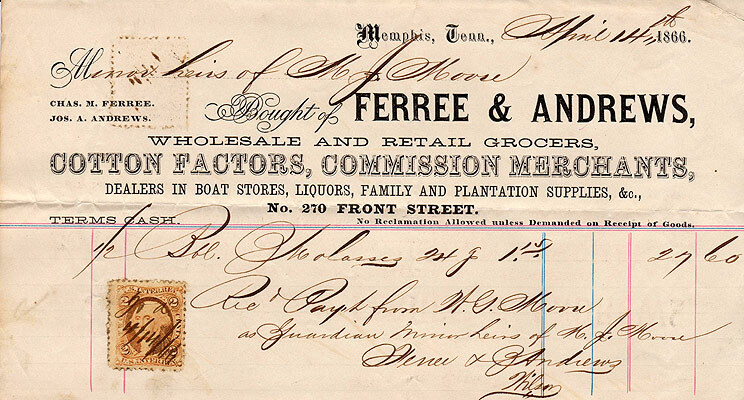 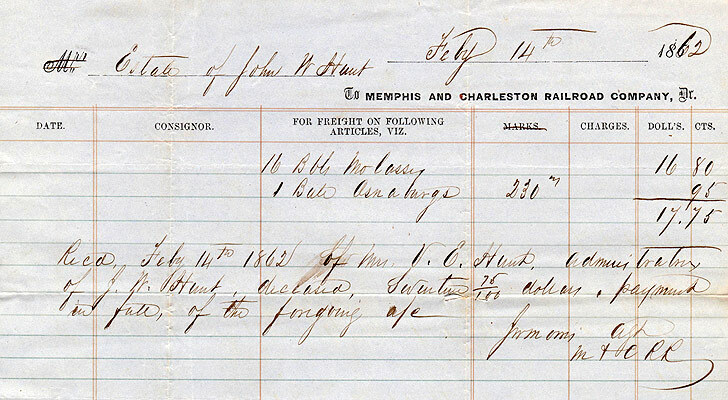 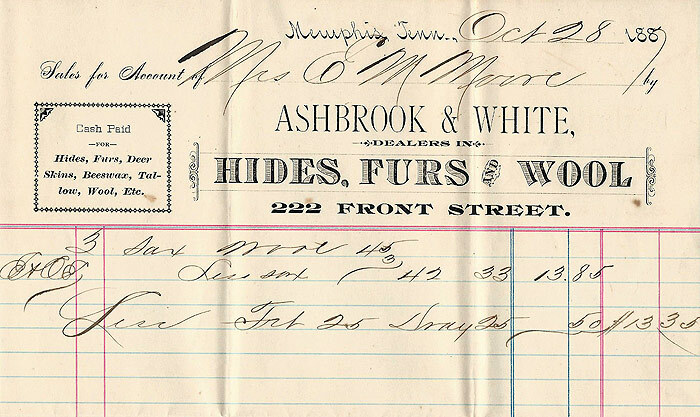 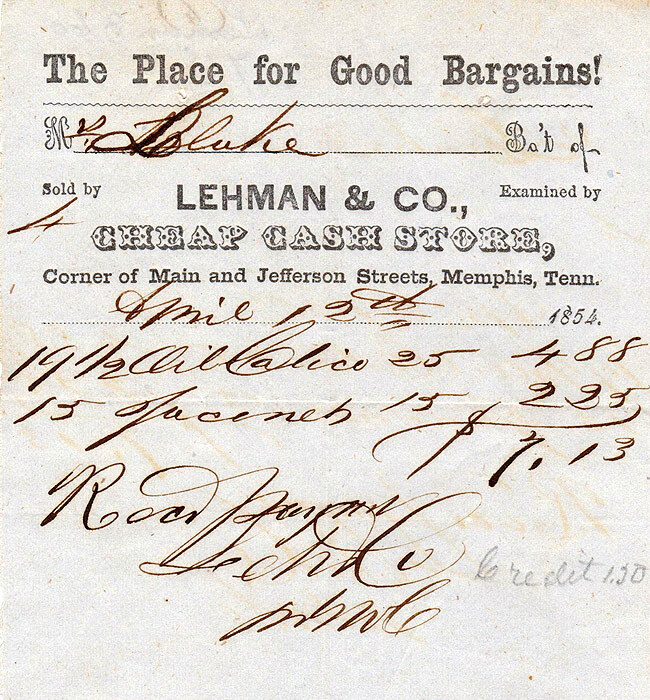 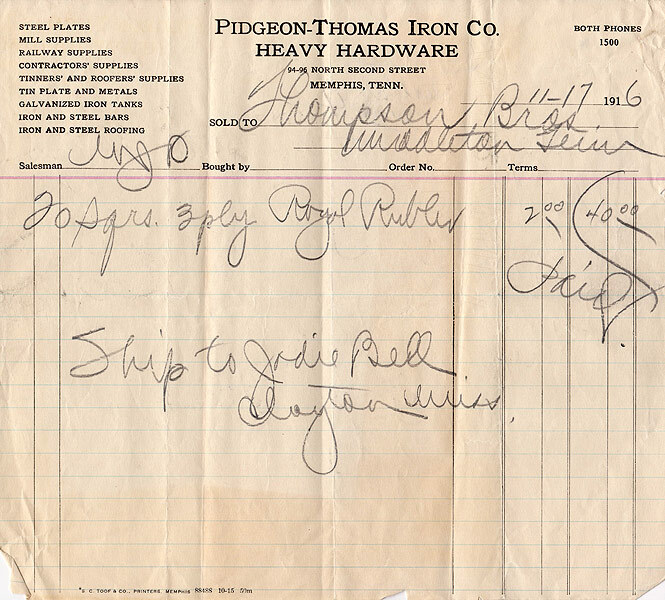 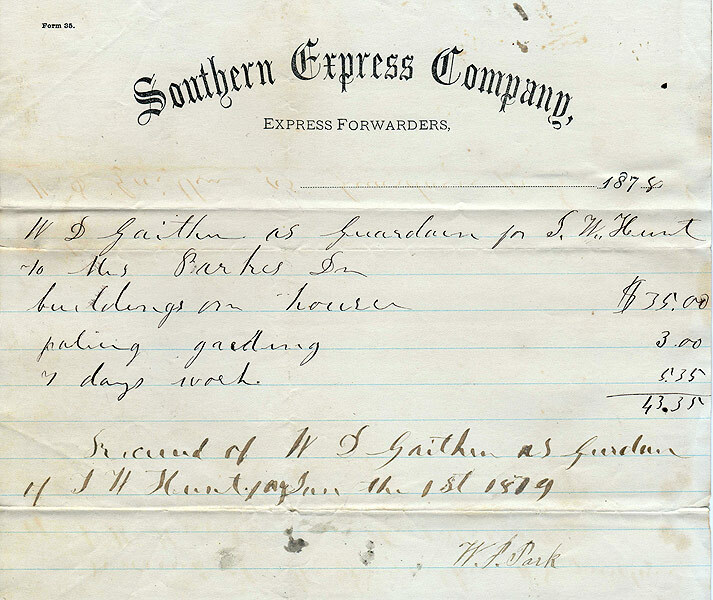 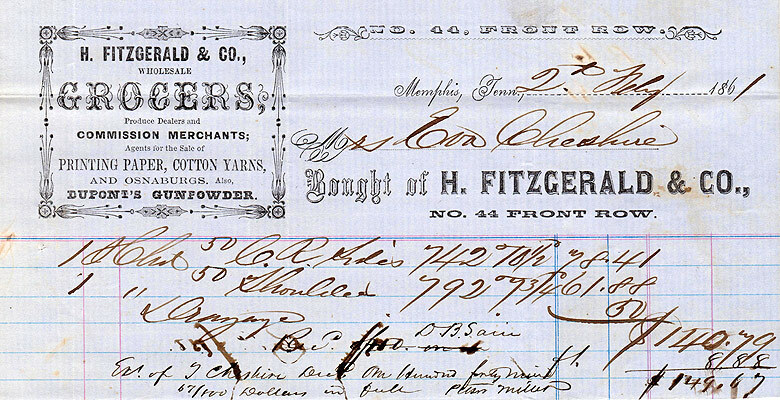 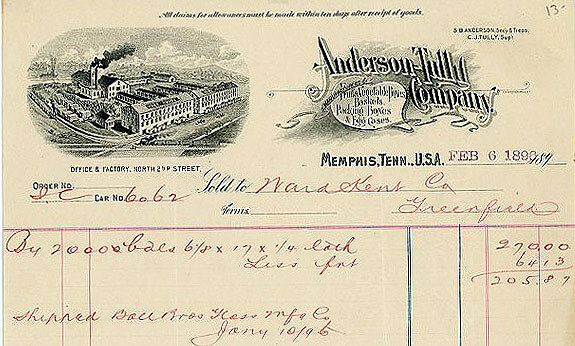 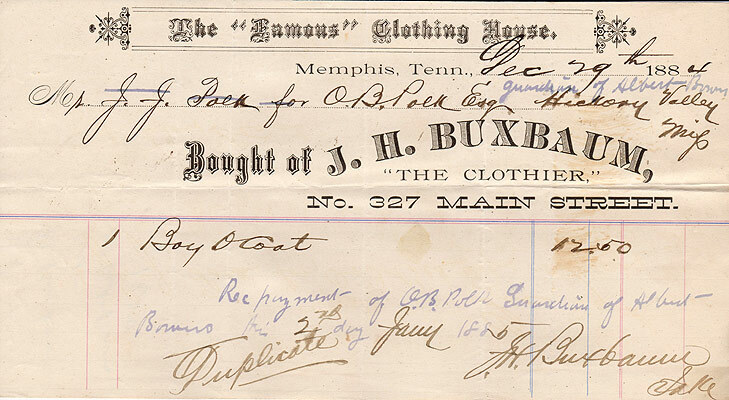 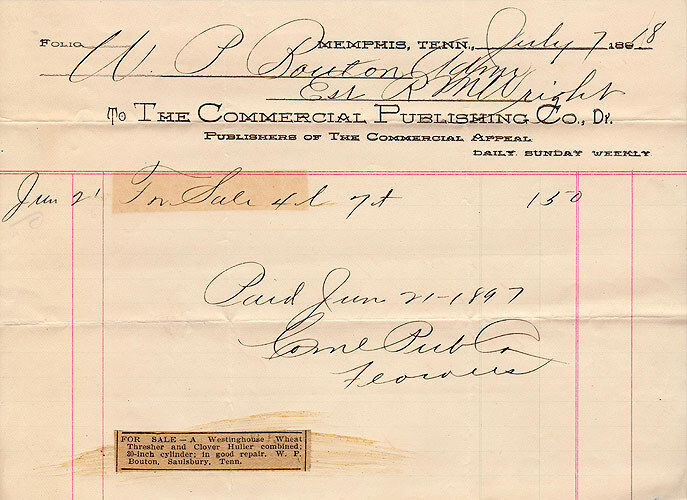 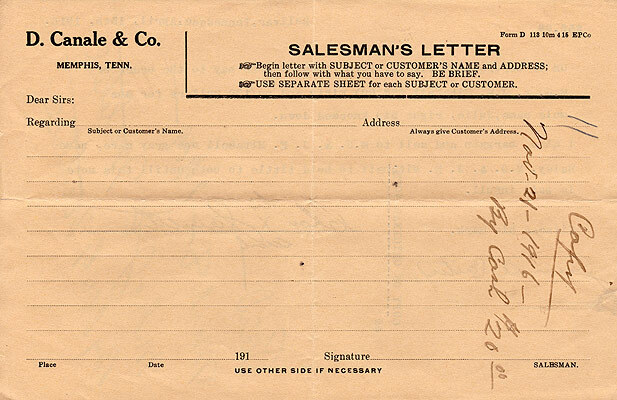 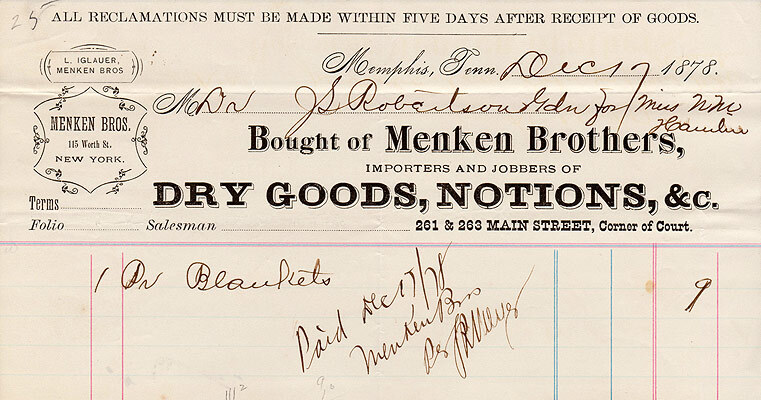 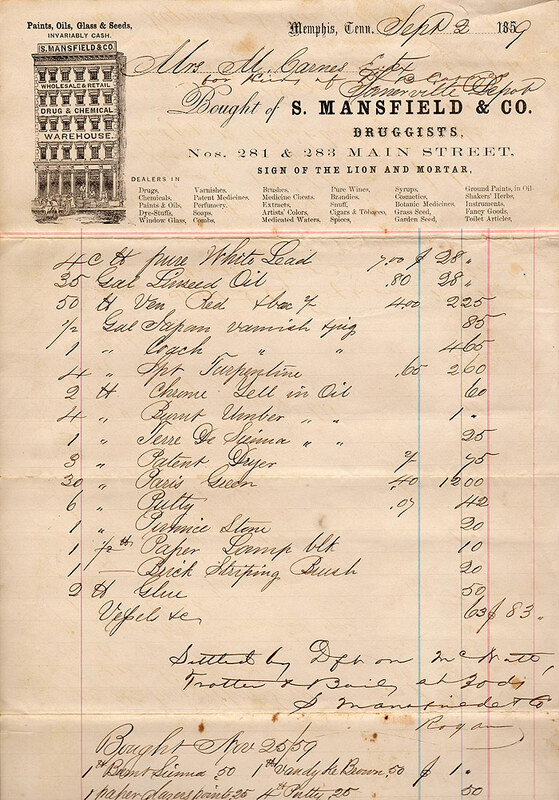 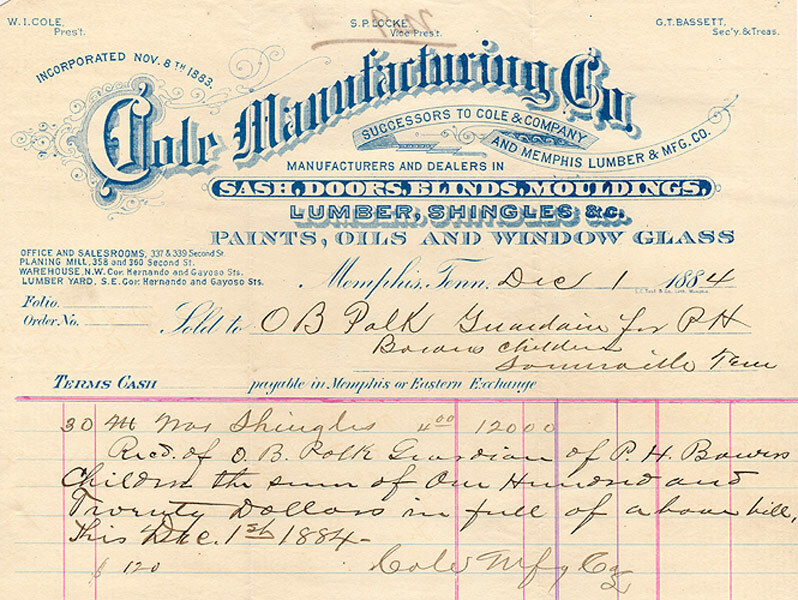 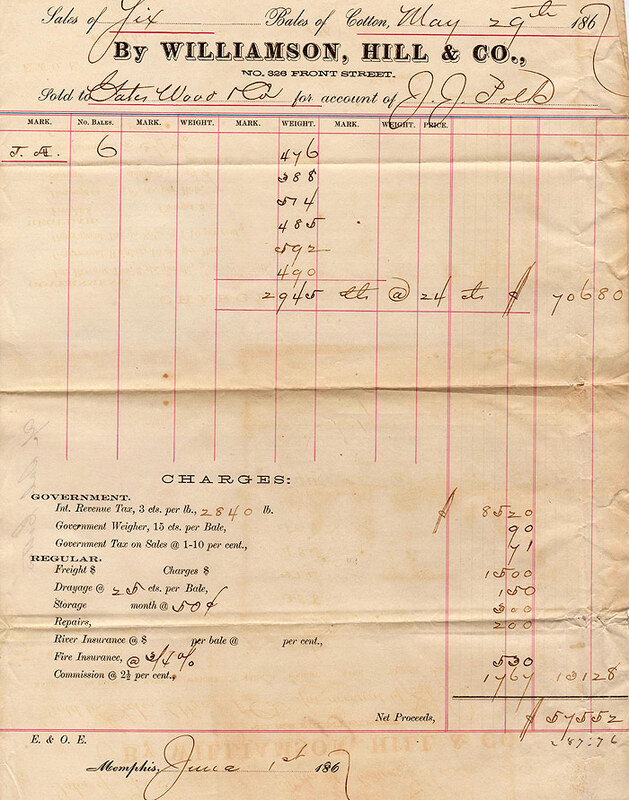 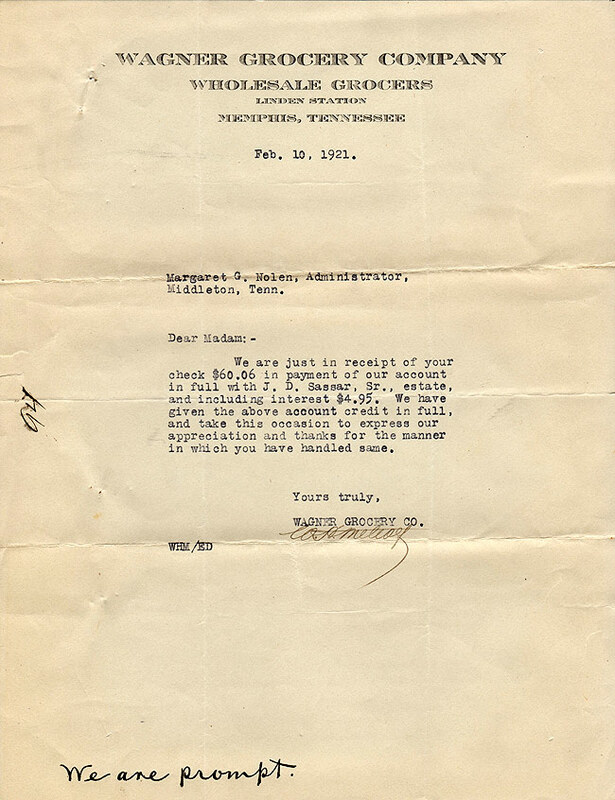 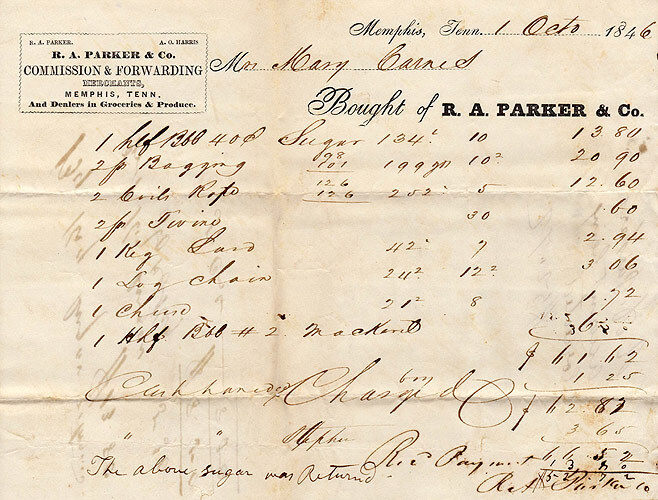 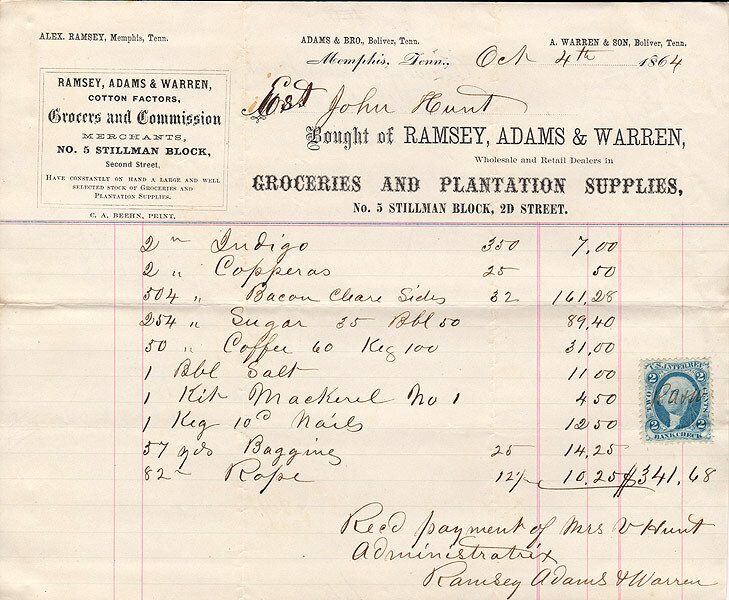 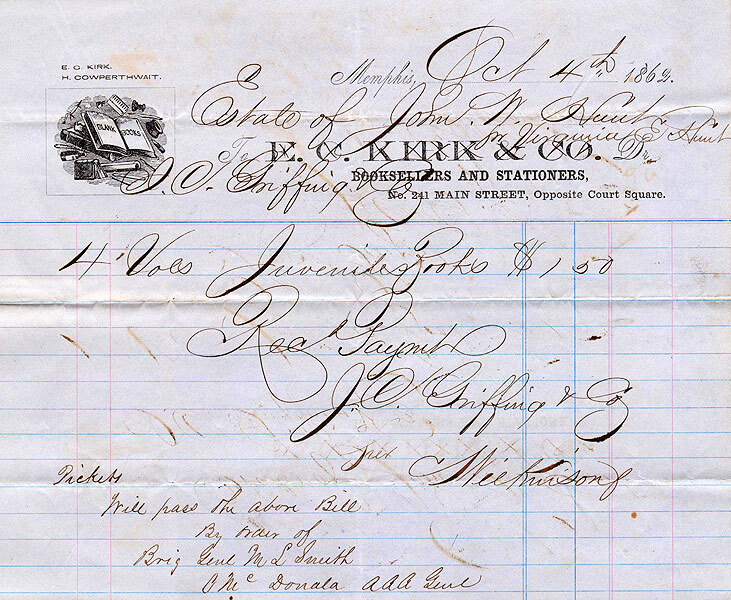 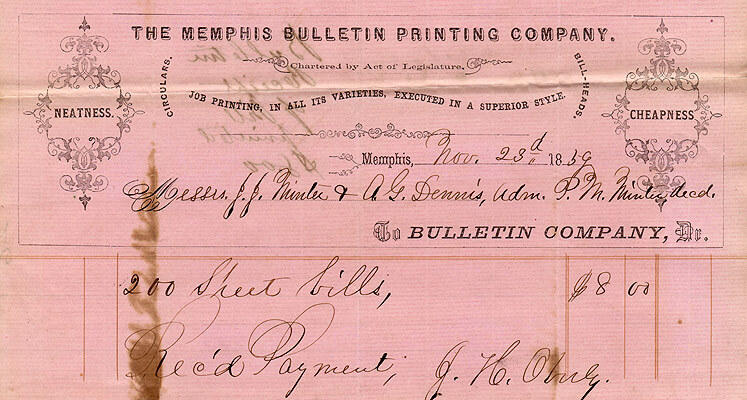 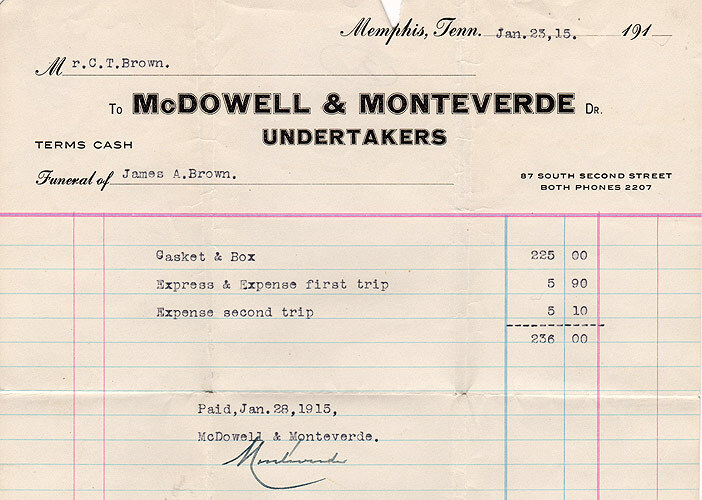 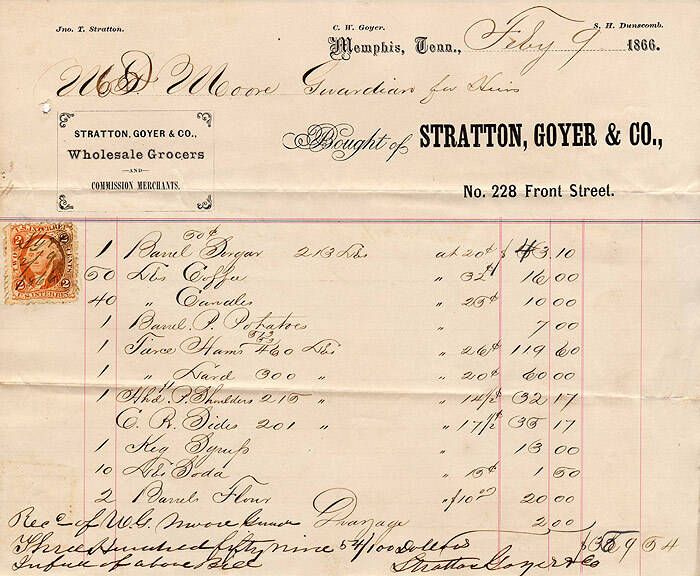 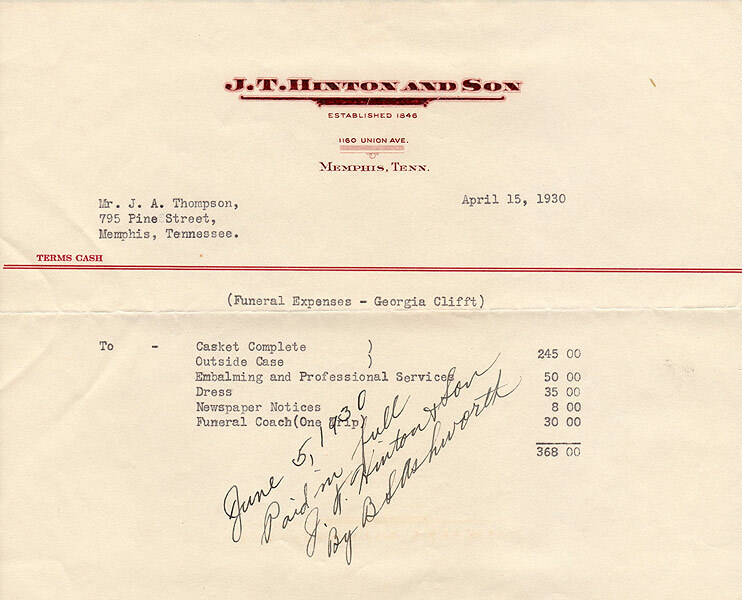 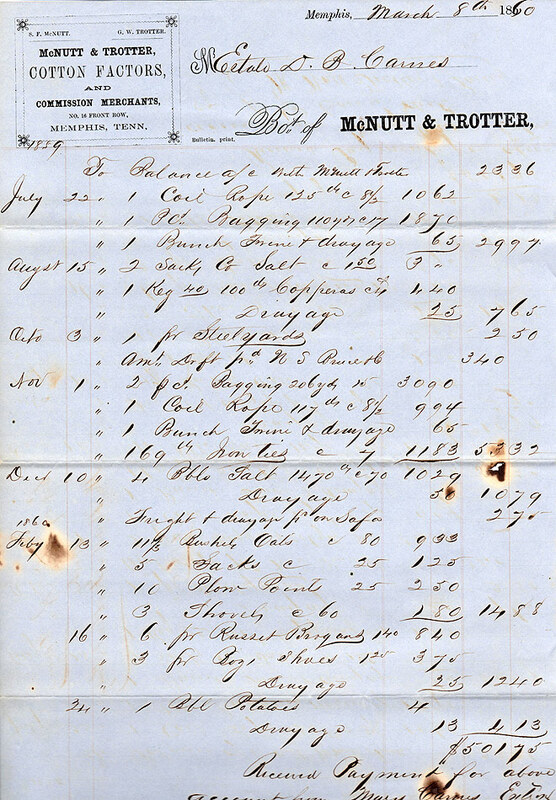 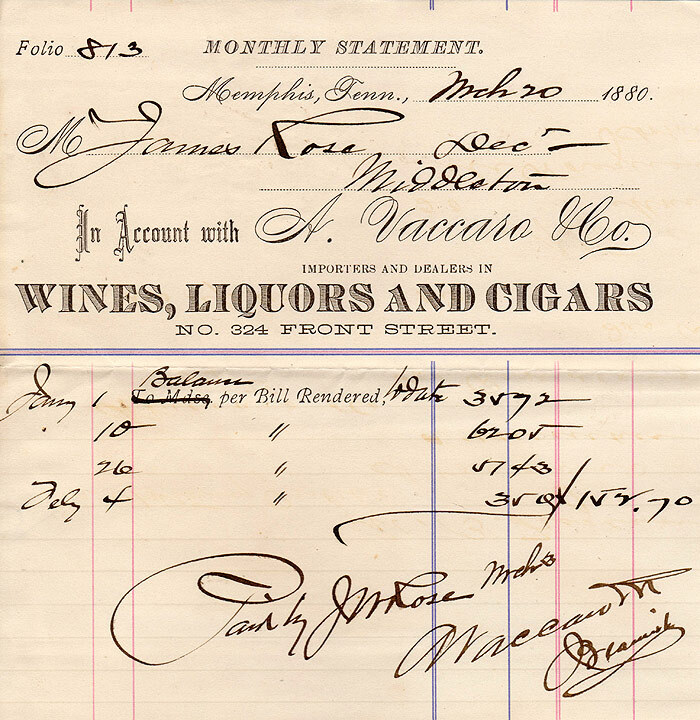 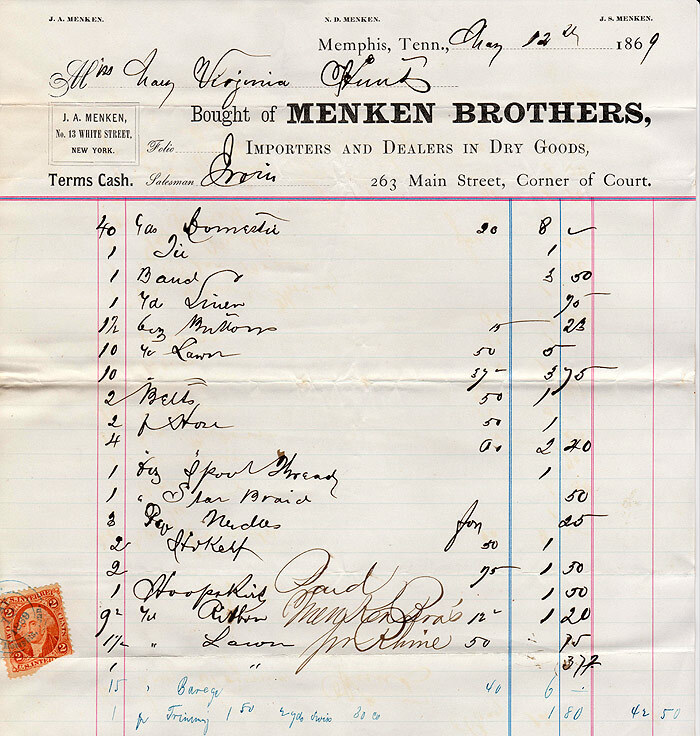 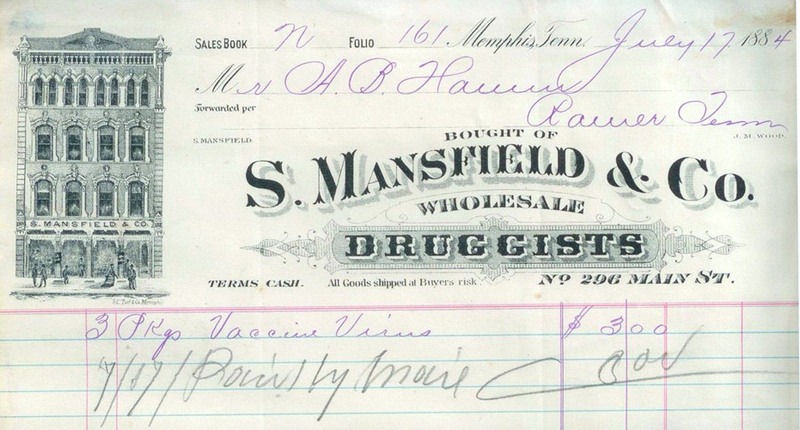 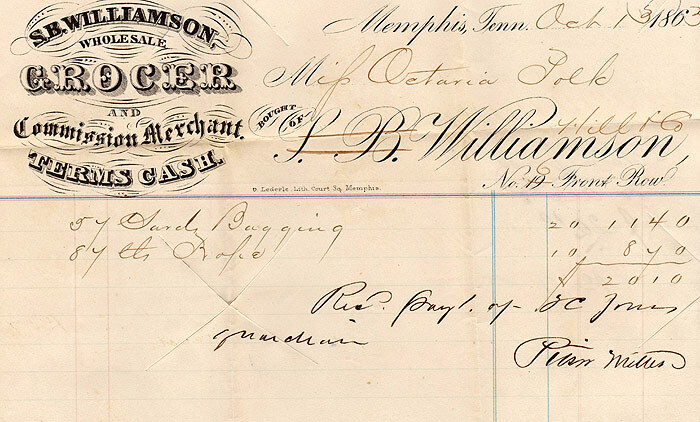 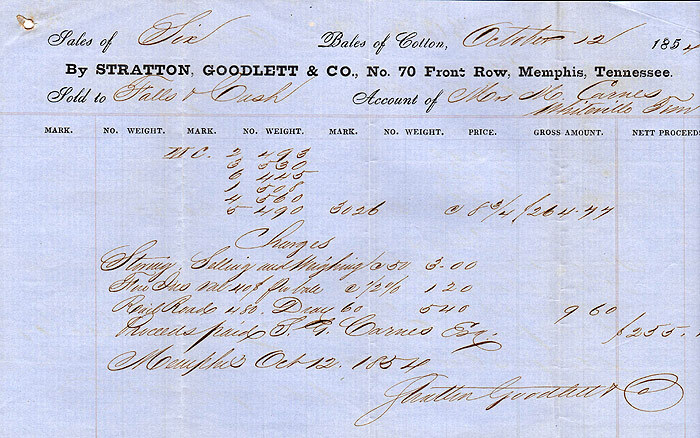 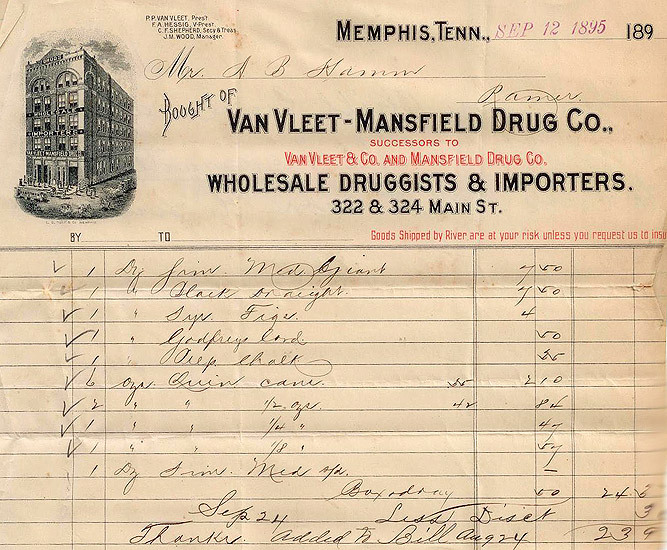 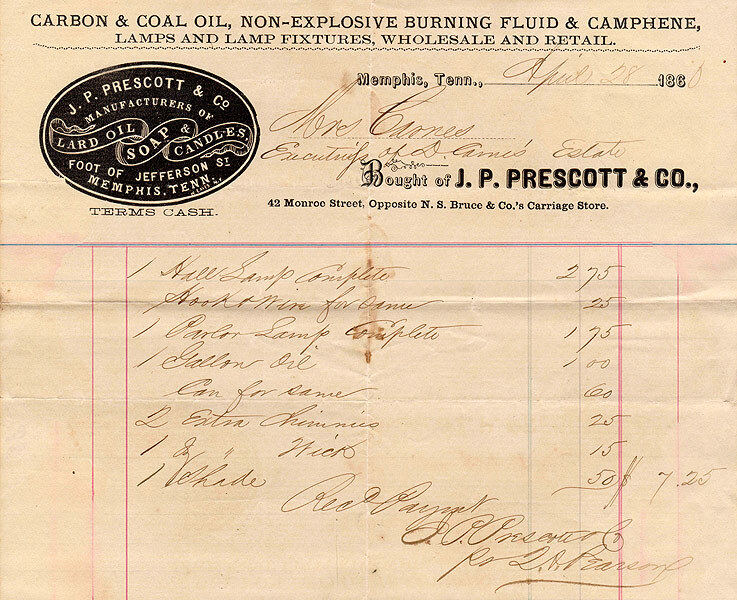 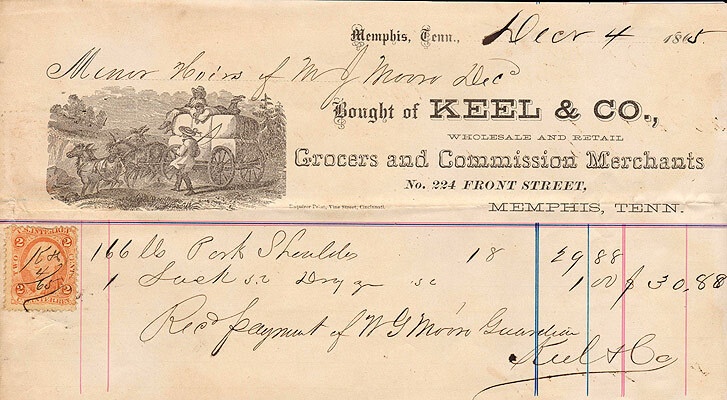 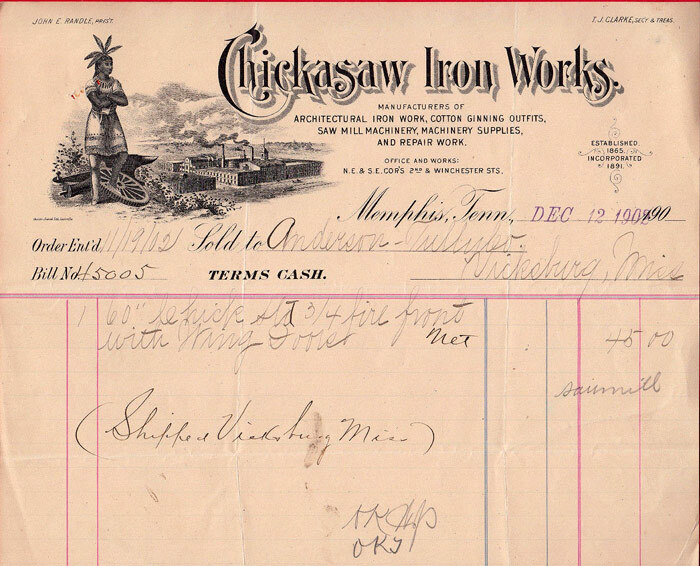 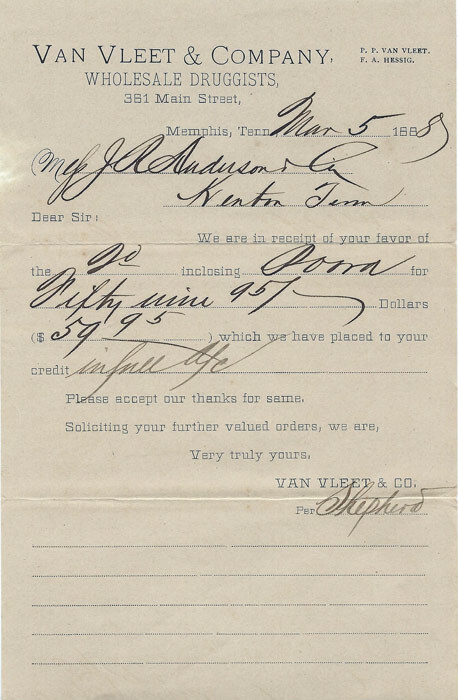 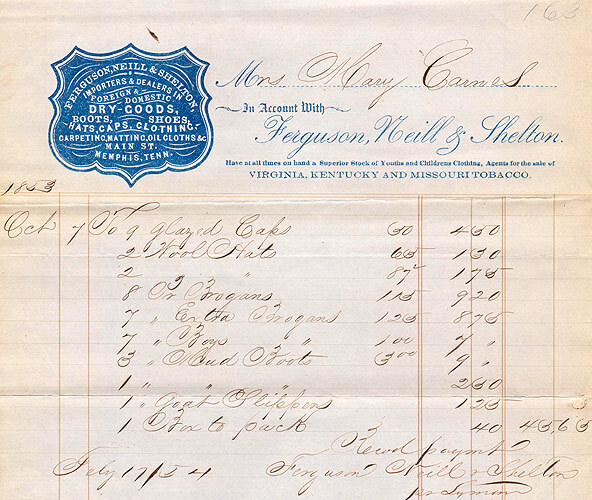 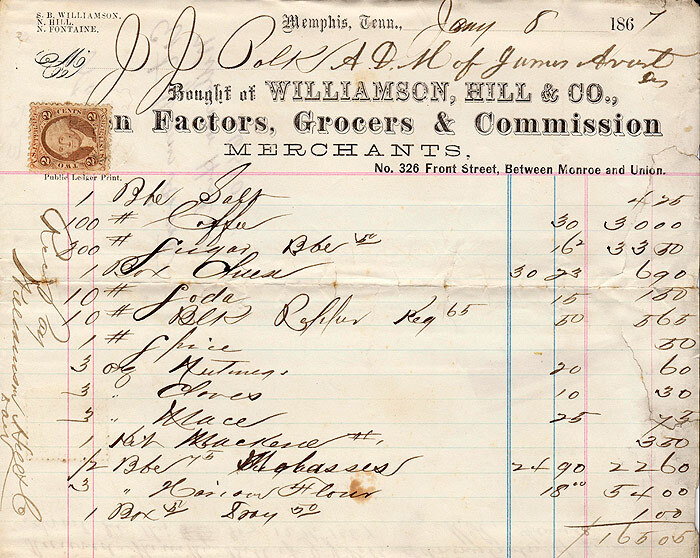 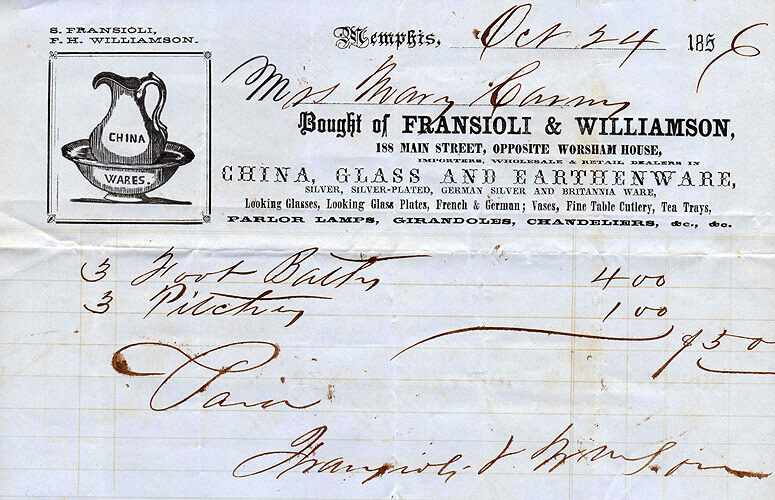 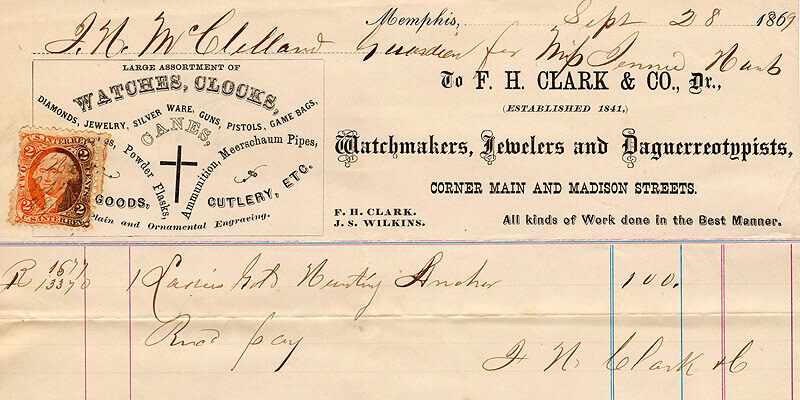 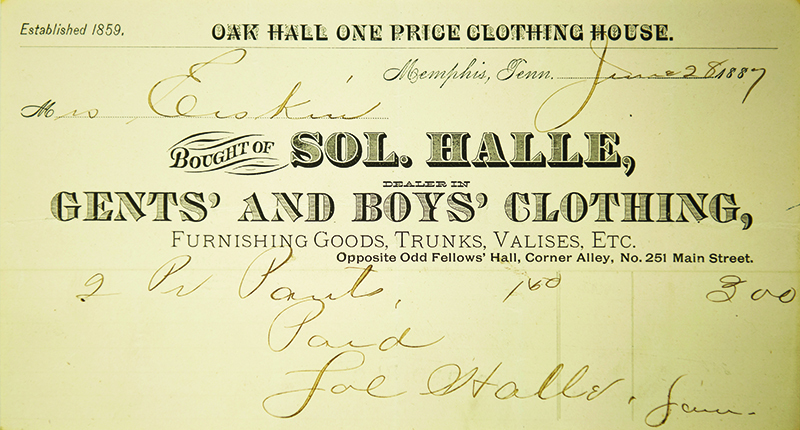 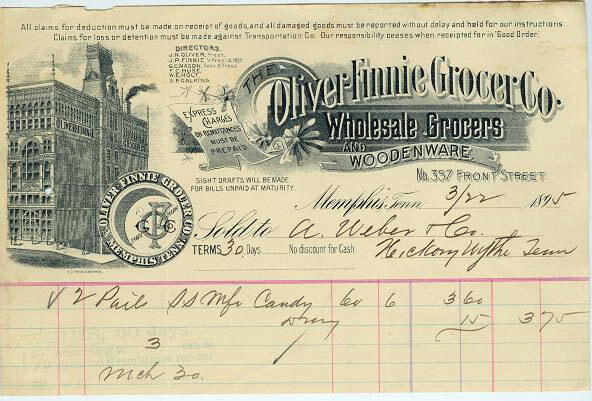 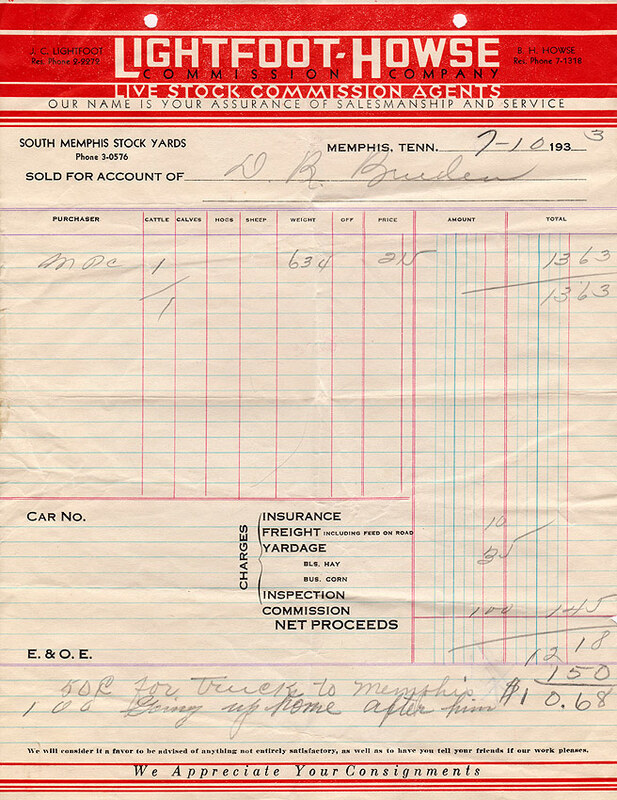 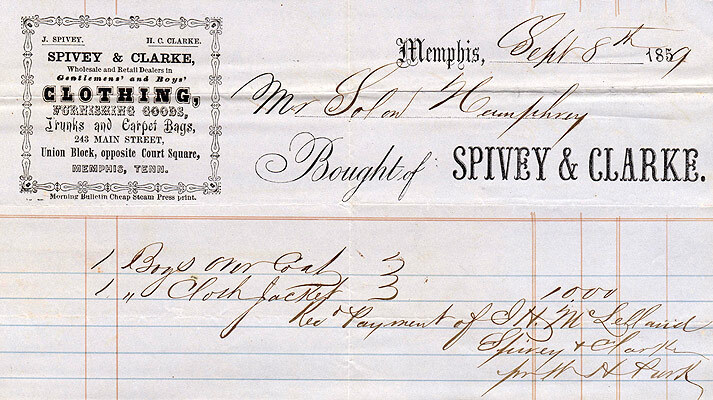 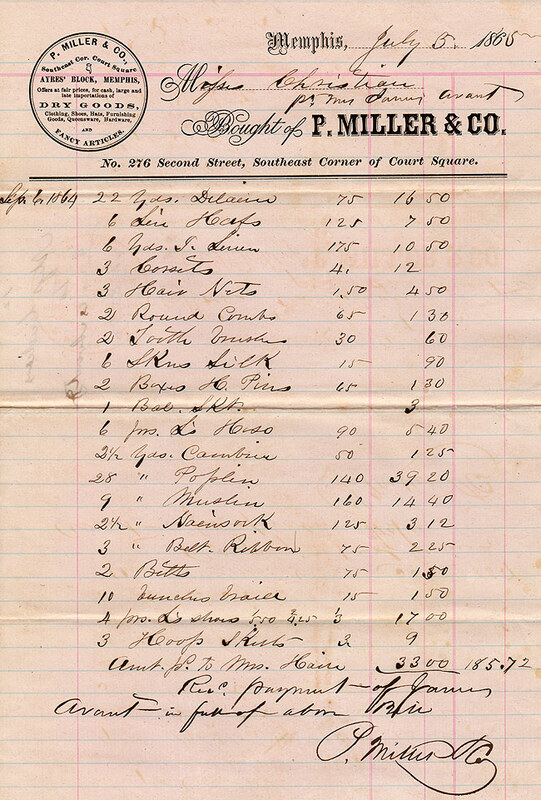 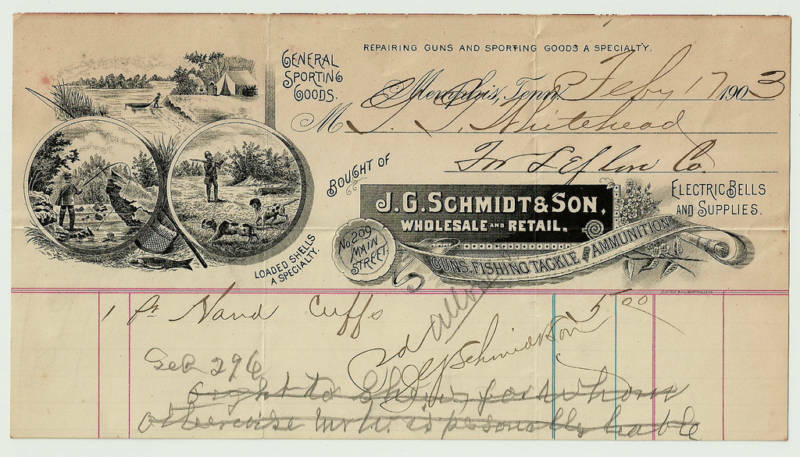 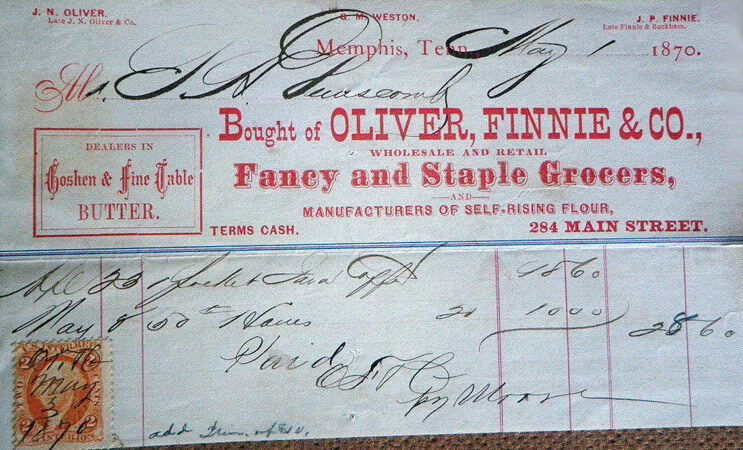 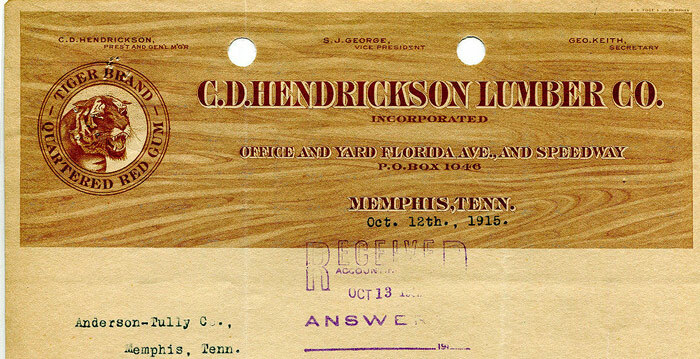 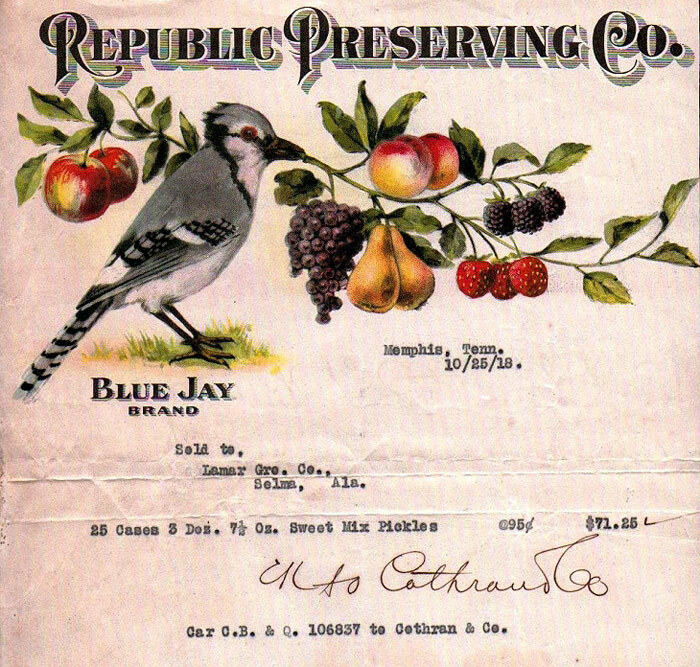 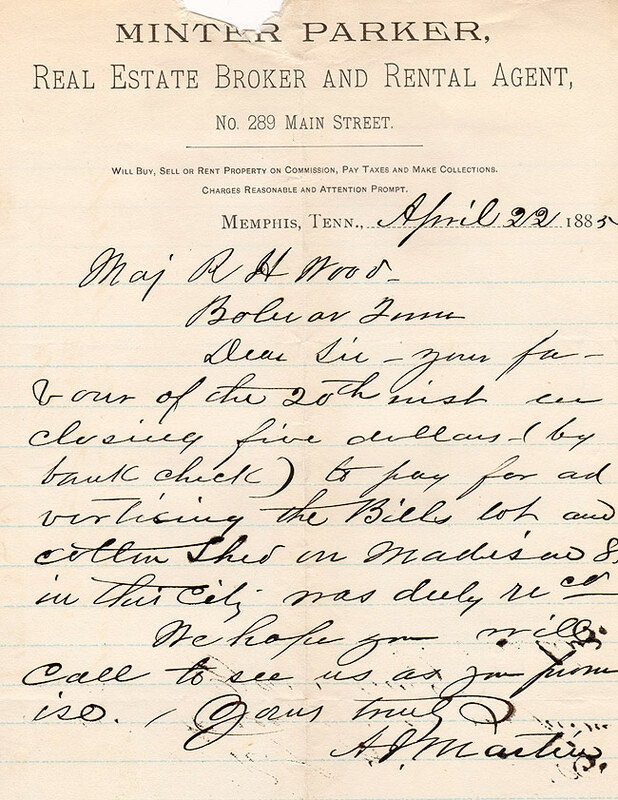 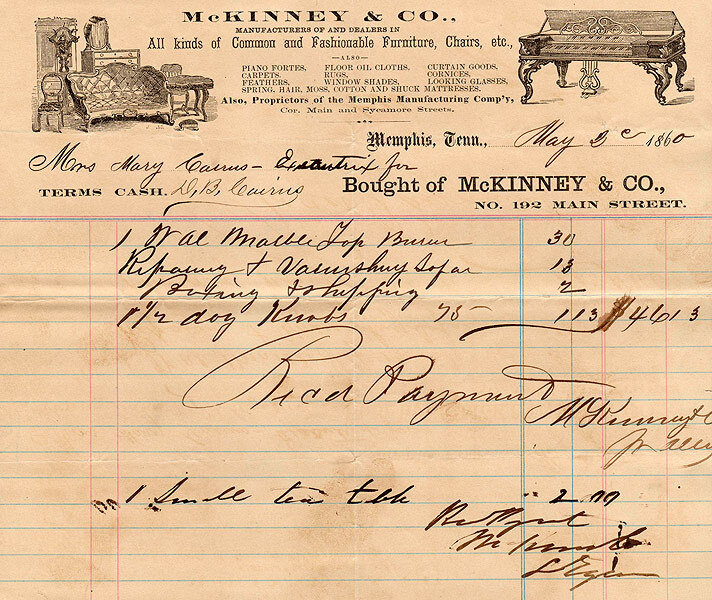 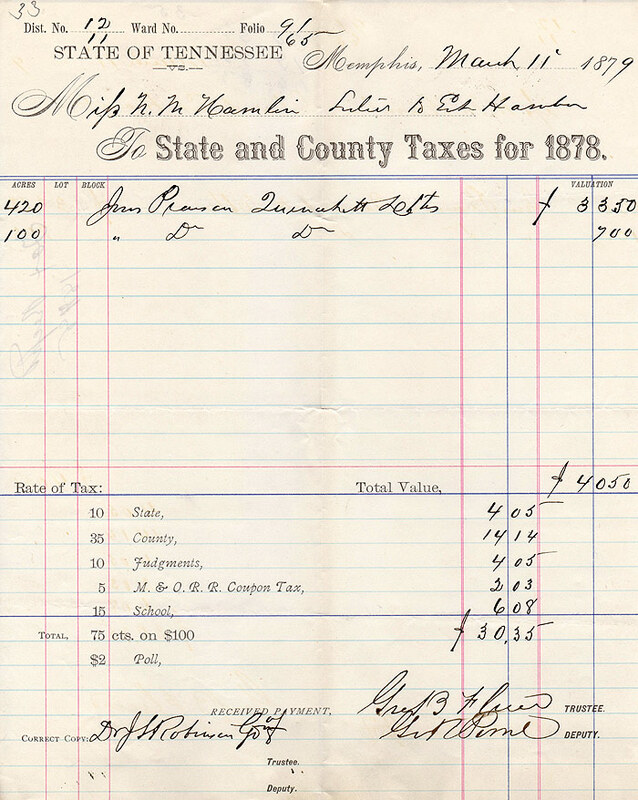 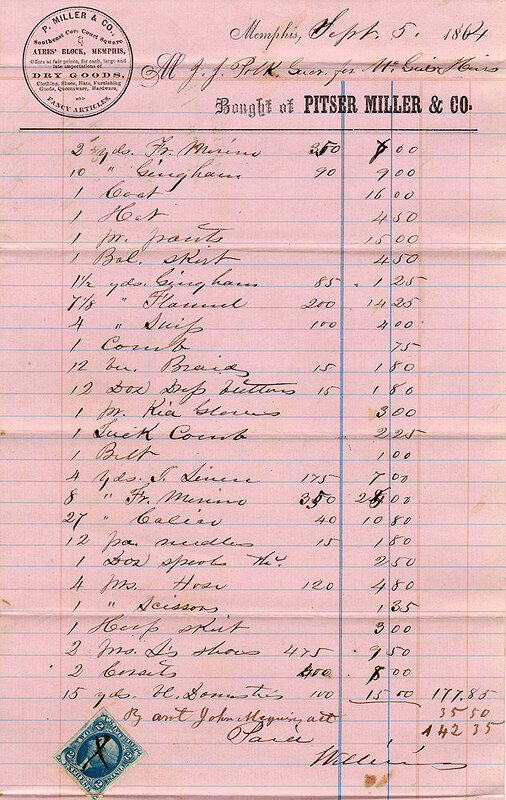 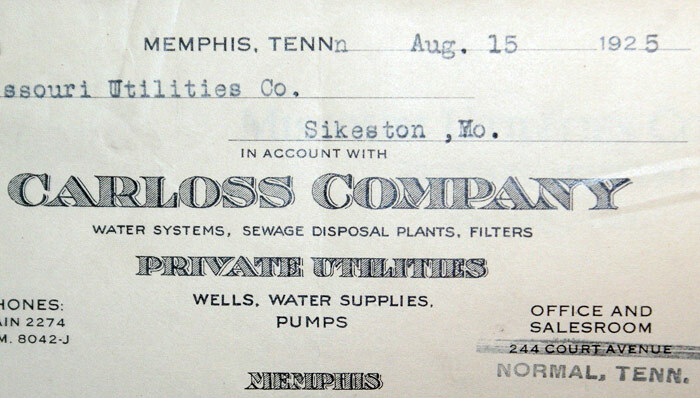 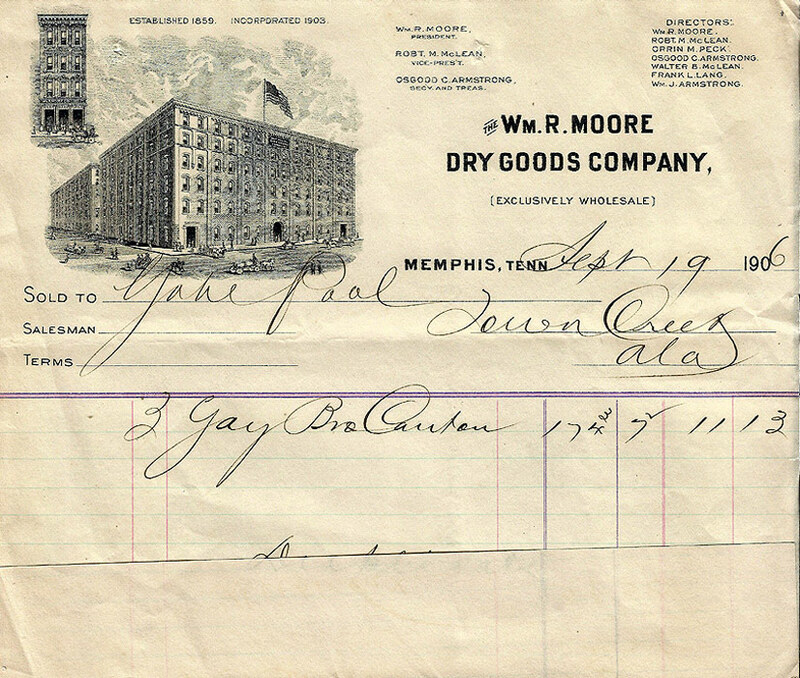 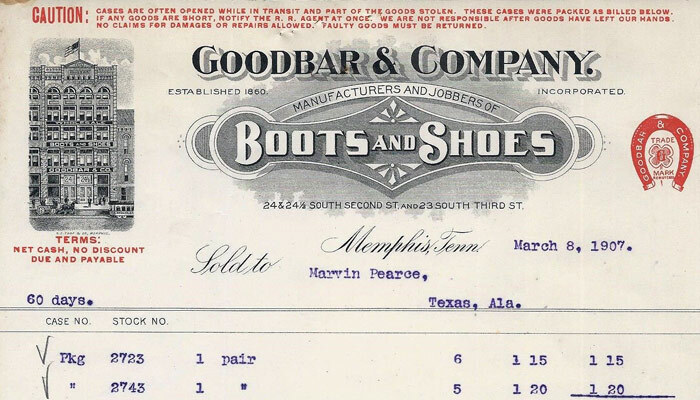 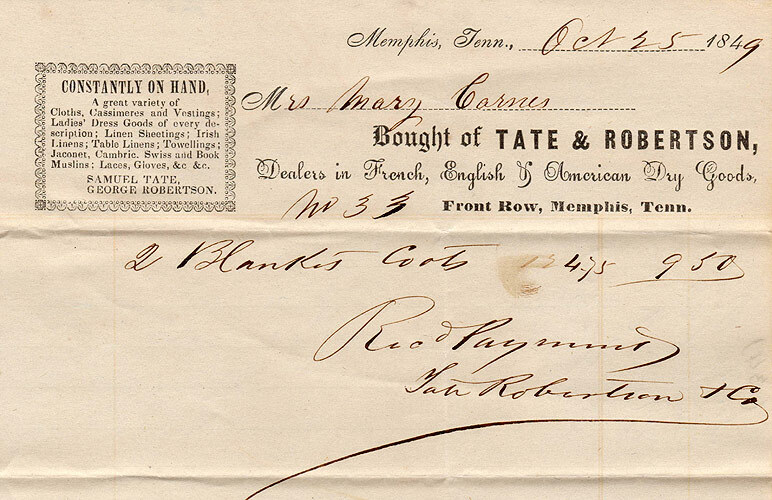 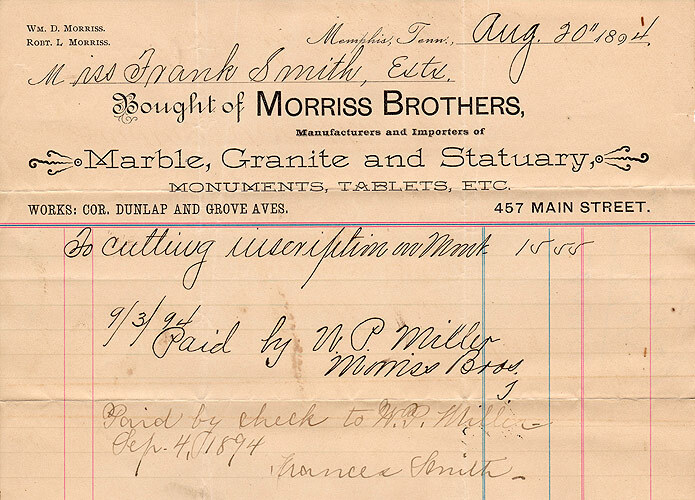 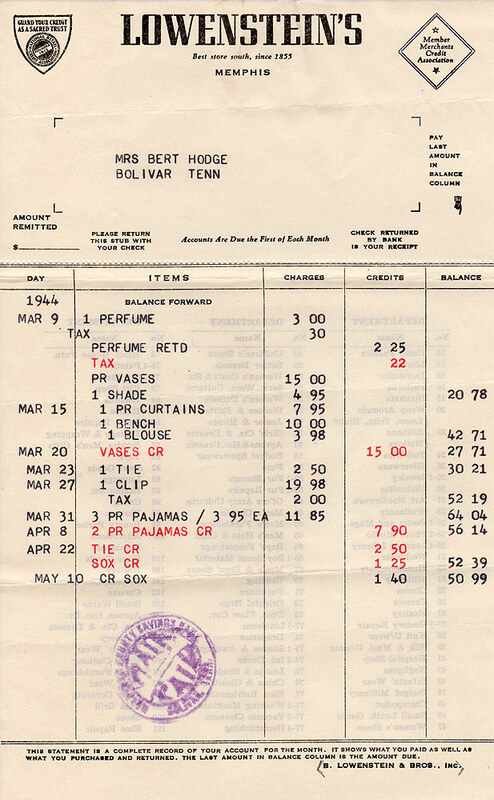 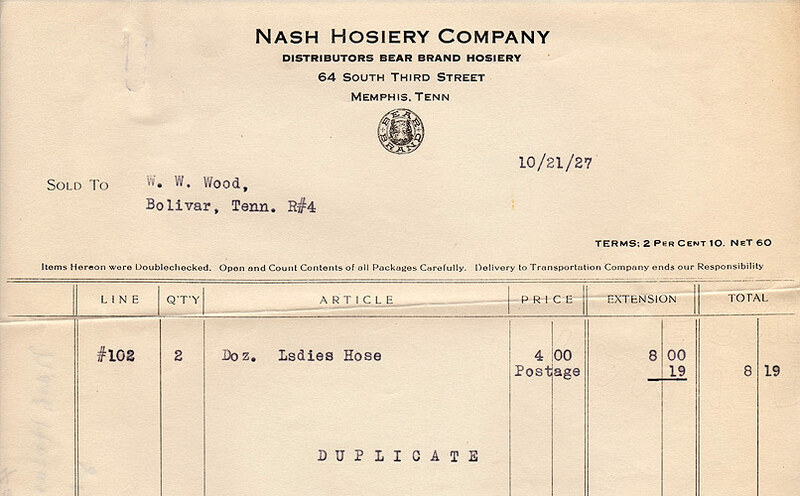 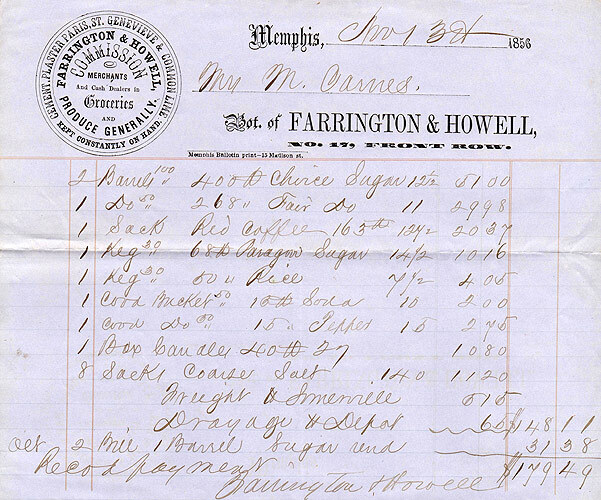 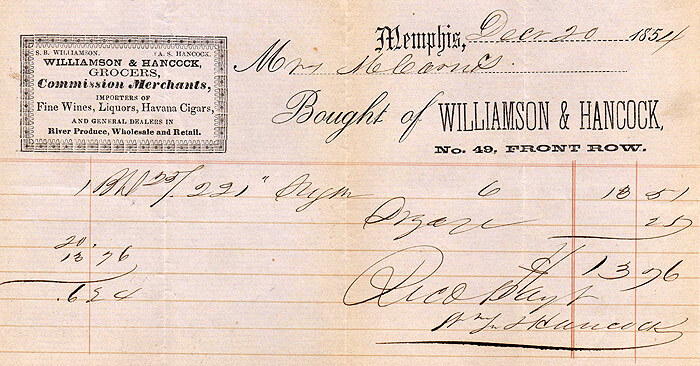 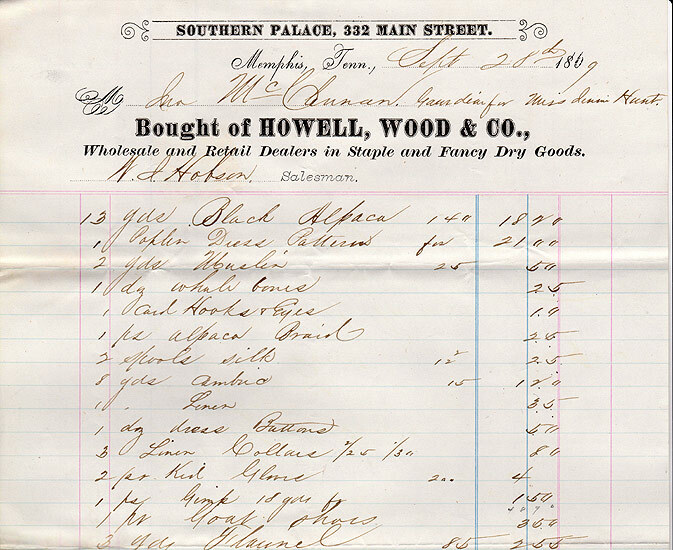 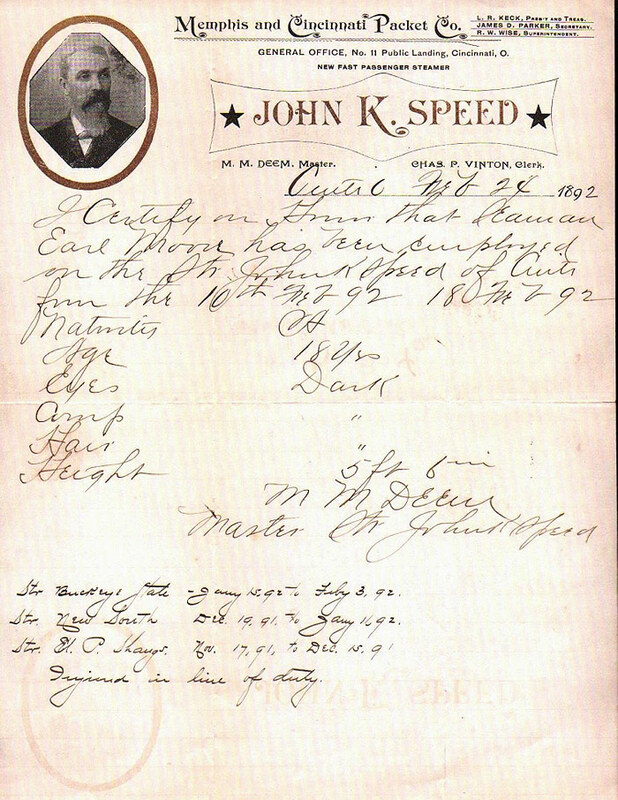 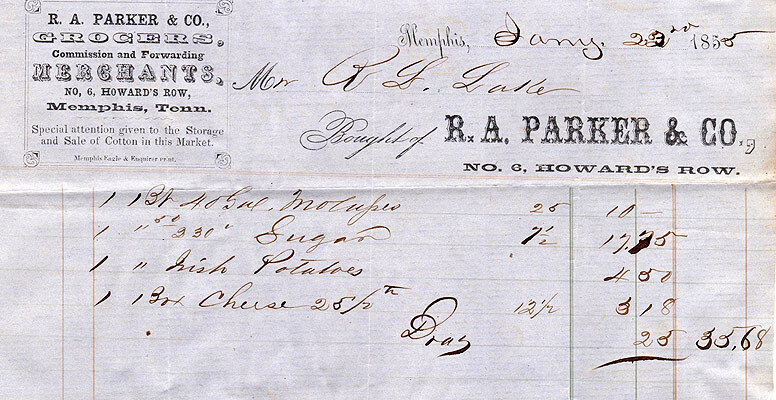 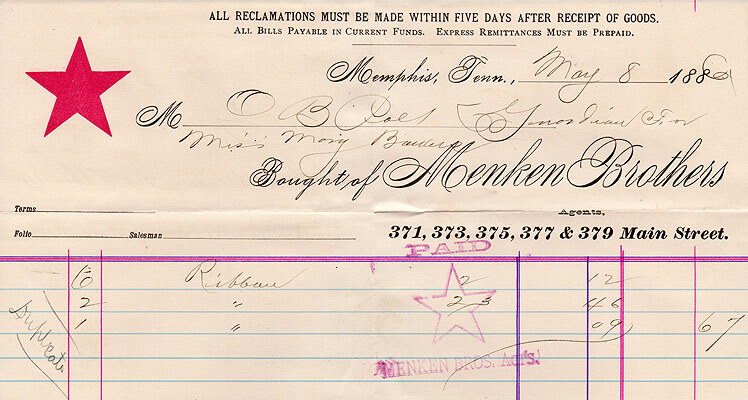 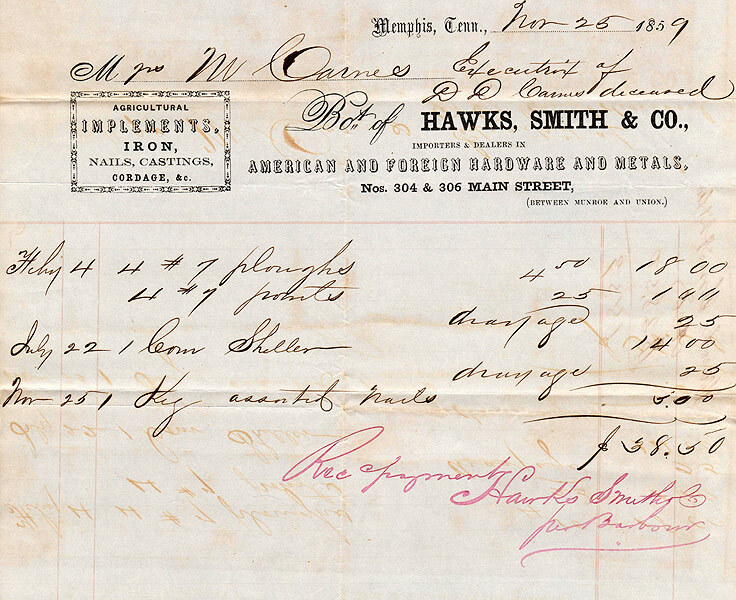 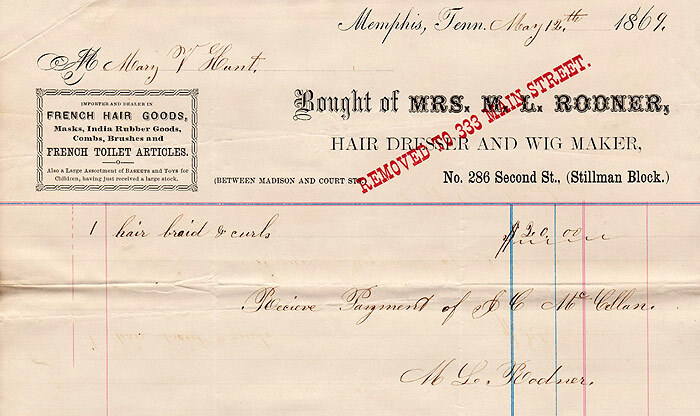 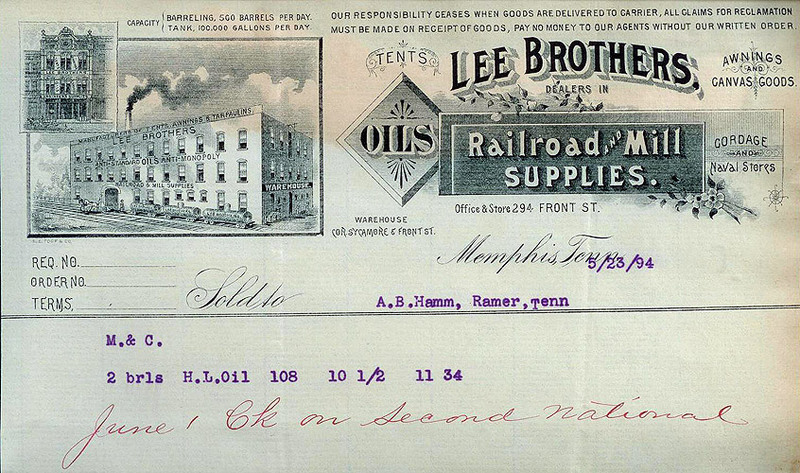 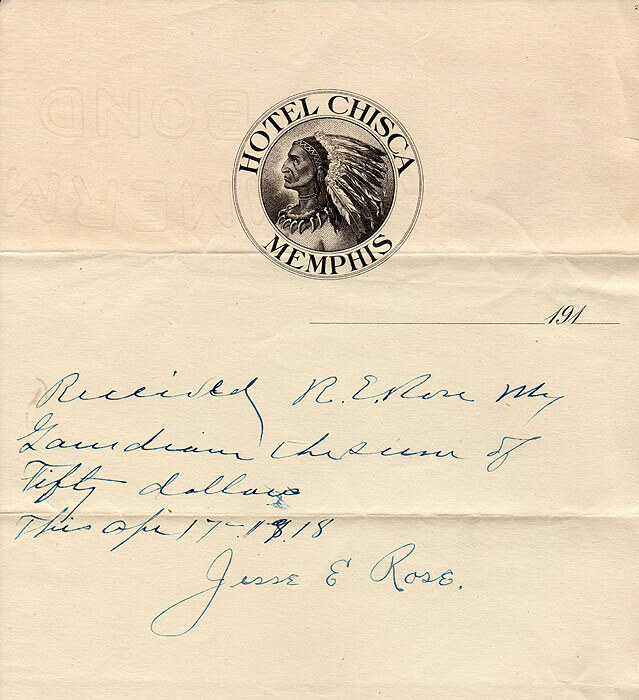 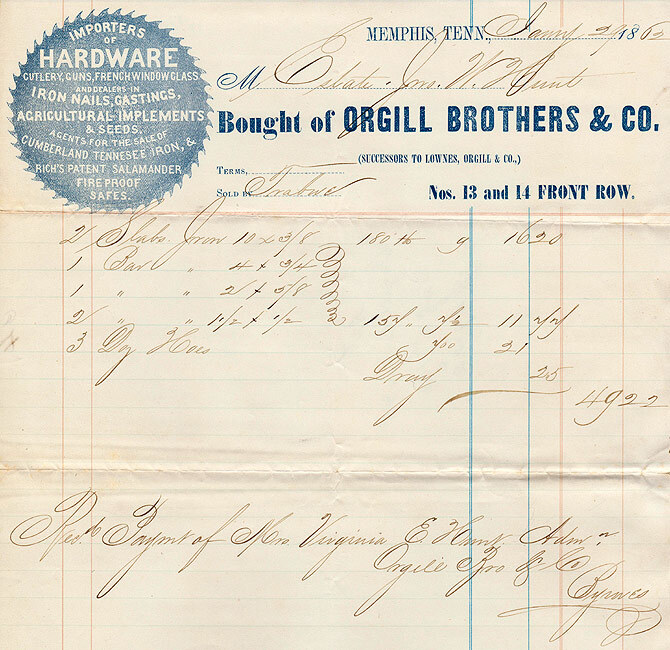 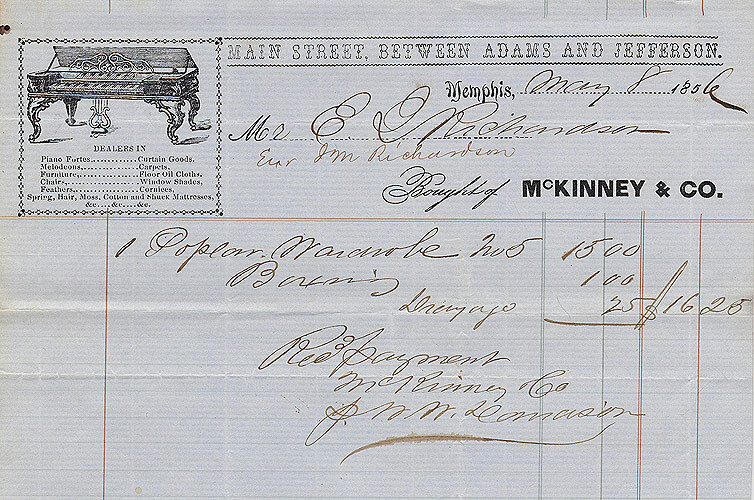 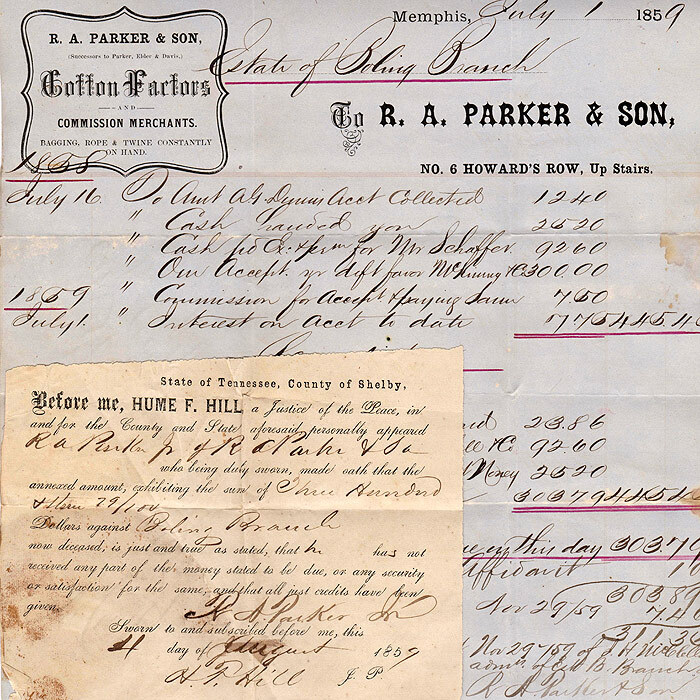 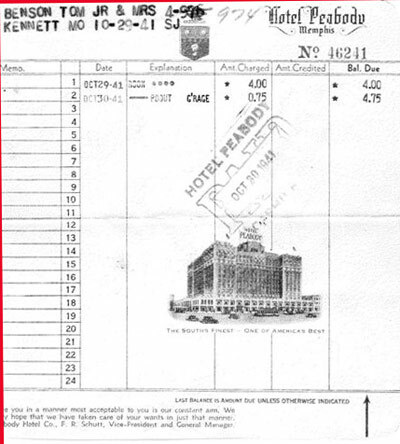 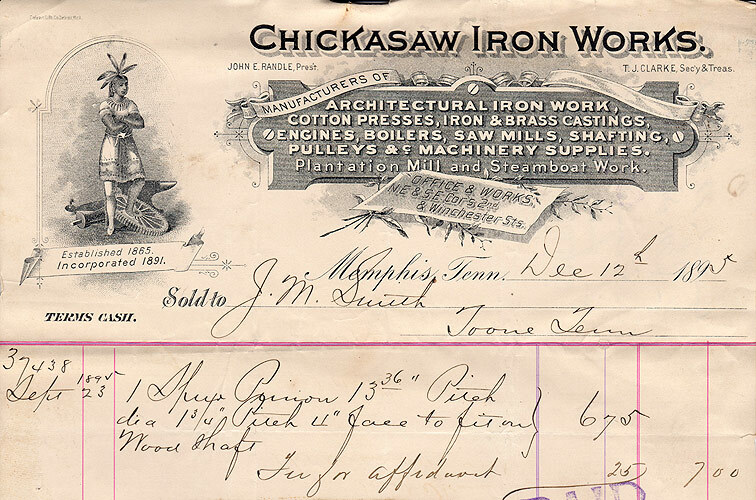 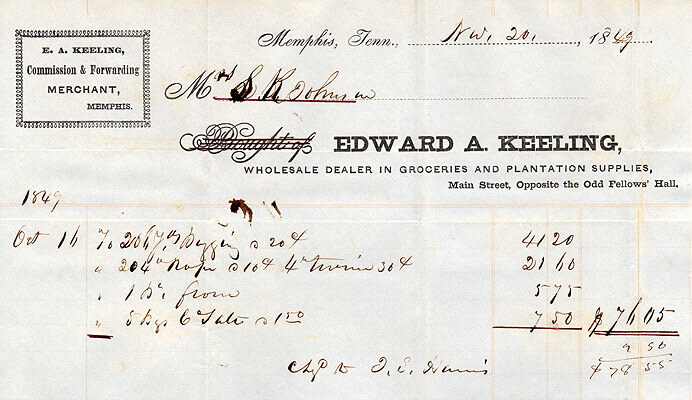 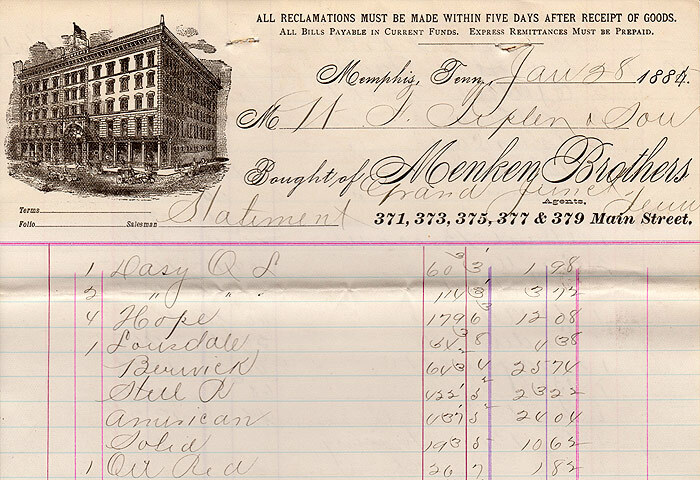 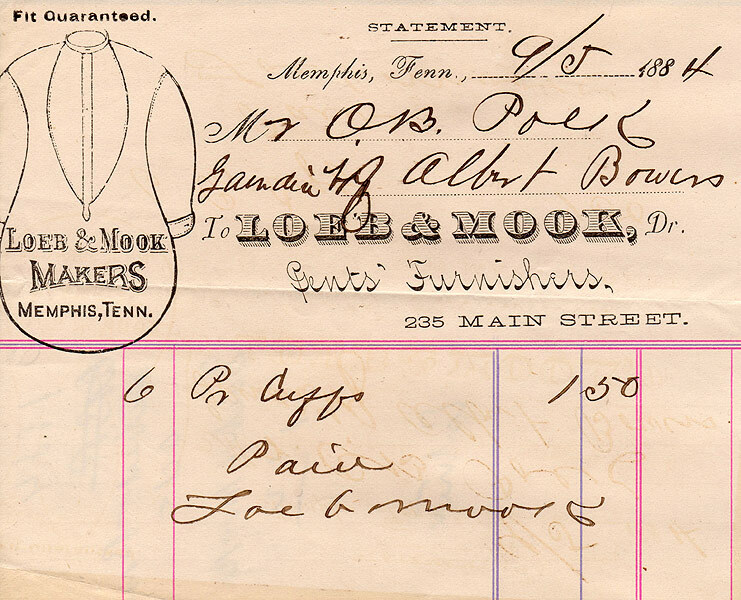 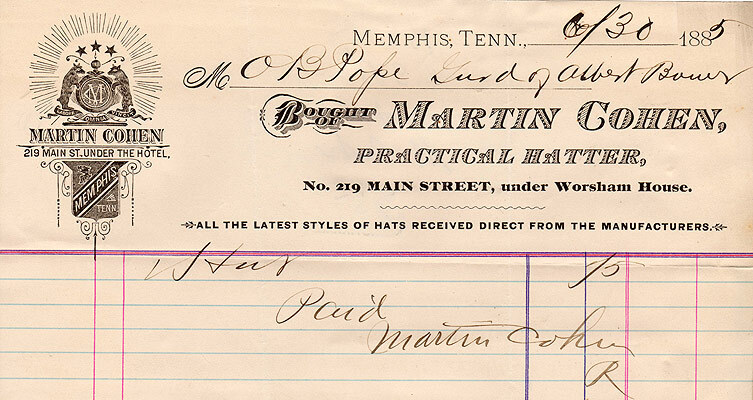 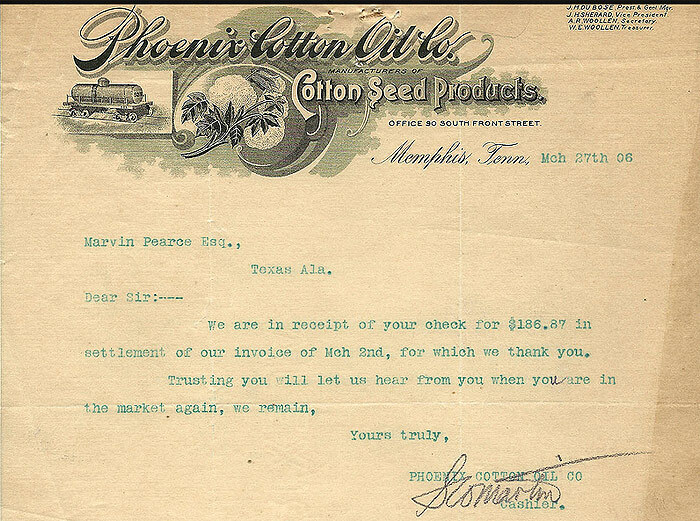 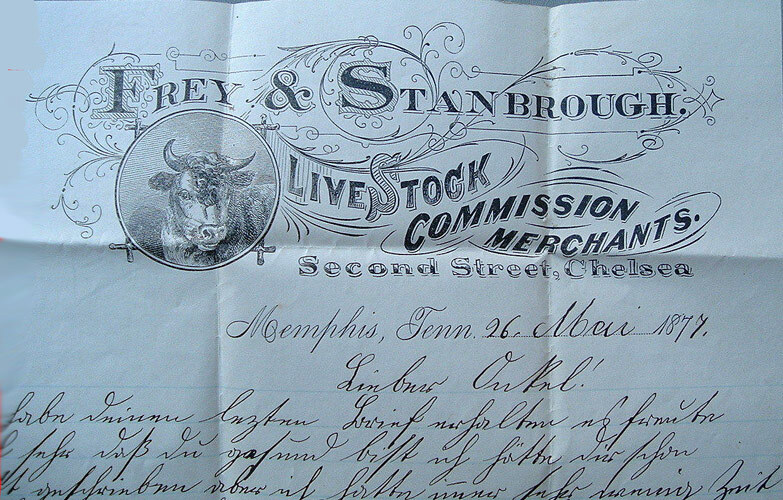 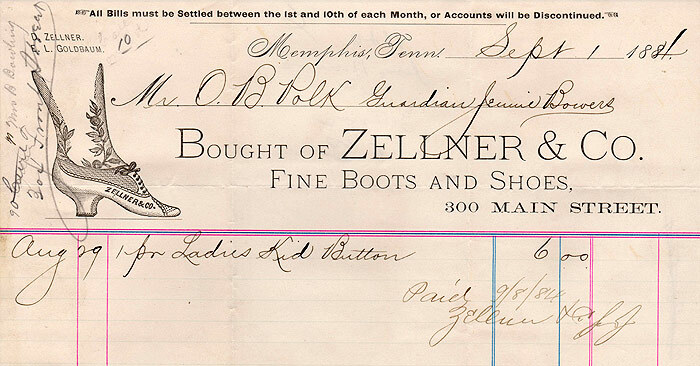 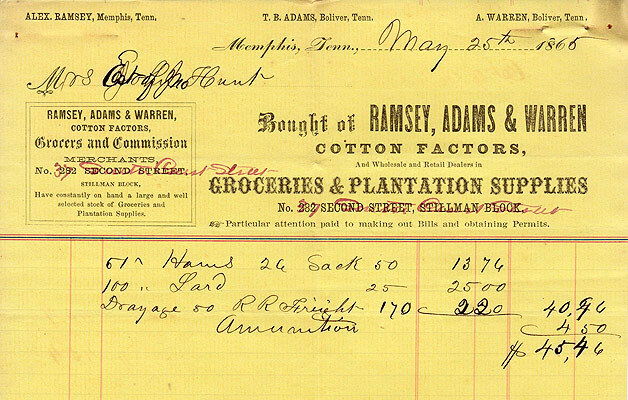 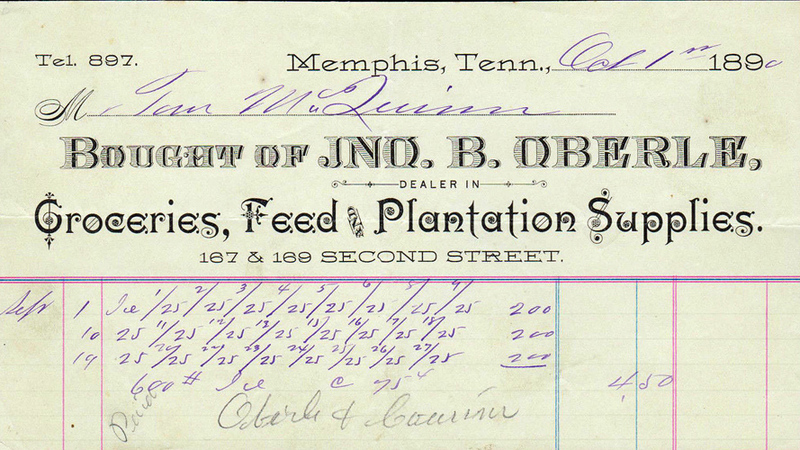 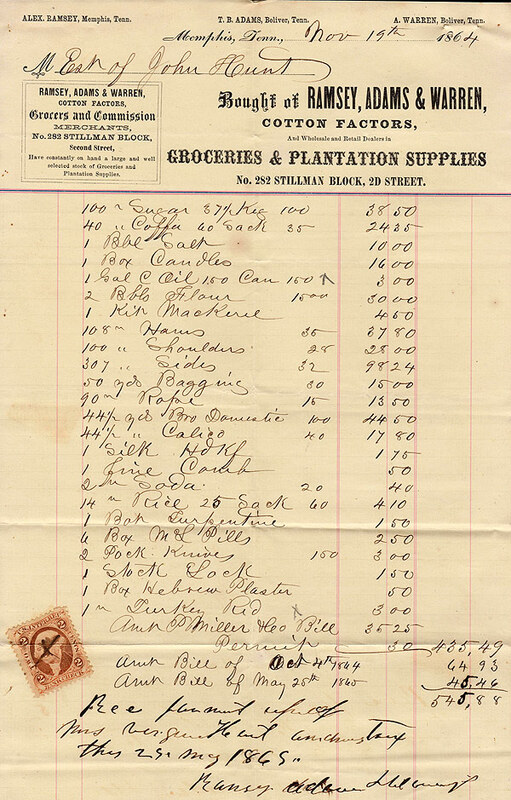 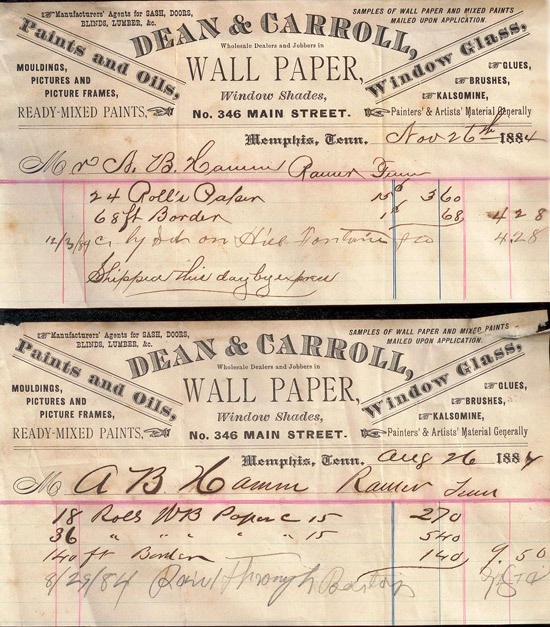 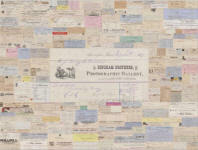 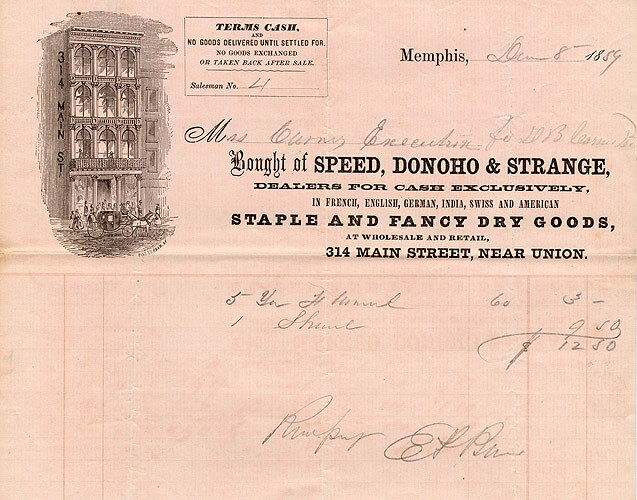 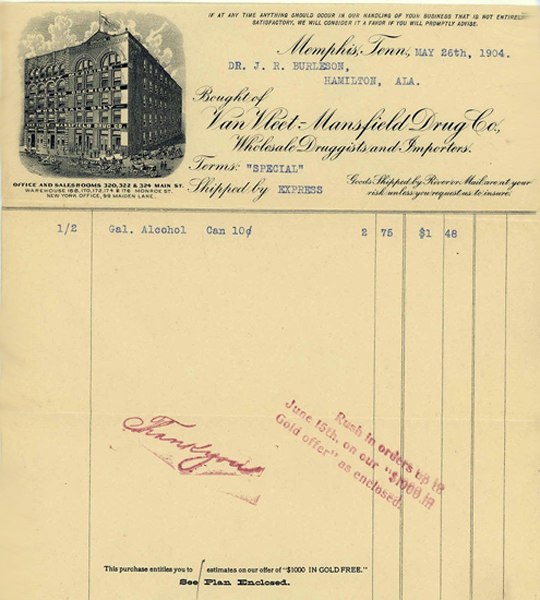 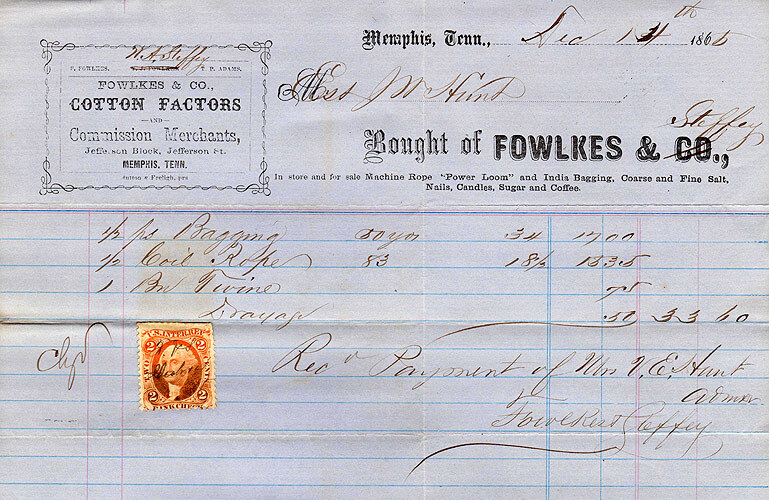 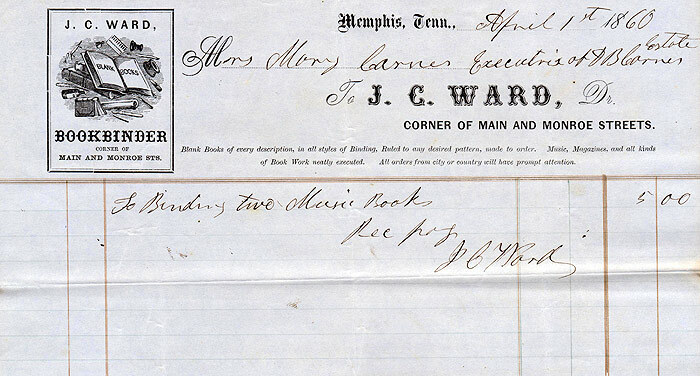 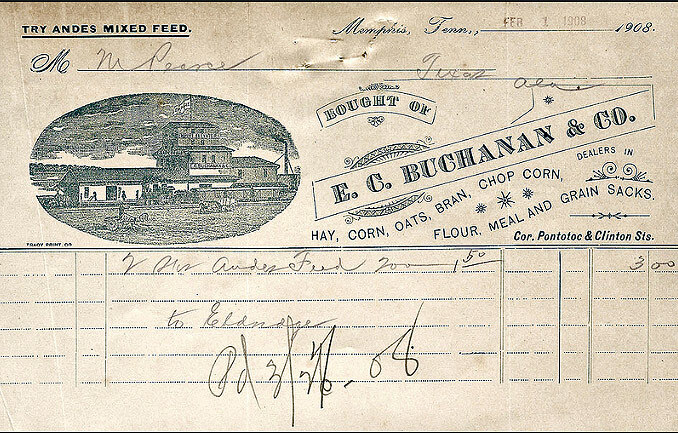 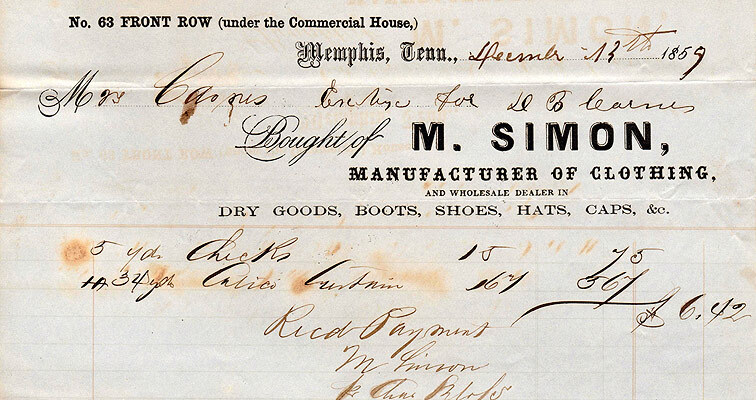 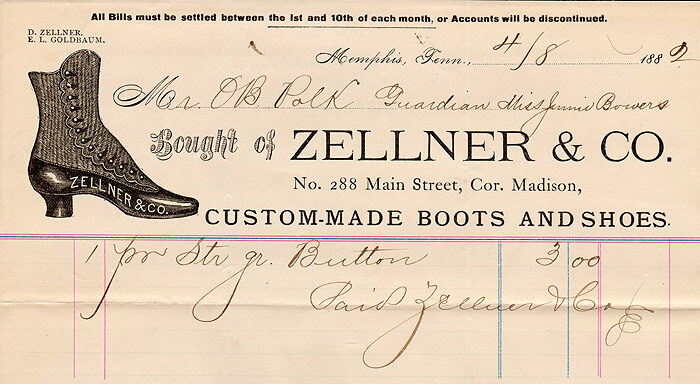 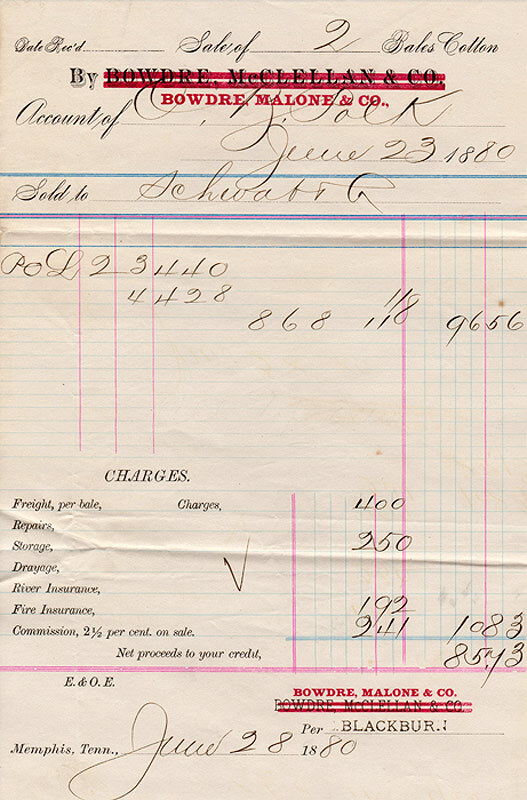 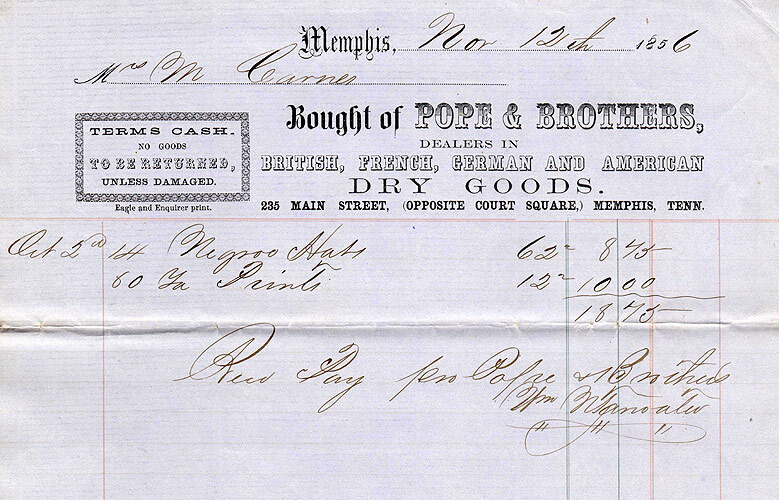 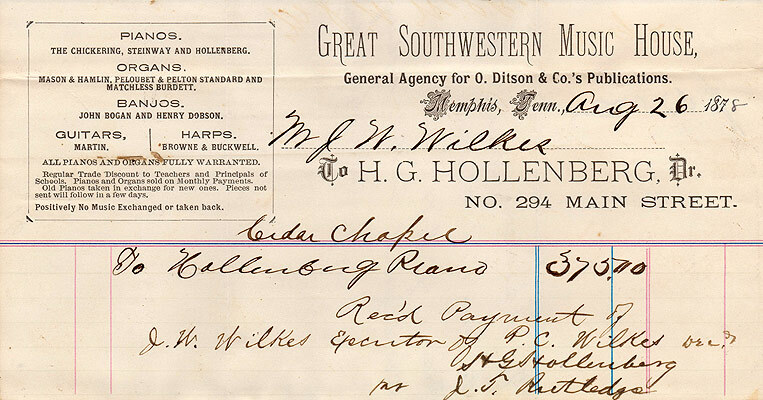 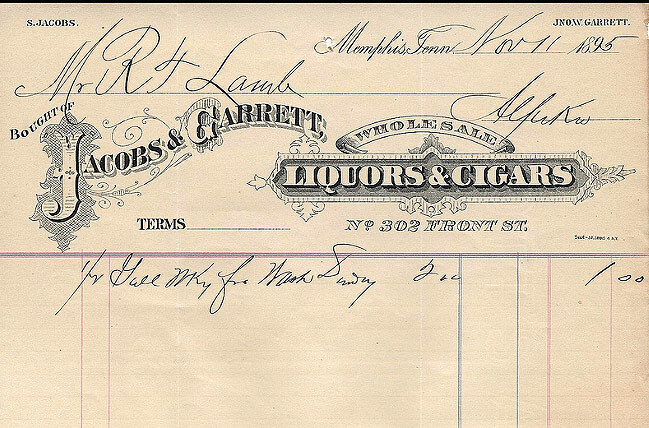 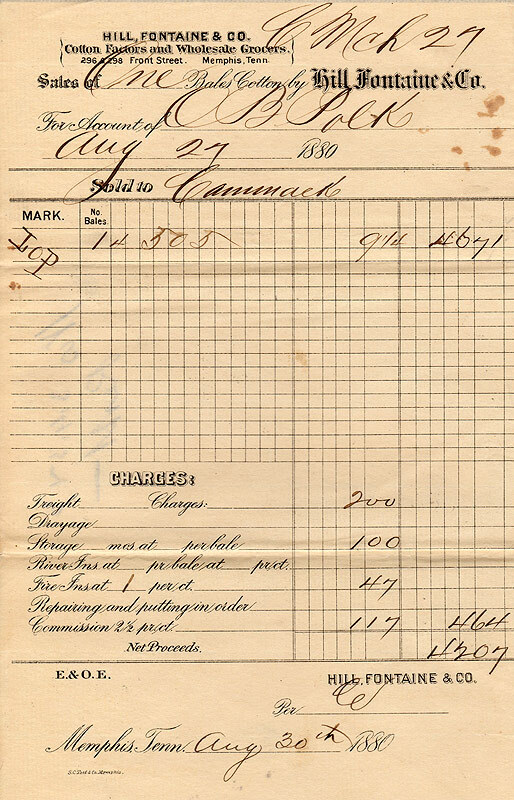 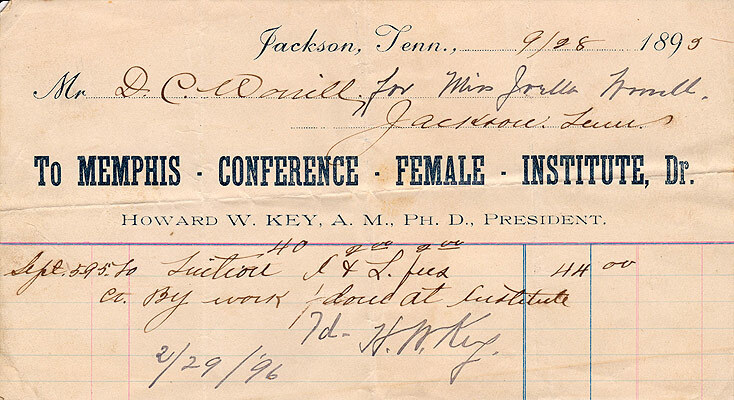 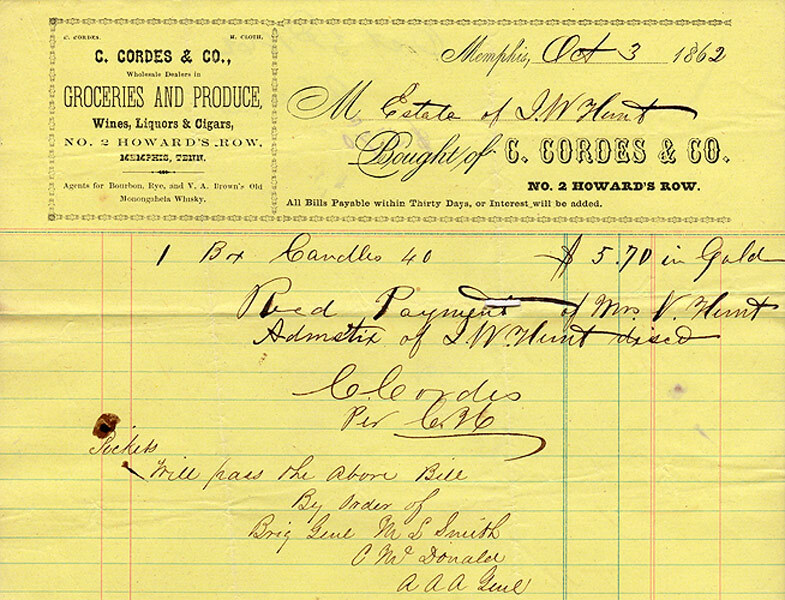 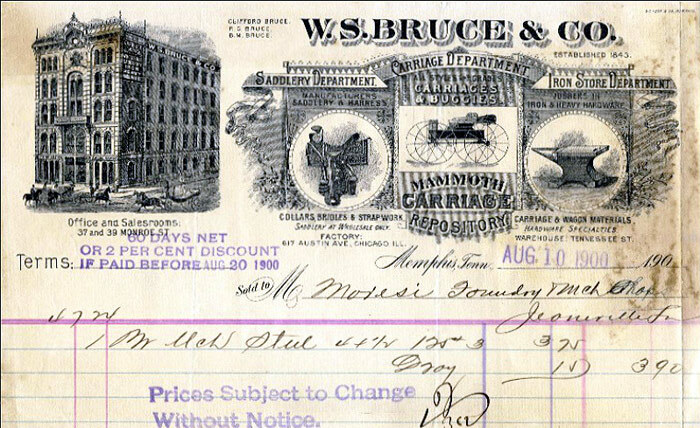 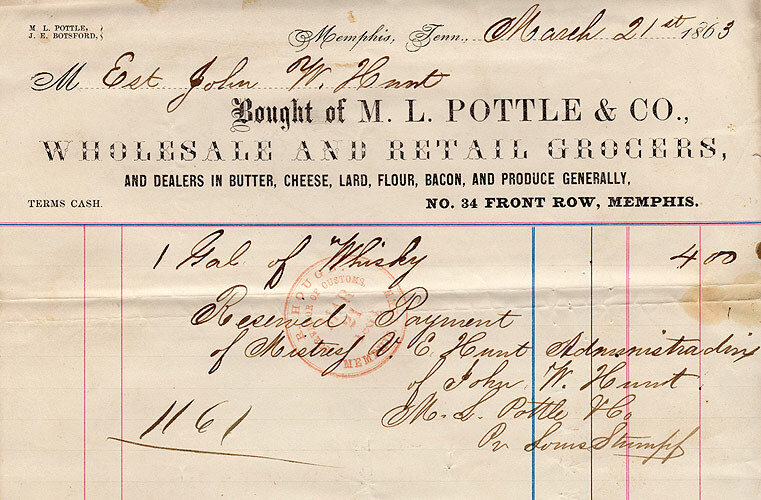 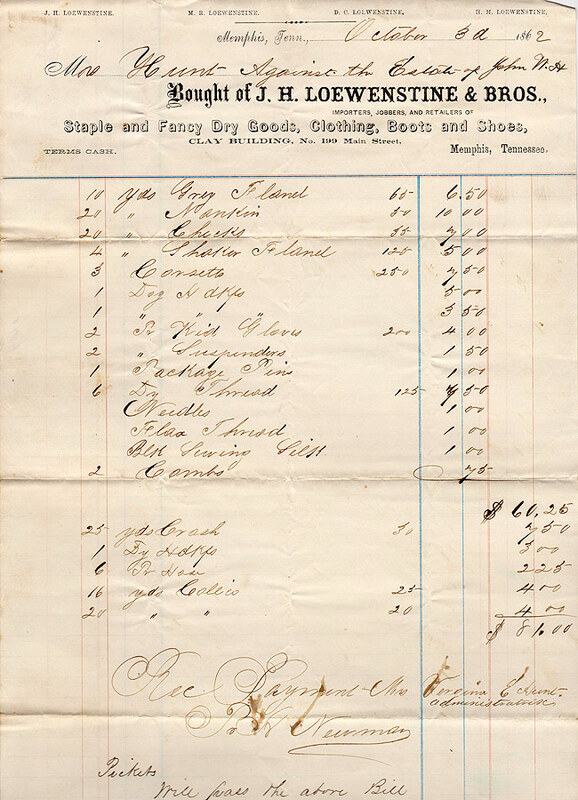 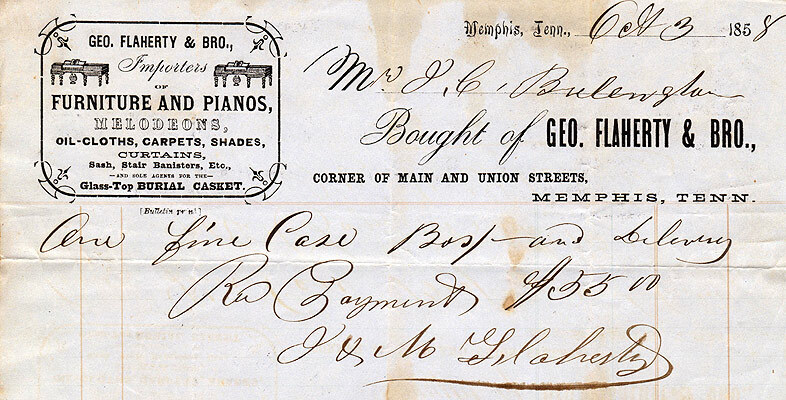 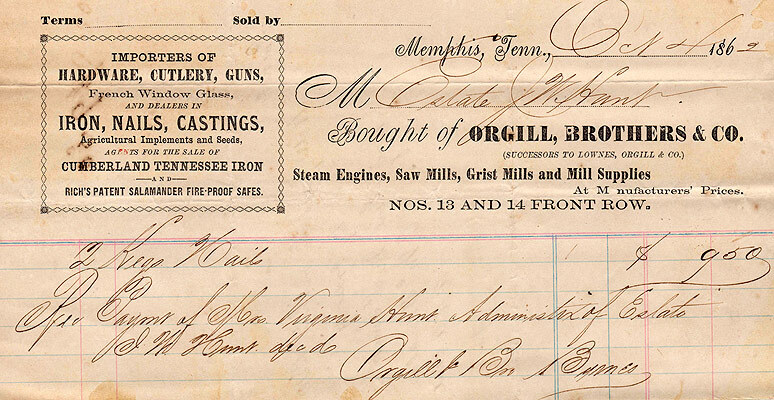 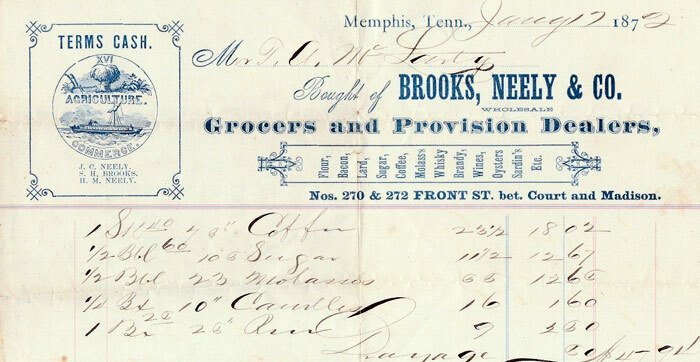 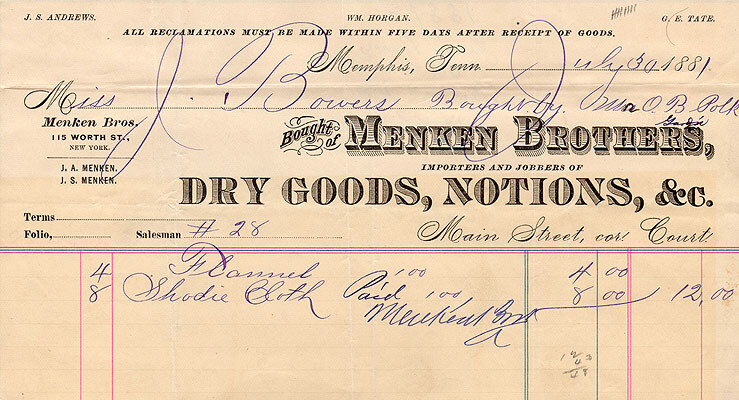 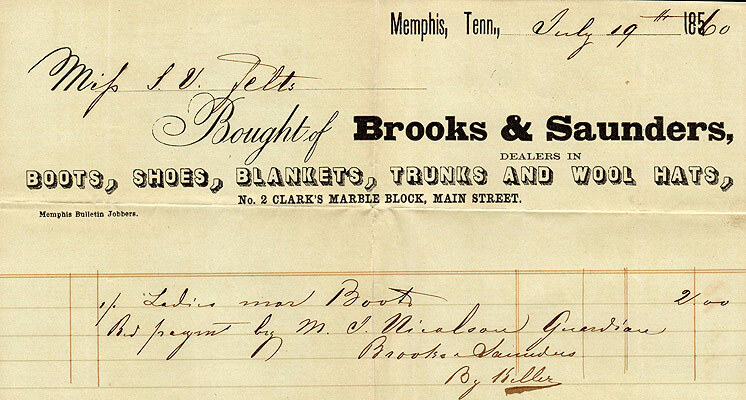 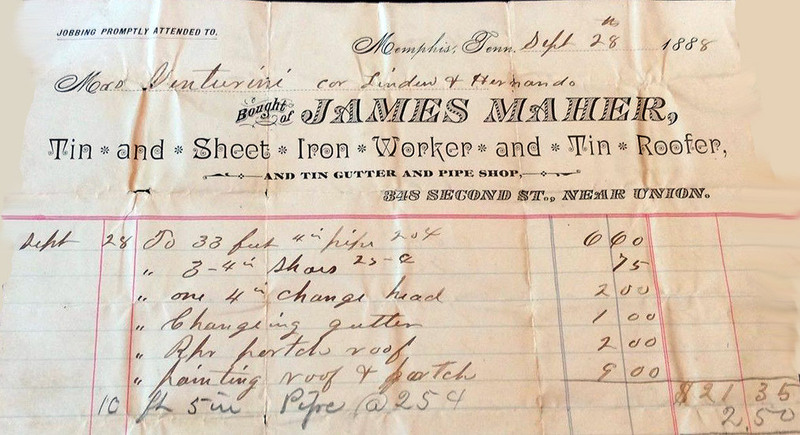 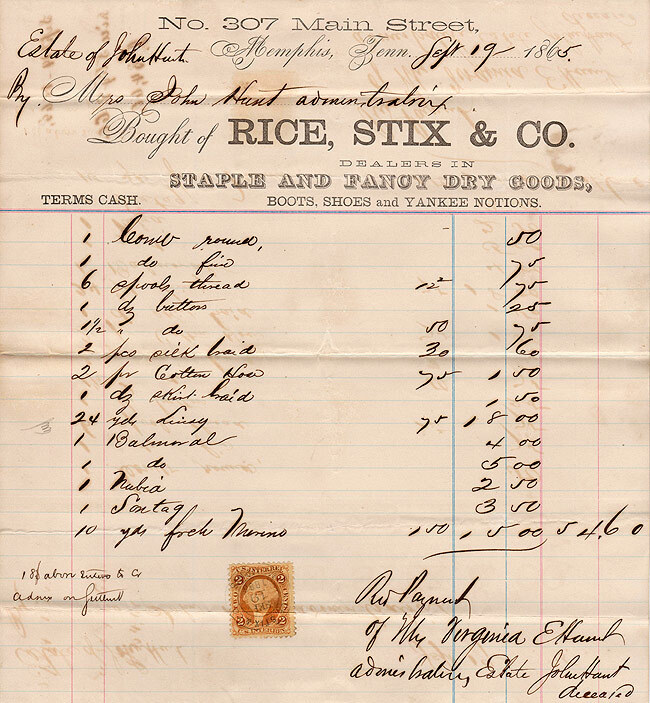 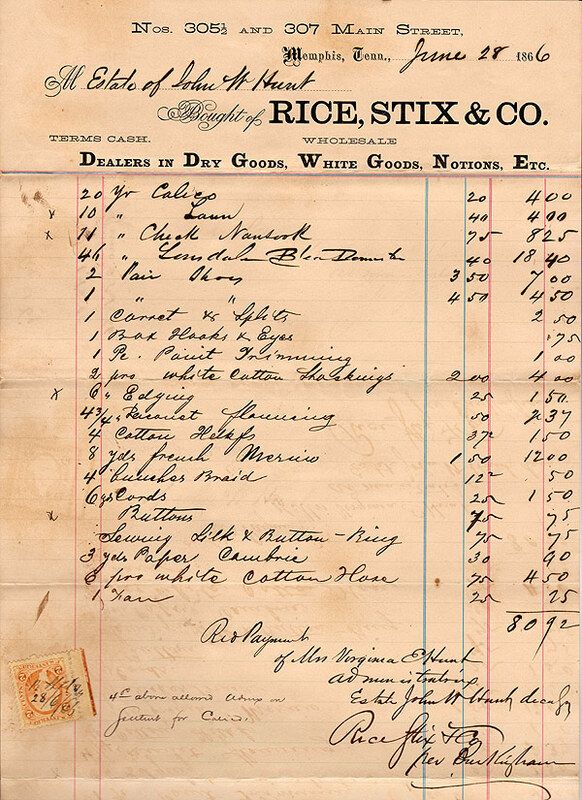 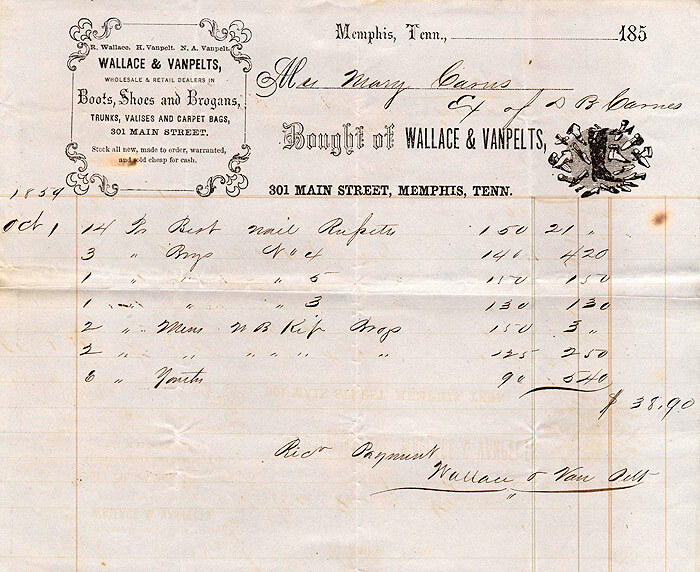 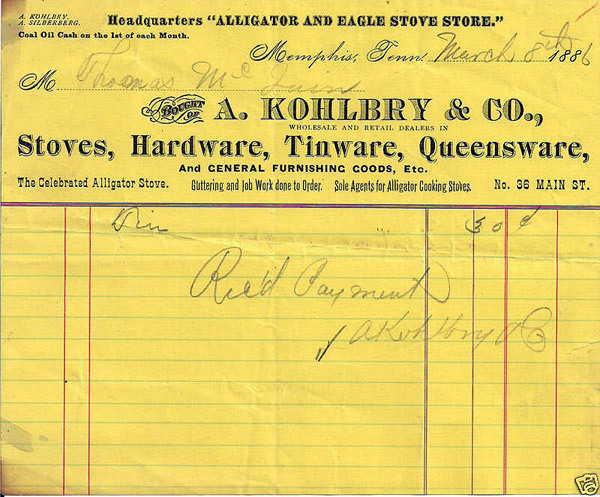 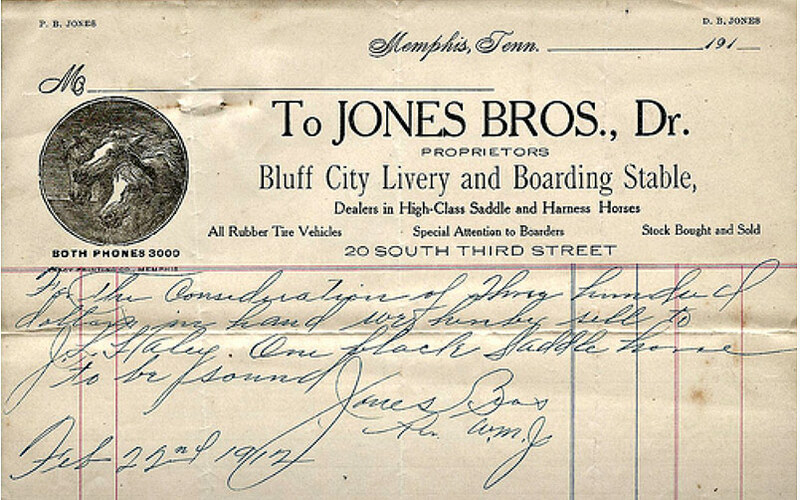 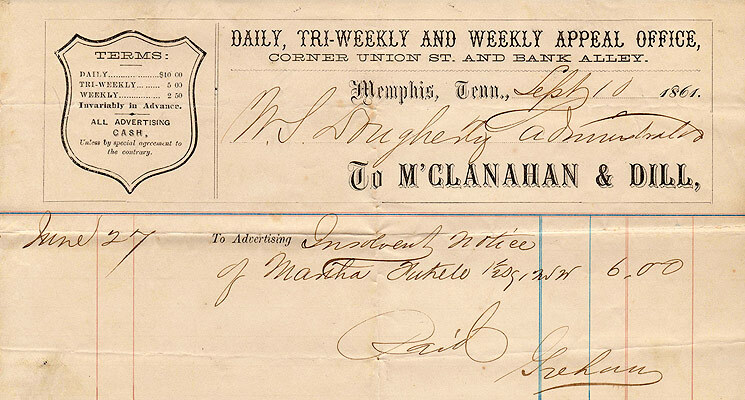 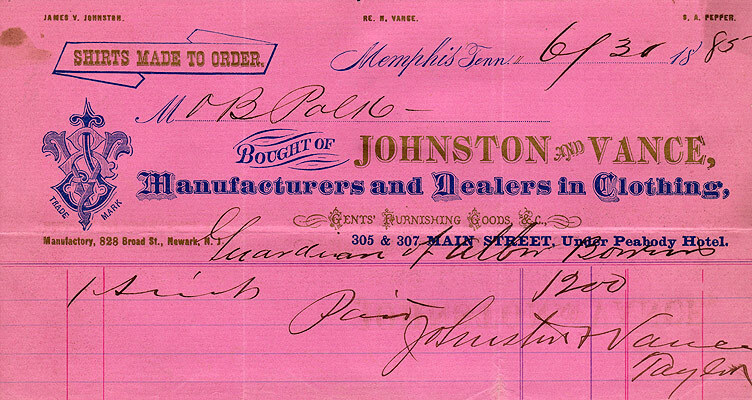 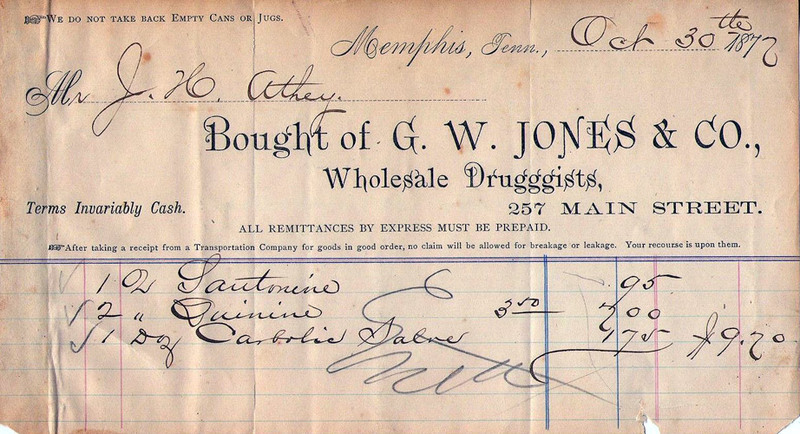 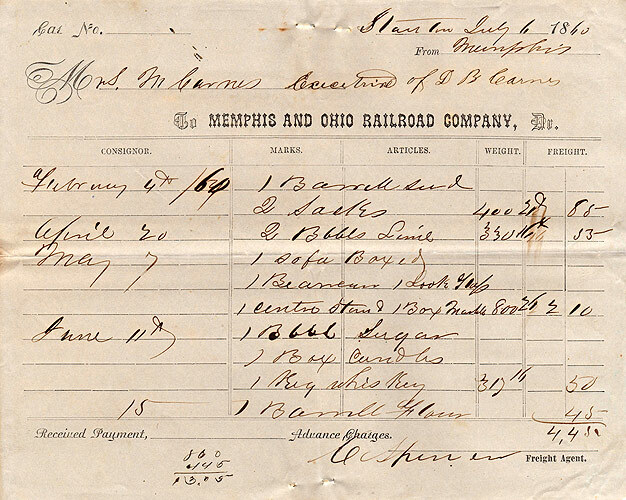 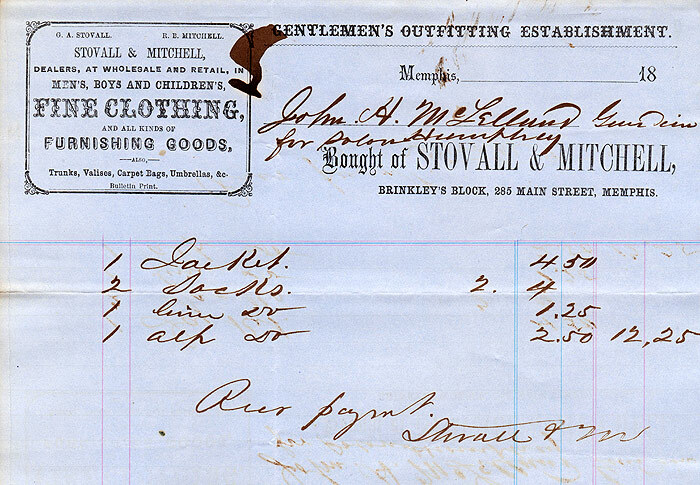 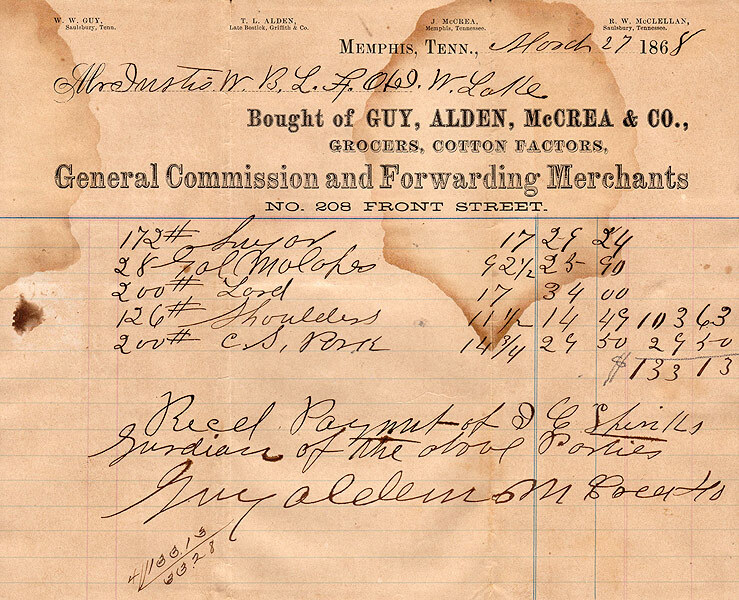 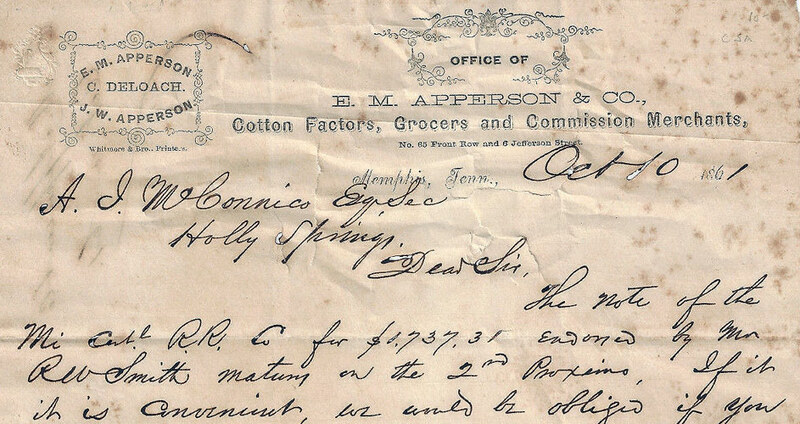 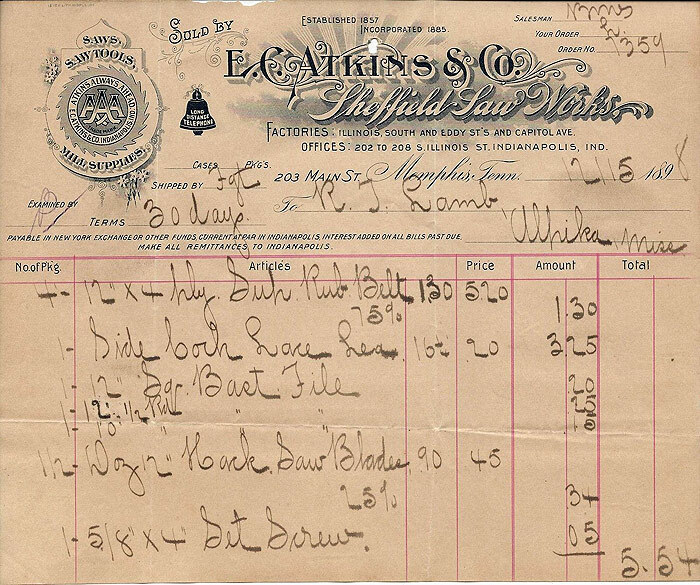 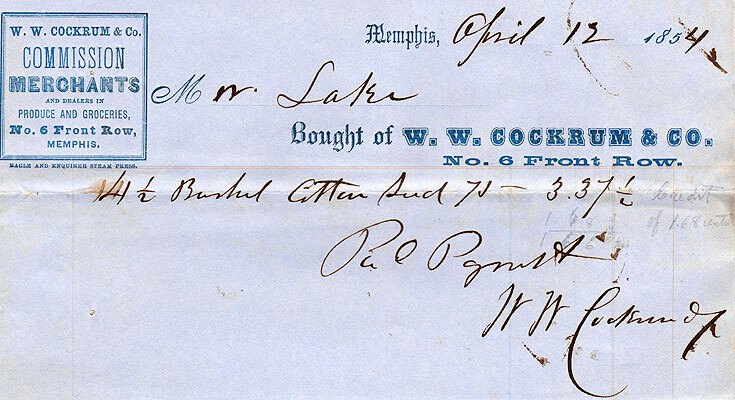 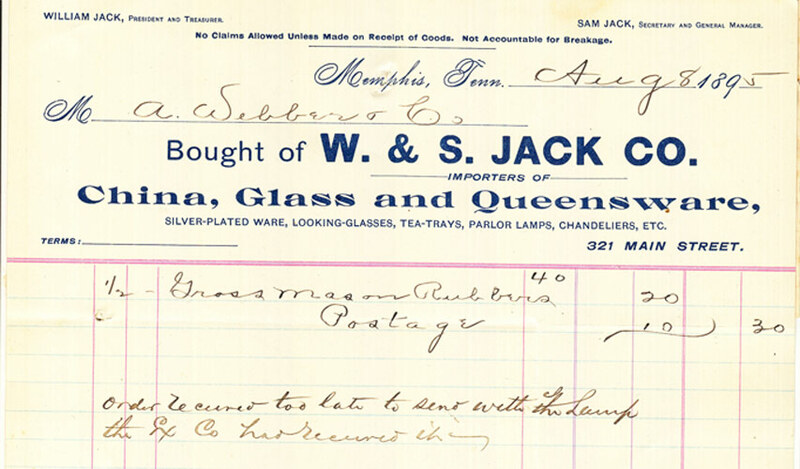 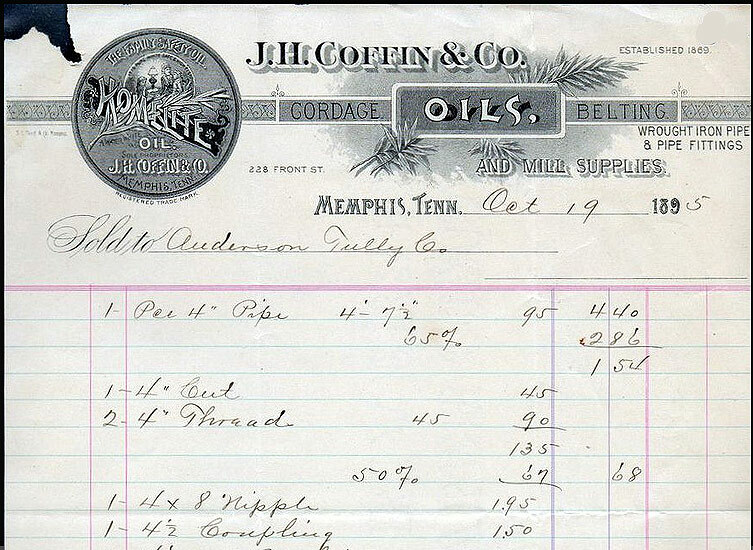 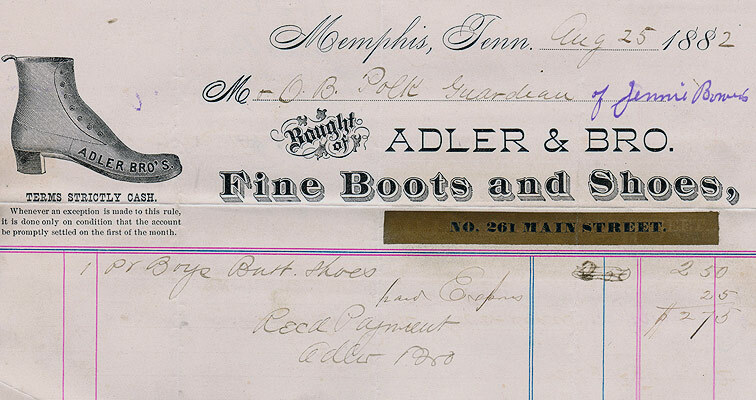 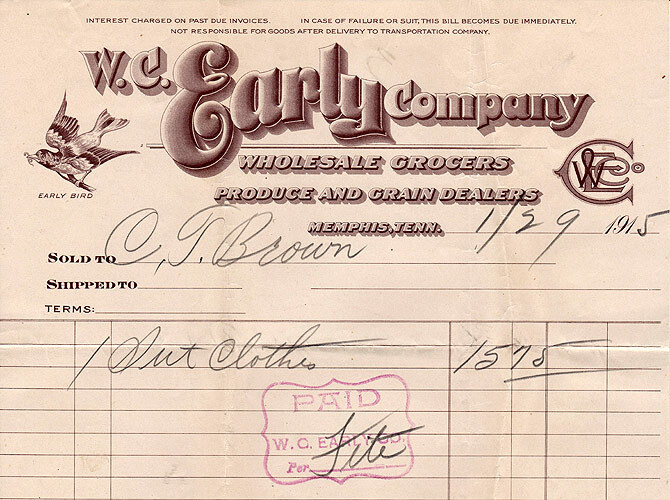 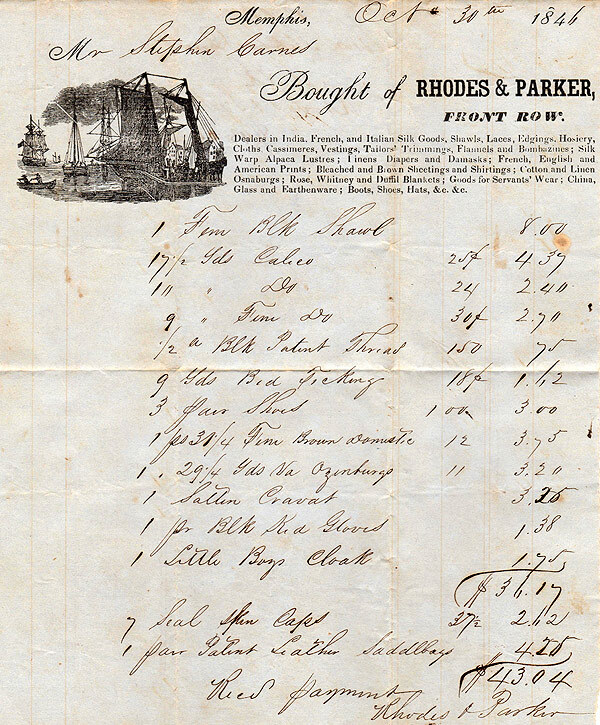 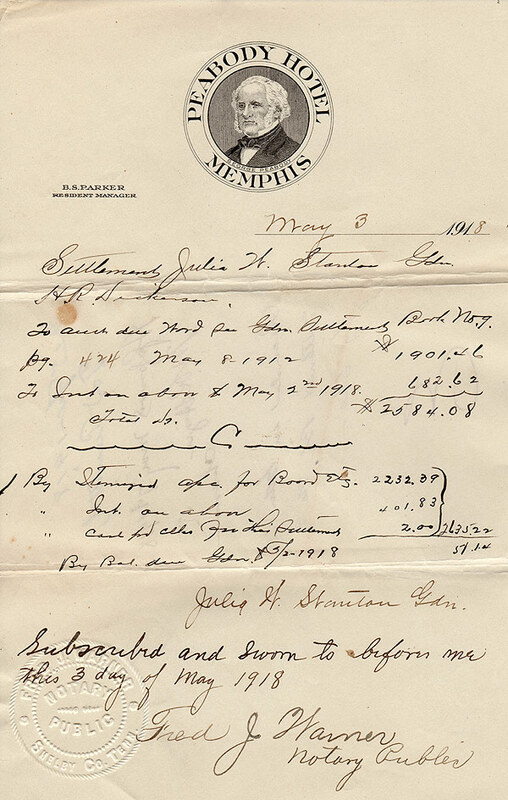 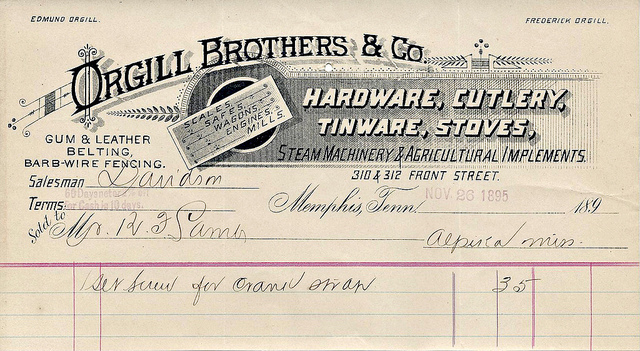 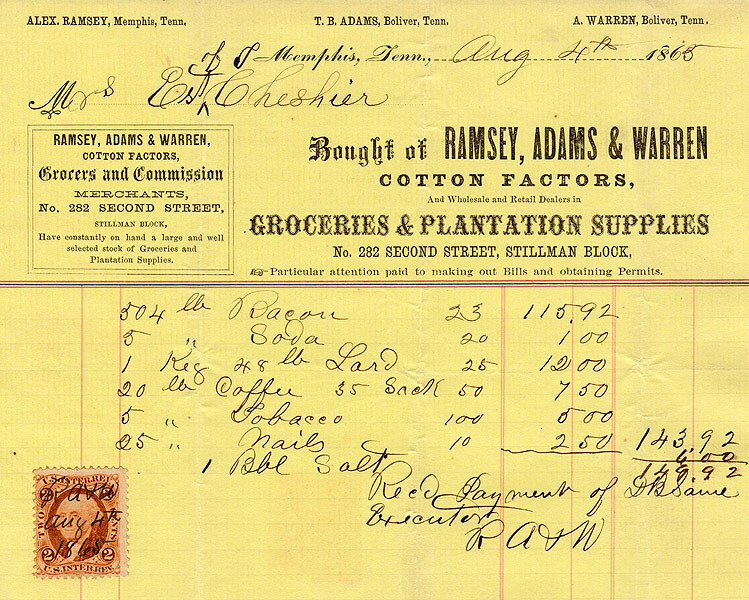 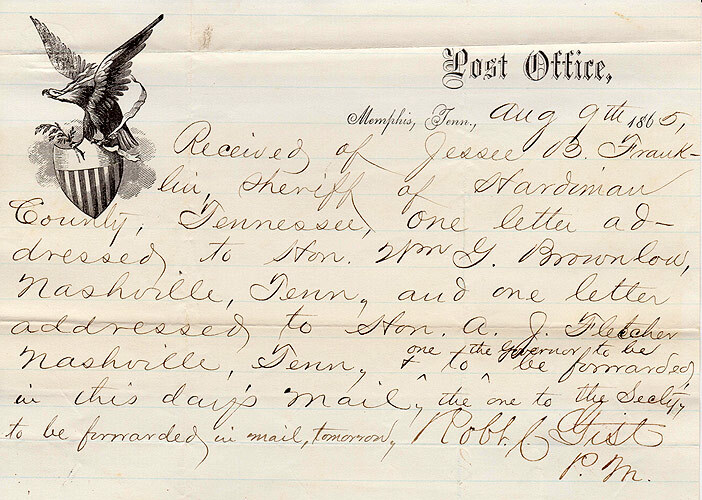 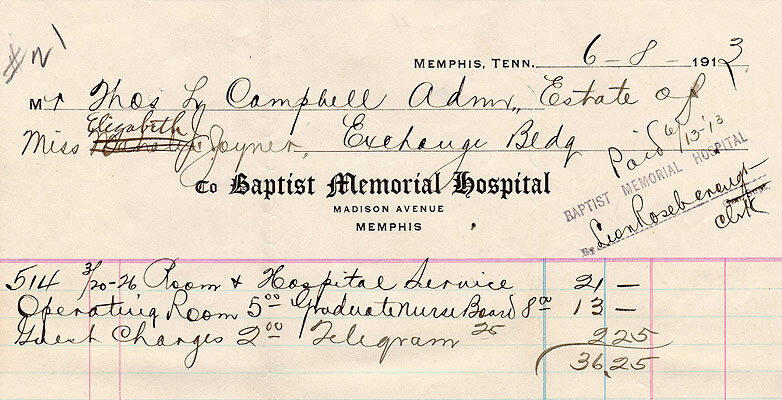 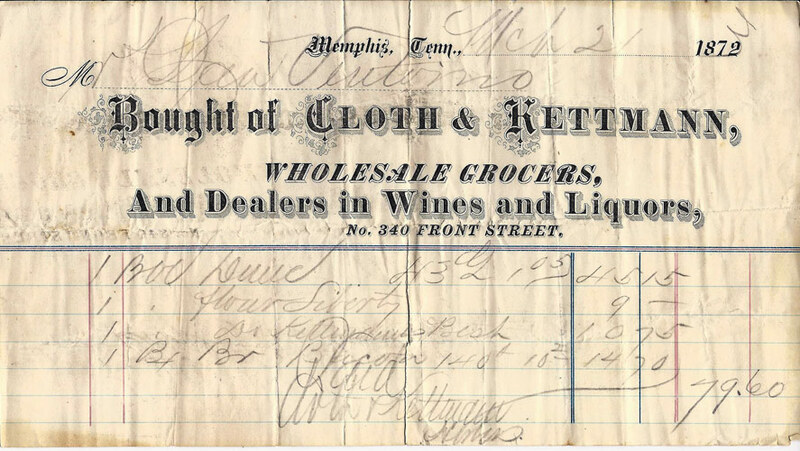 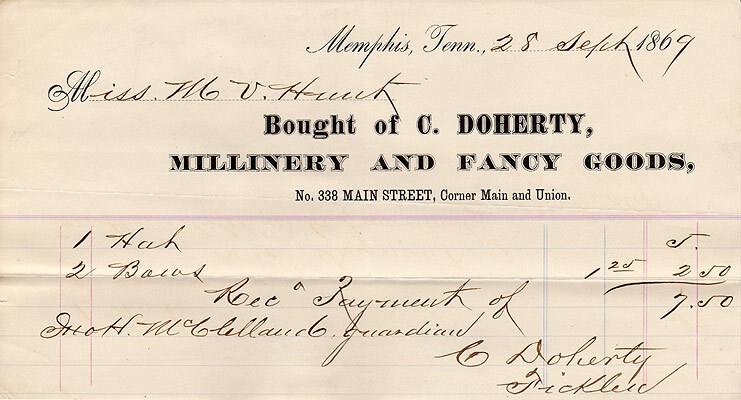 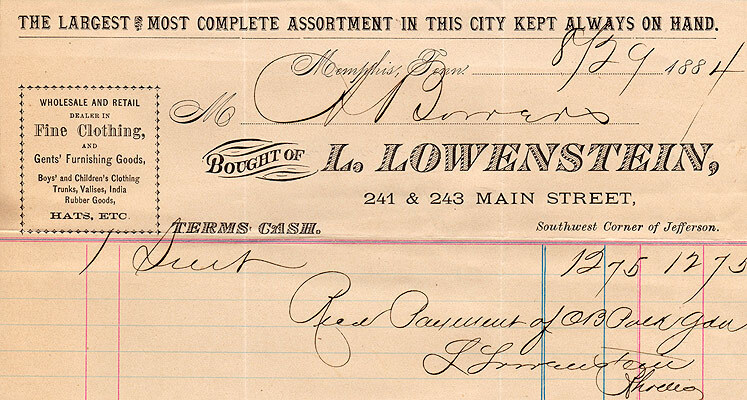 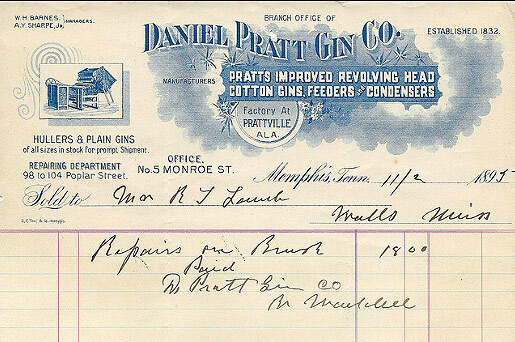 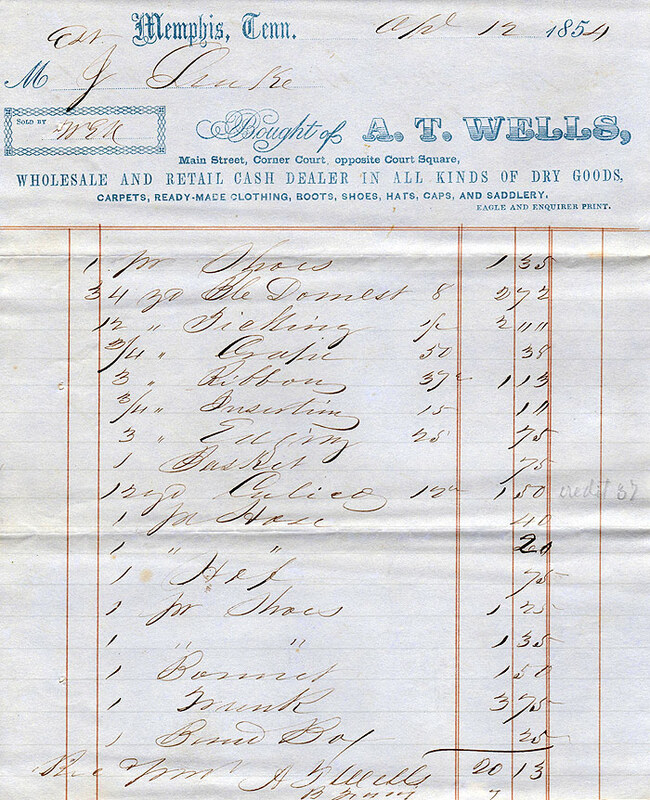 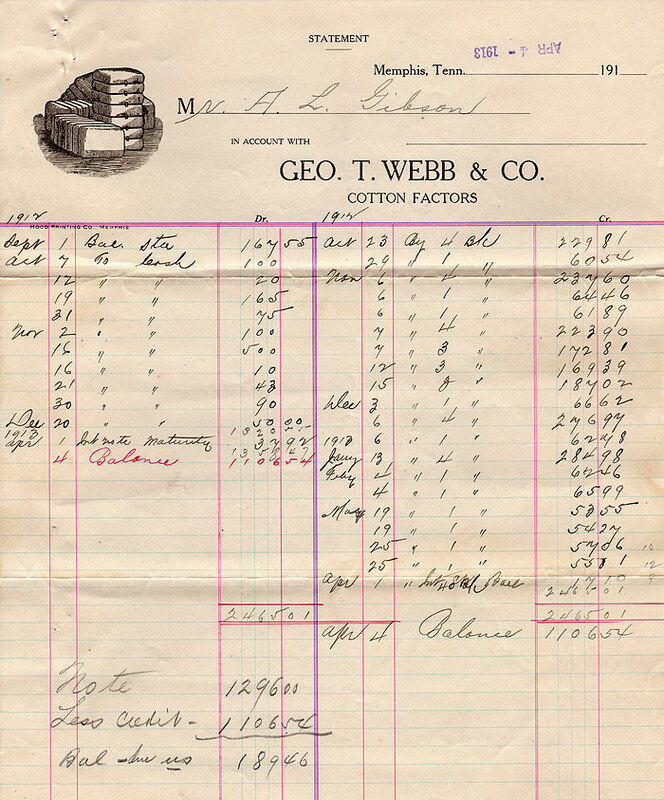 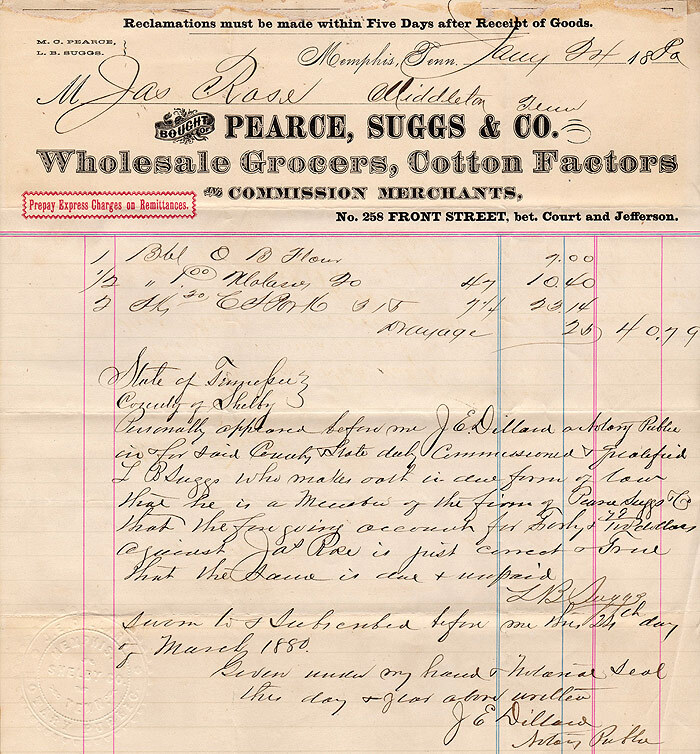 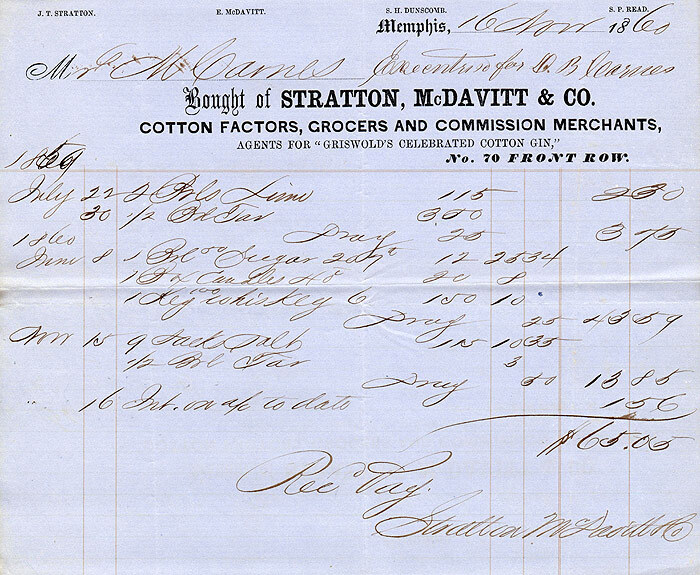 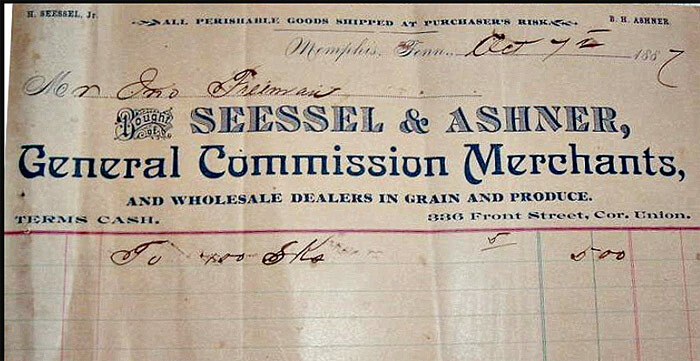 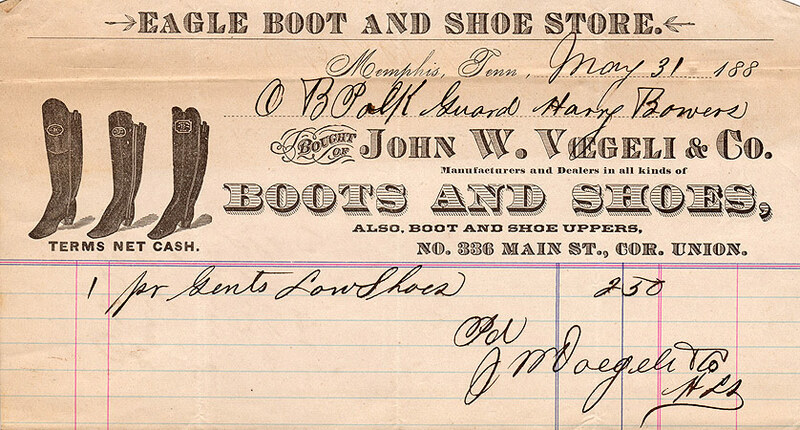 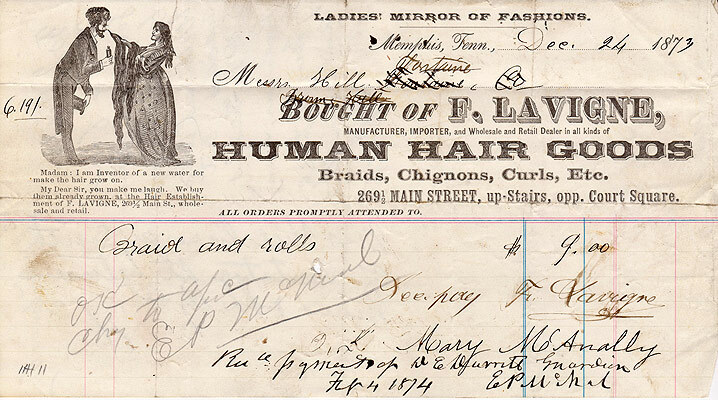 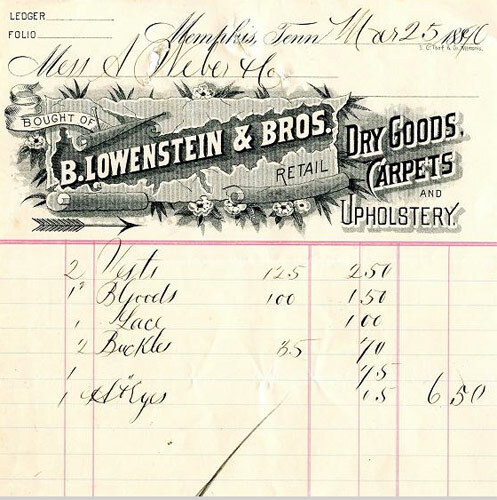 Billhead receipts and Invoices were commonly used in business transactions from 1860 to 1946. 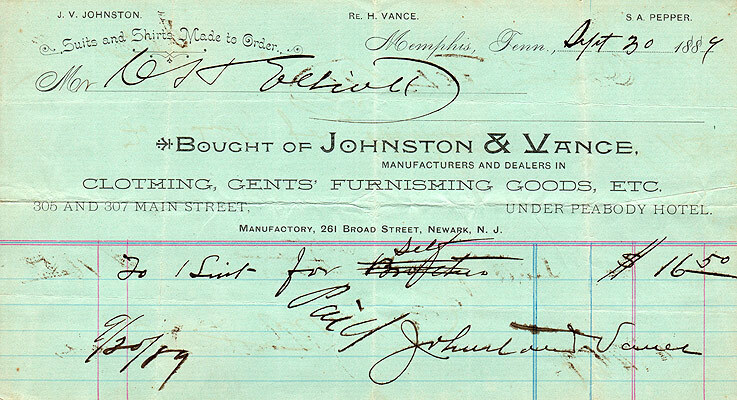 They can be found in today's transactions but they are less common. 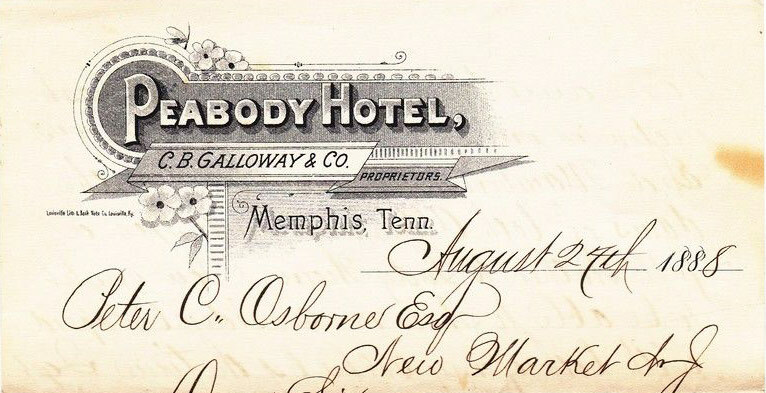 Many billheads were illustrated with fancy engravings and listed the company's name , address, various information and very often handwritten notes. 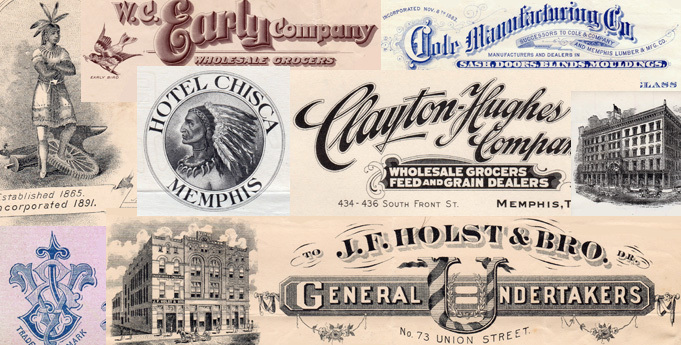 Today they are considered vintage ephemera and are very collectible. 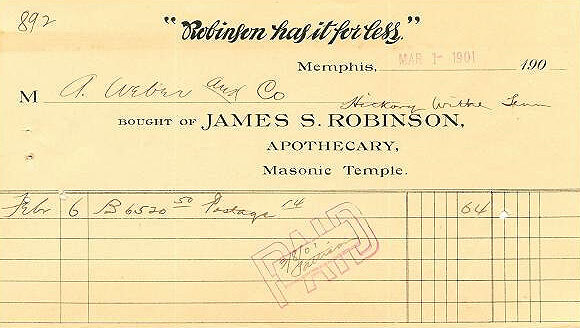 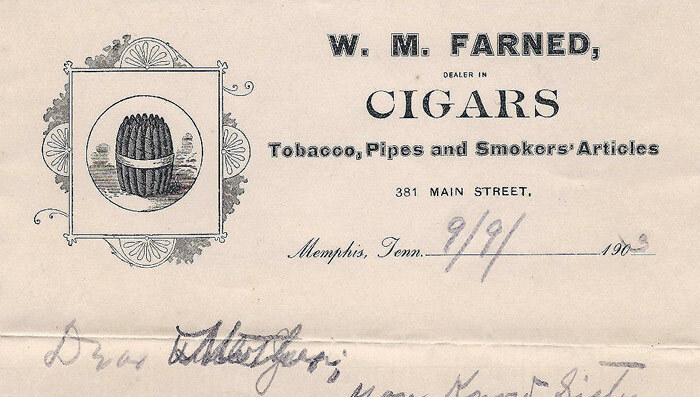 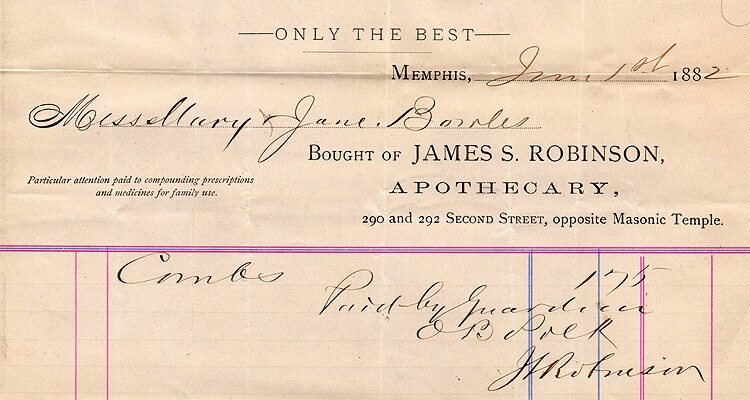 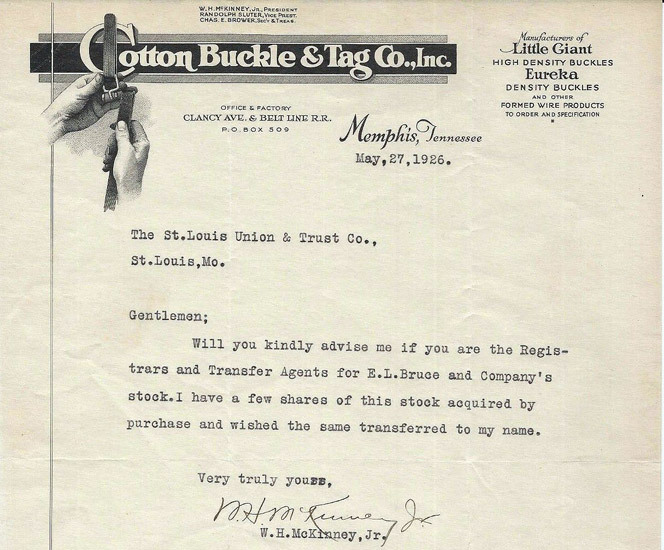 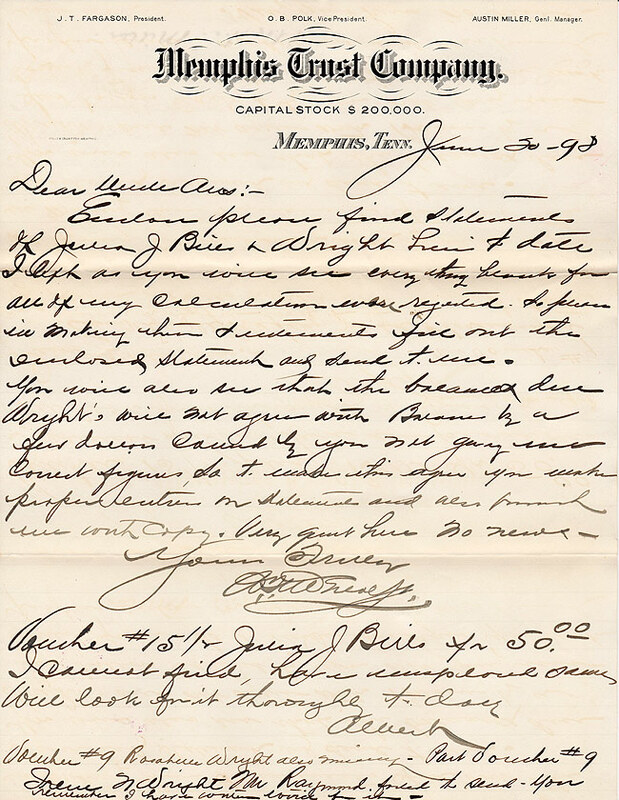 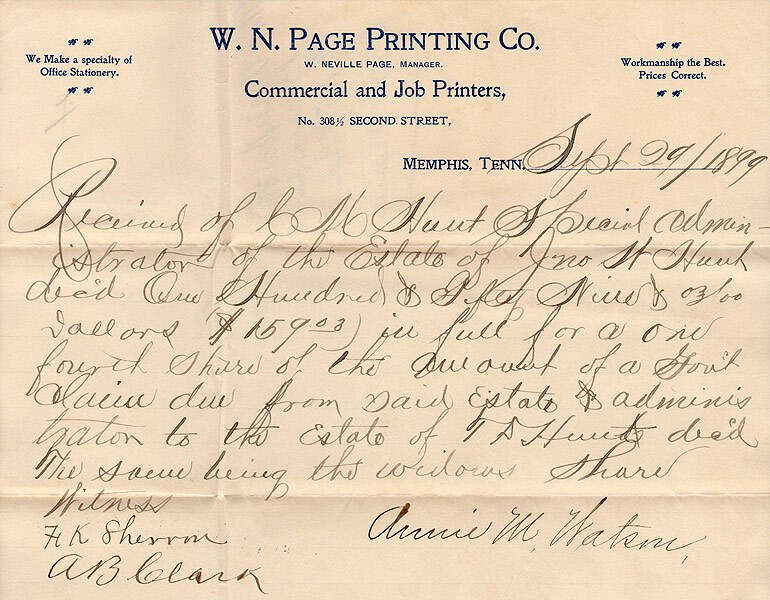 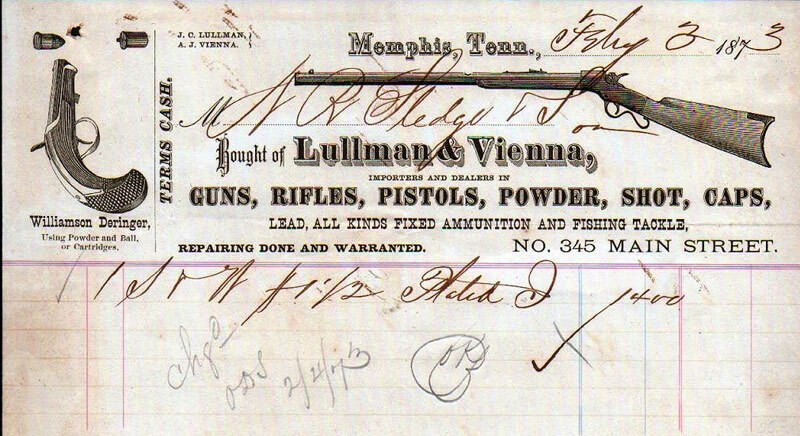 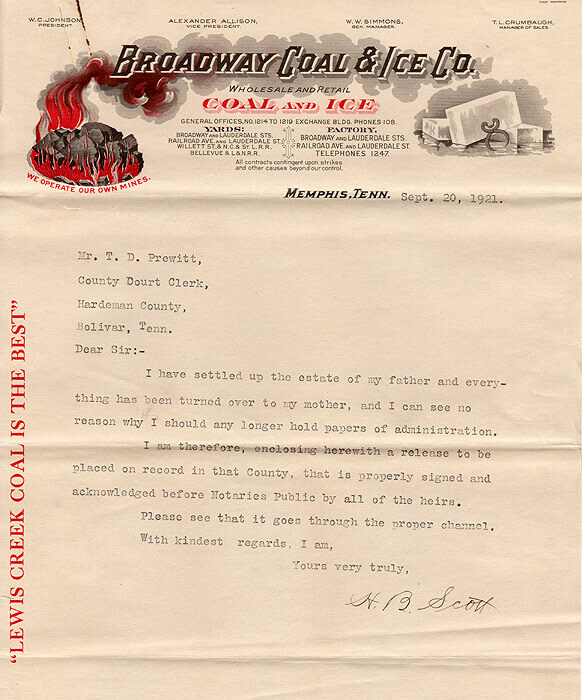 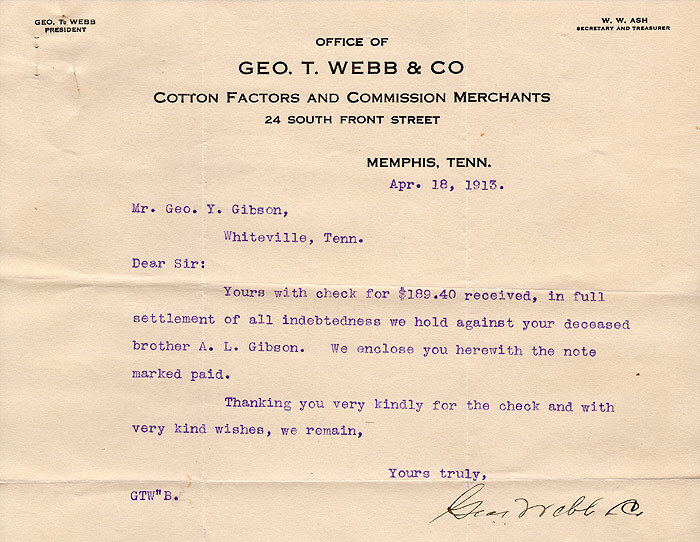 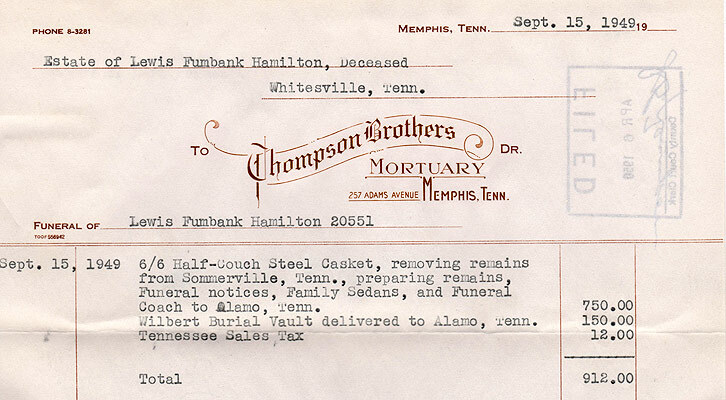 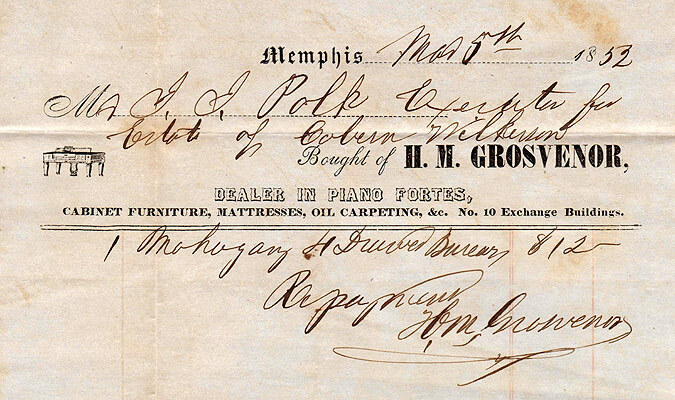 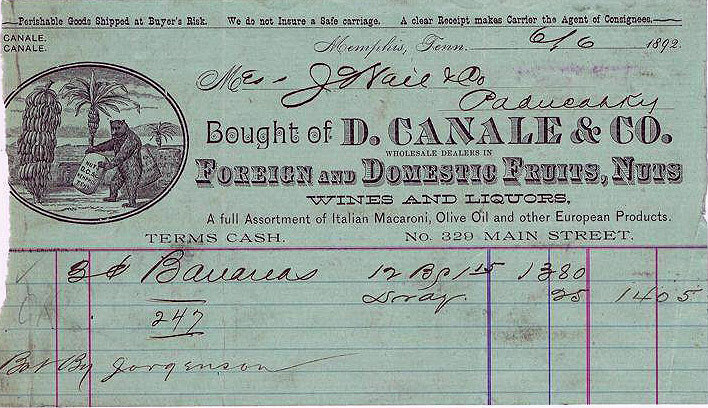 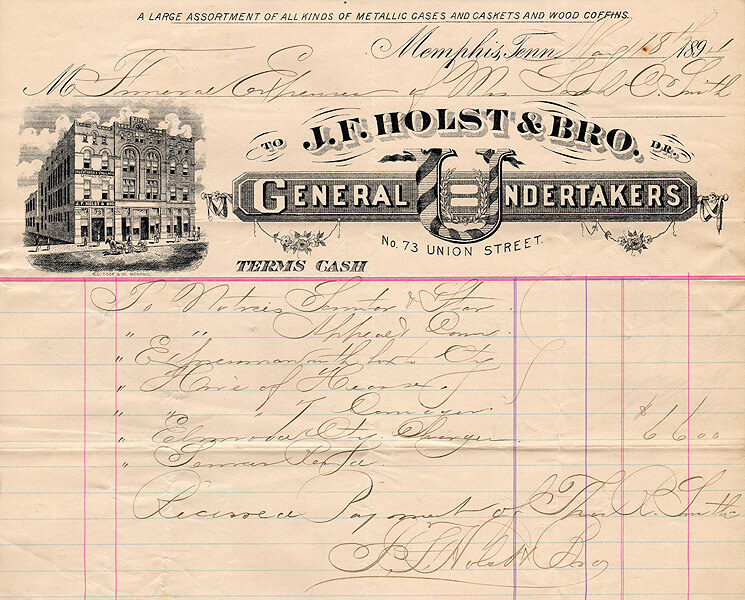 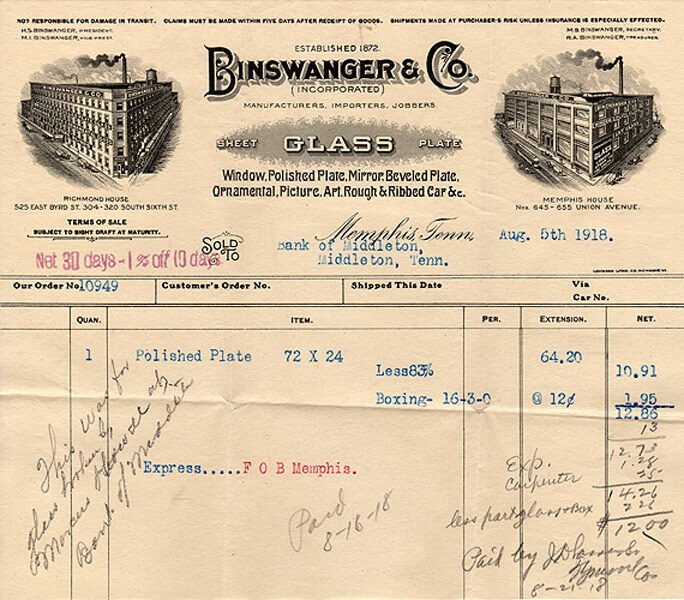 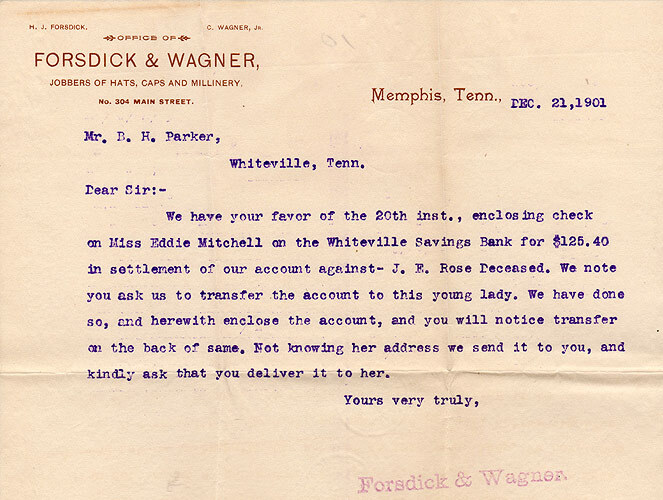 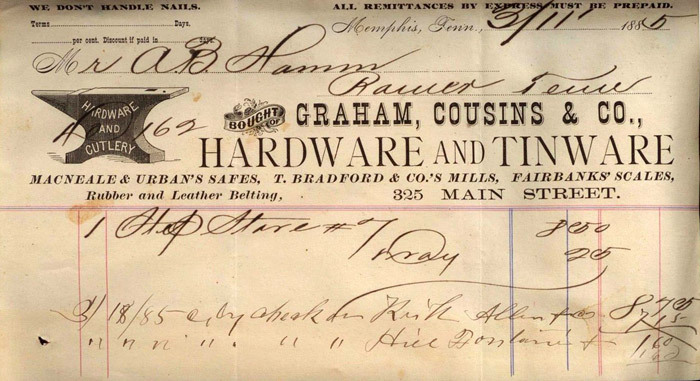 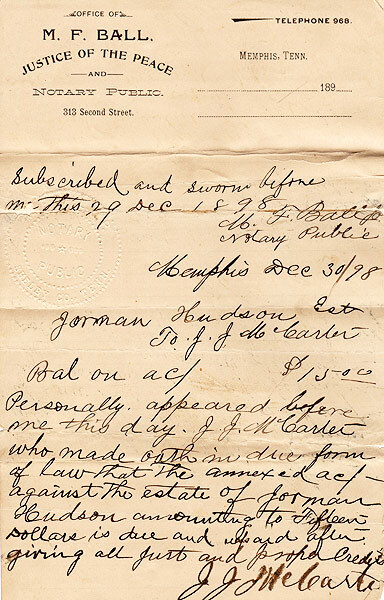 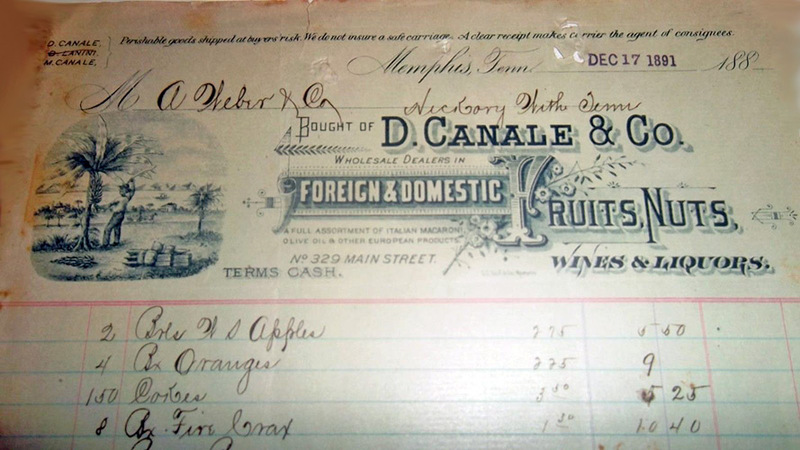 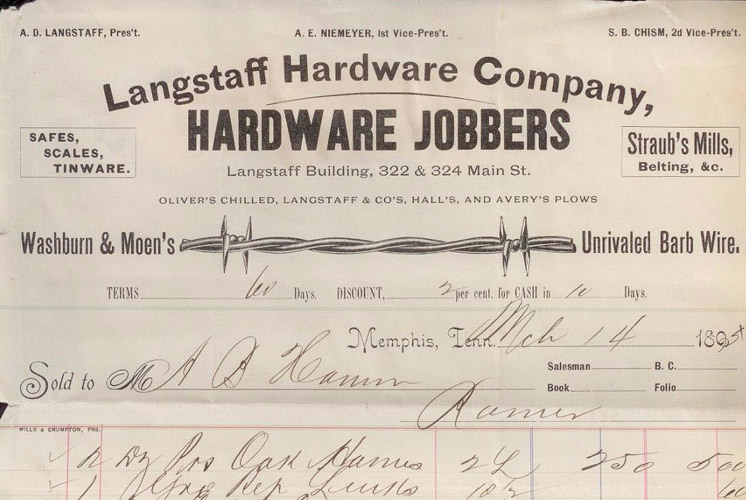 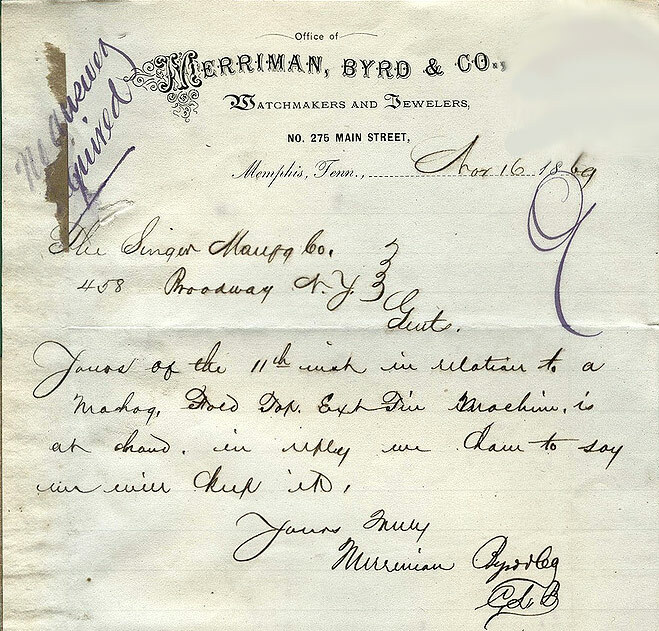 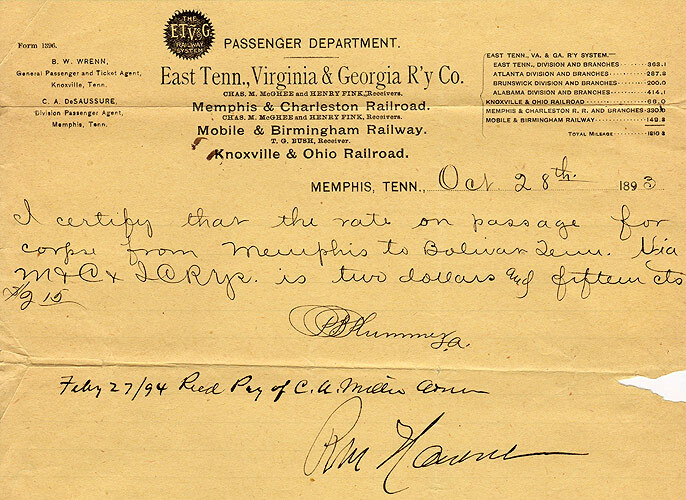 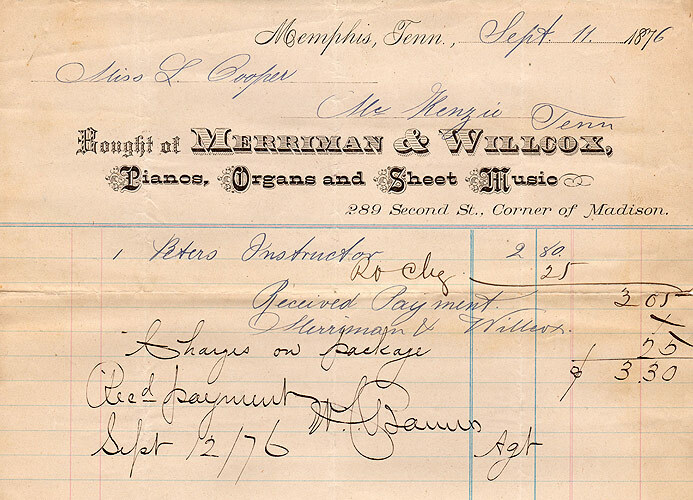 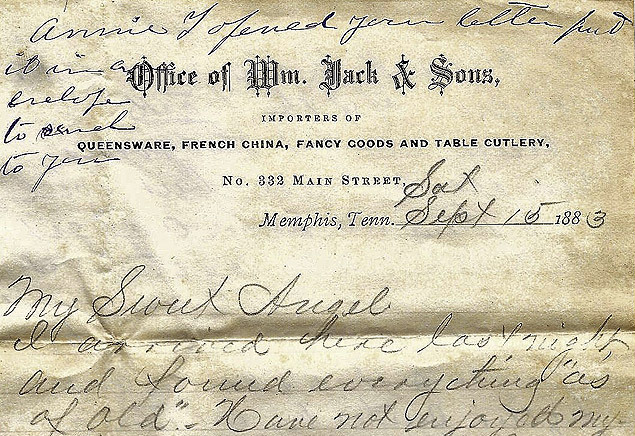 In many cases a relative or ancestor may have owned the business or signed the document. 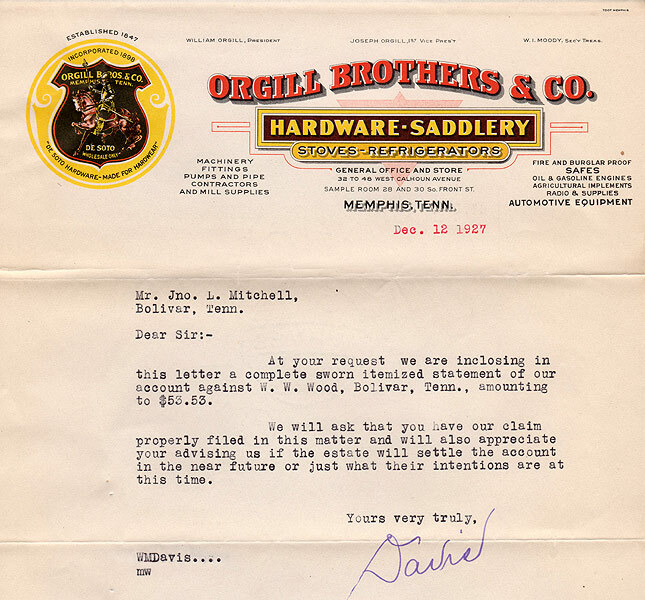 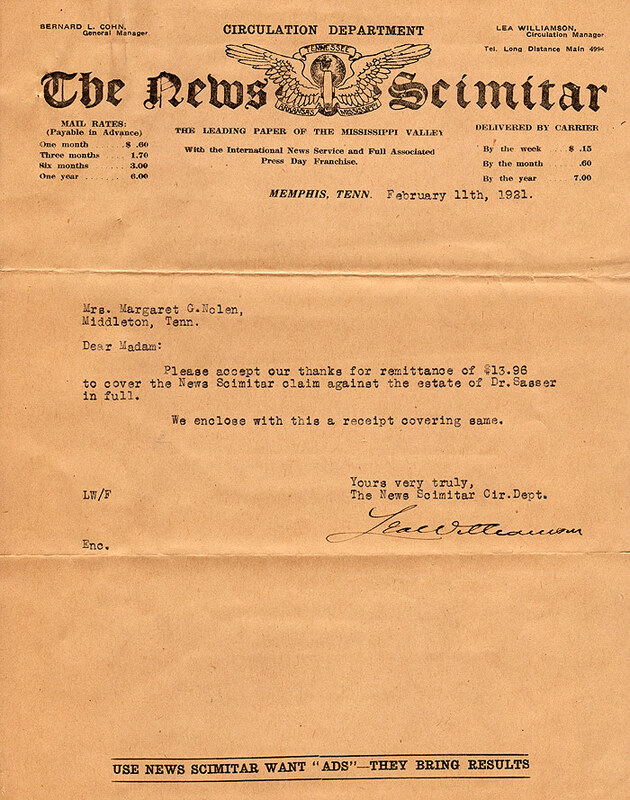 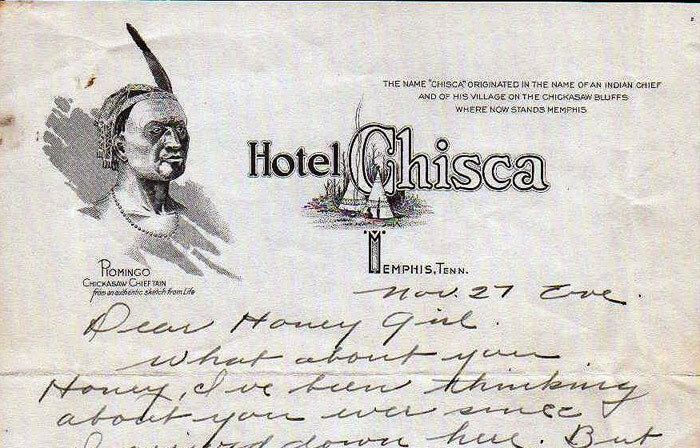 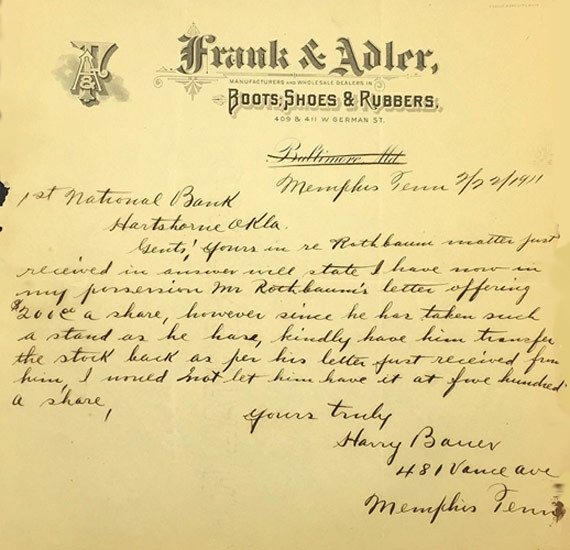 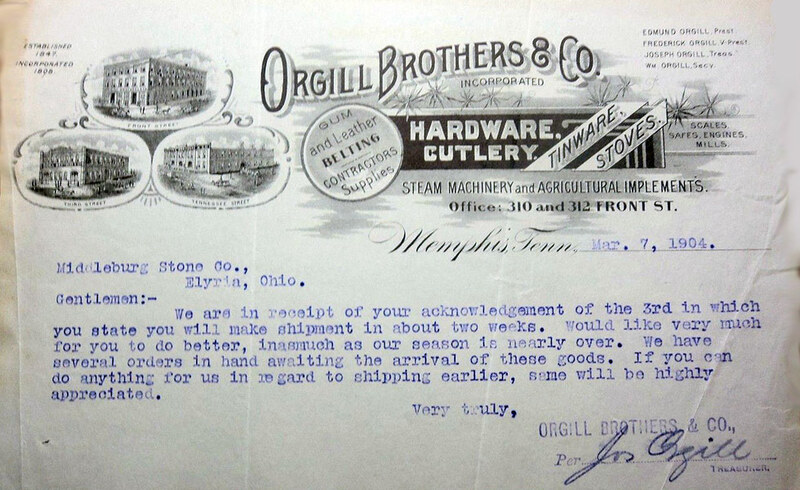 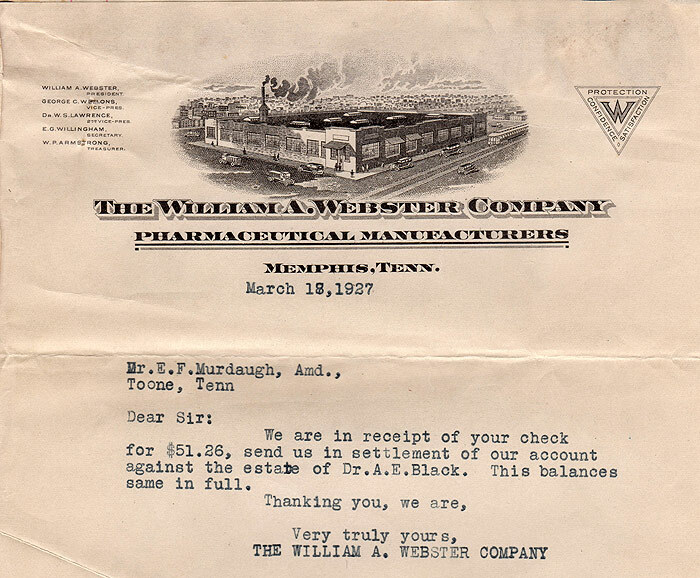 Billheads are similar to today's letterheads except that they often make statements about the companies whose names are on the documents. 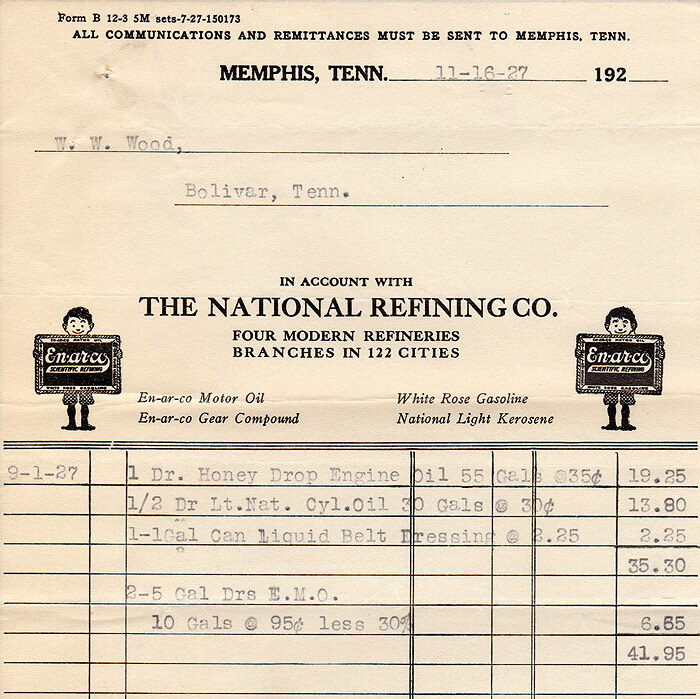 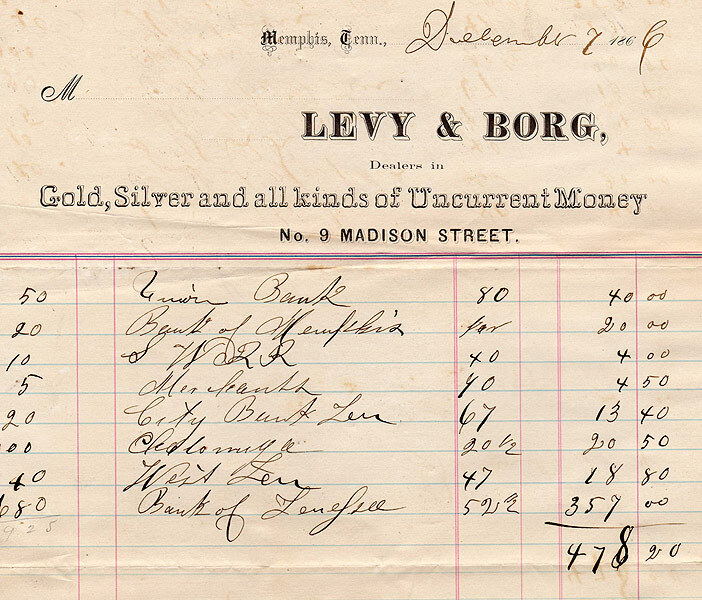 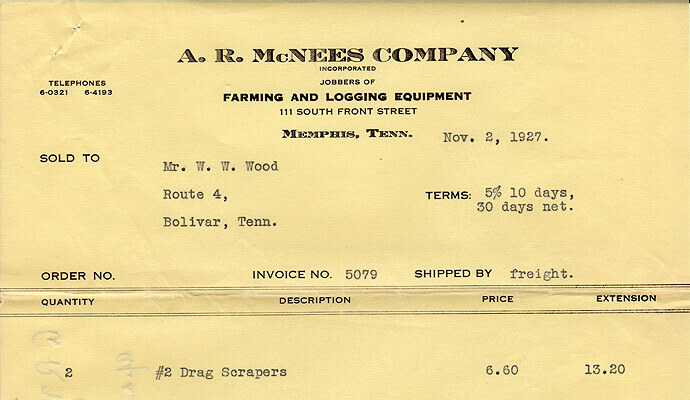 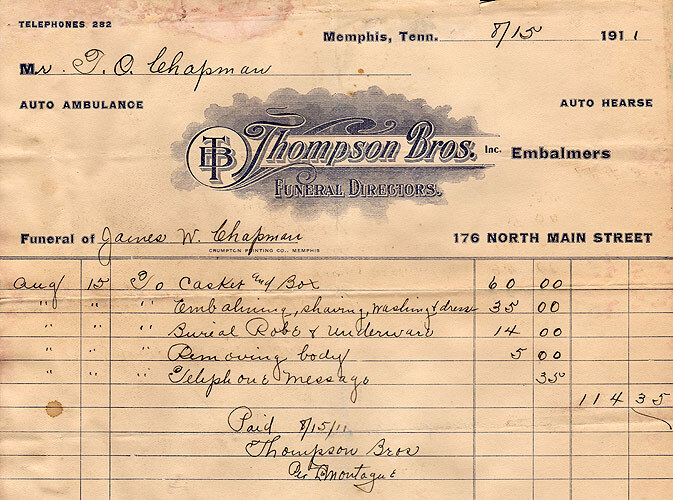 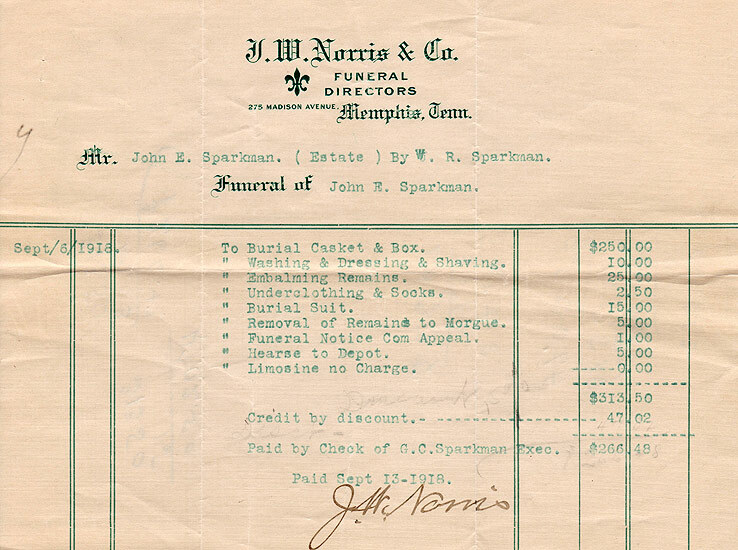 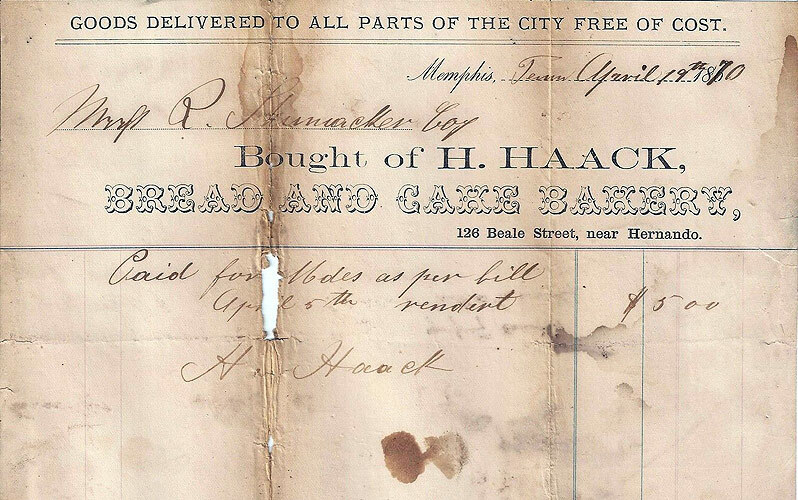 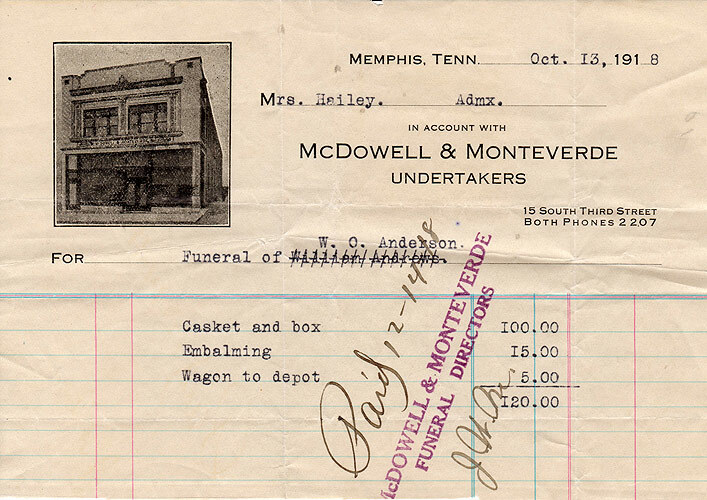 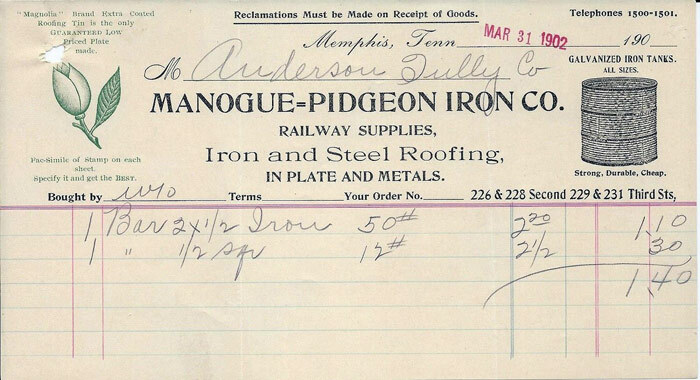 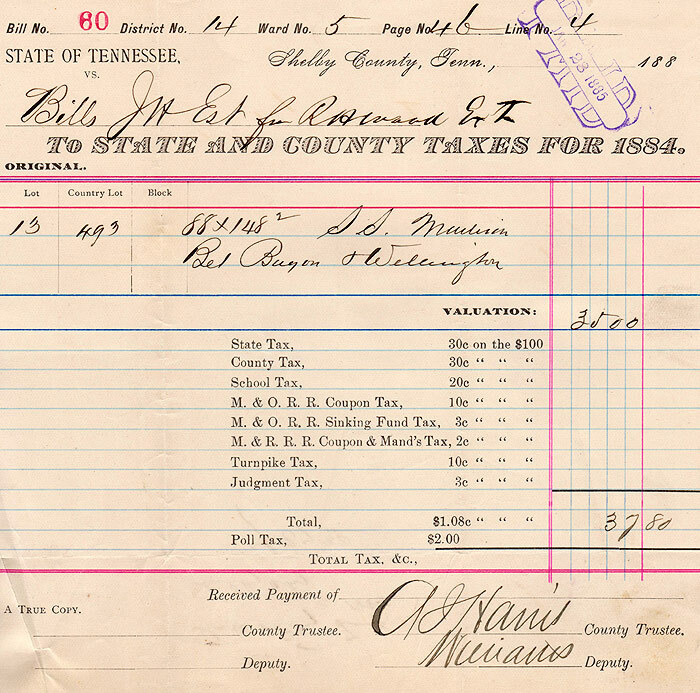 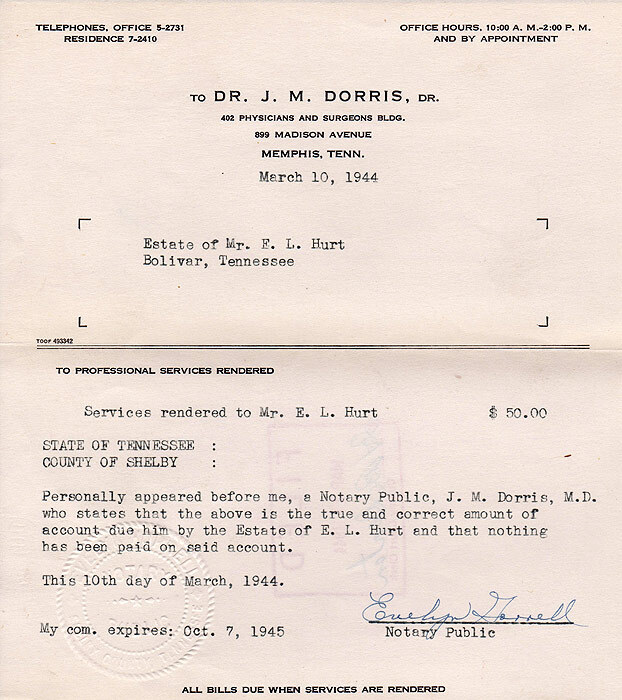 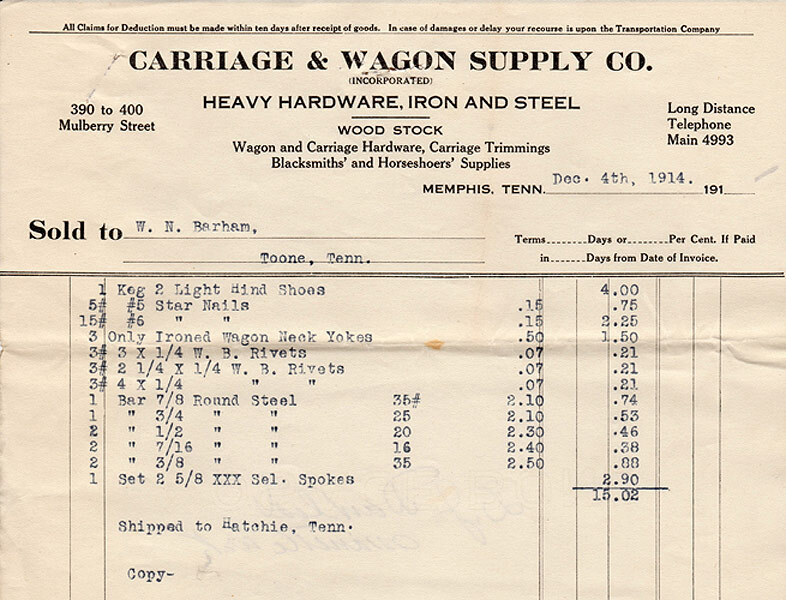 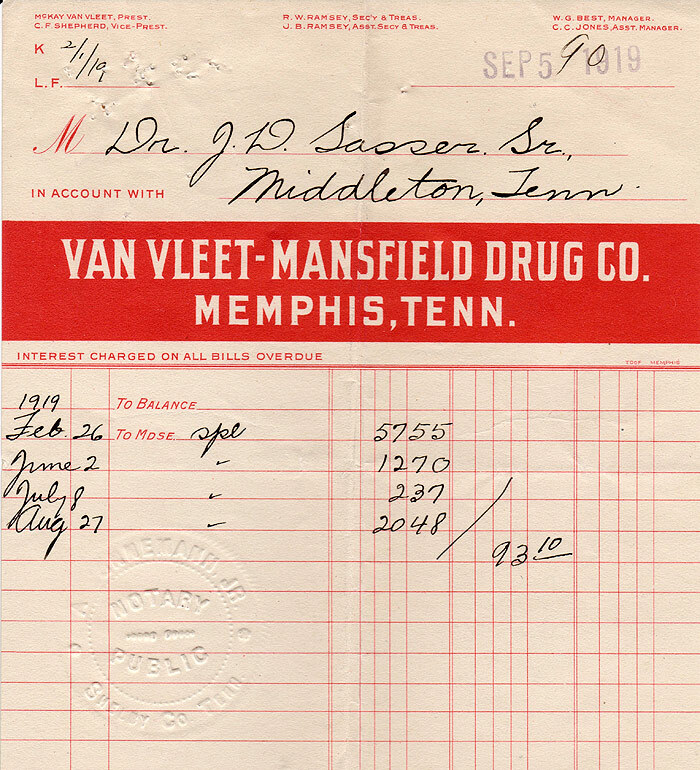 In 2015 Woody Savage and his brother Ken scanned over 1500 Billheads and invoices from the Estate Files of Hardeman County, Tennessee , housed in Bolivar, Tennessee. 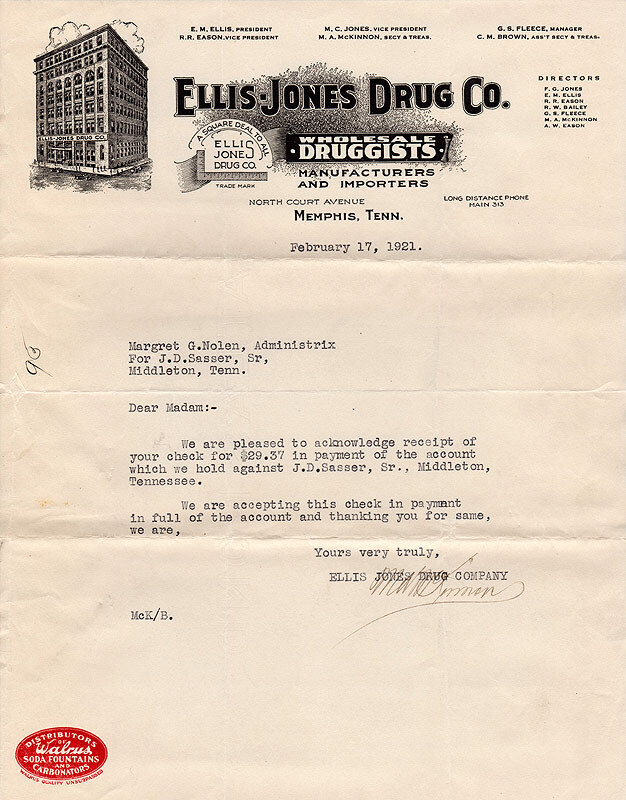 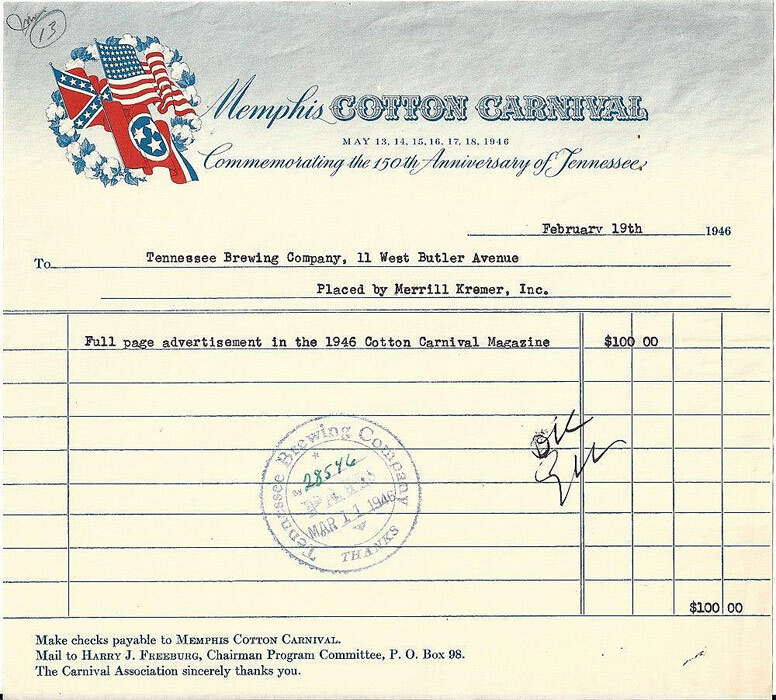 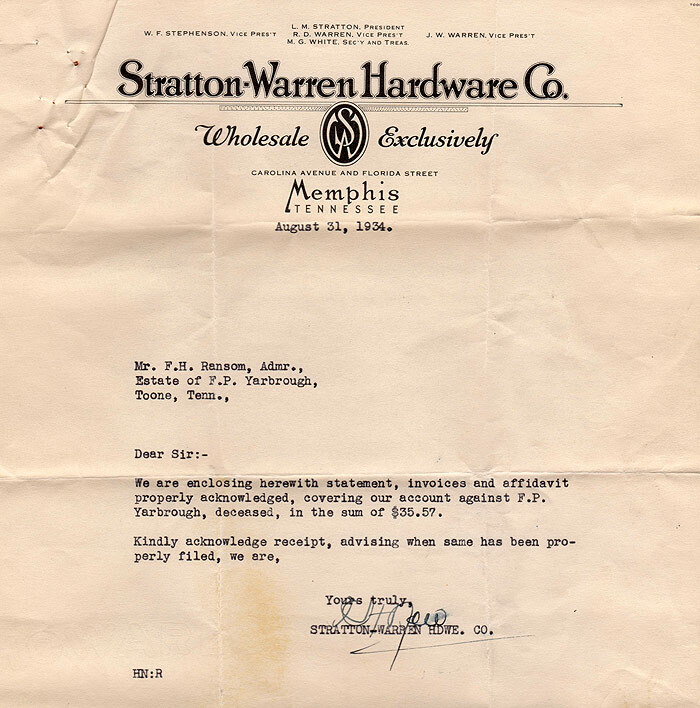 Over 200 of the files were from Memphis. 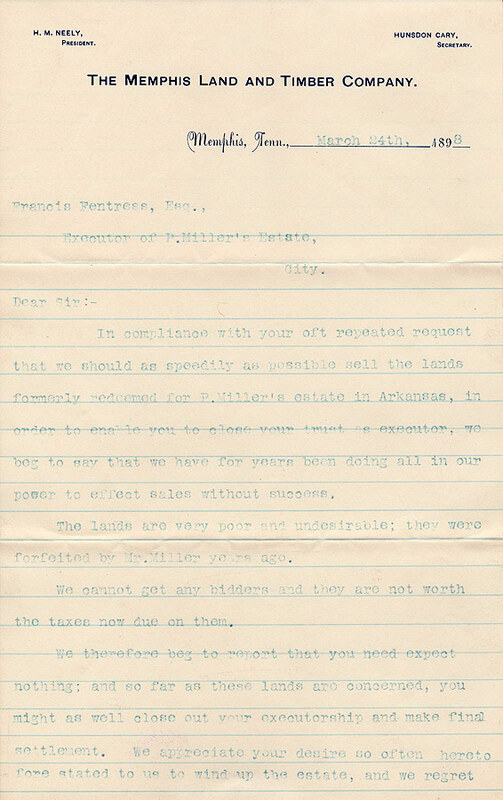 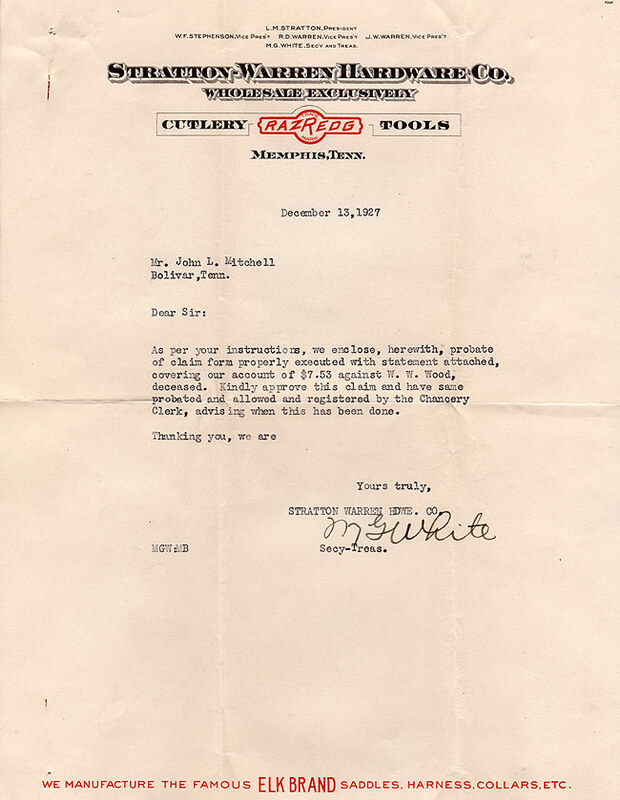 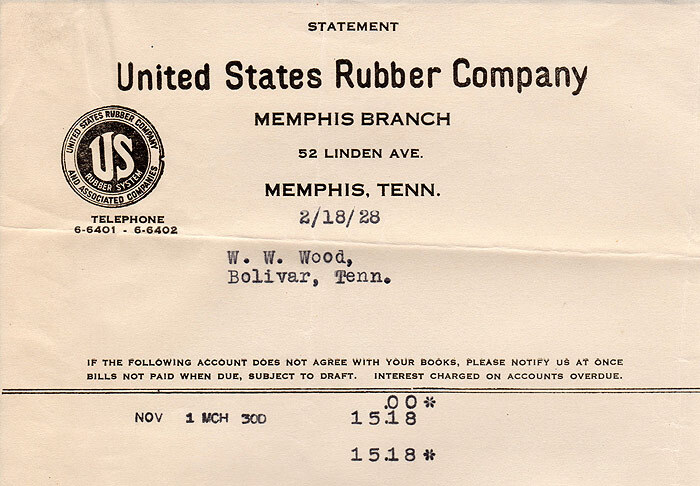 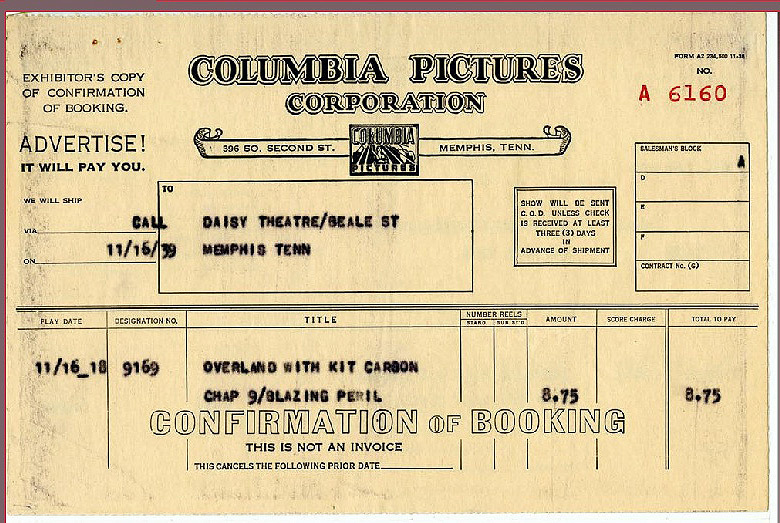 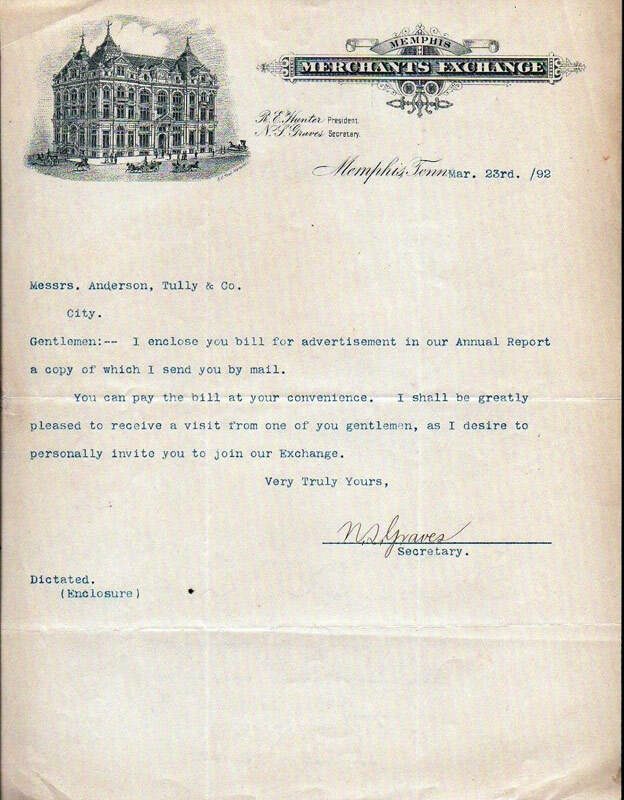 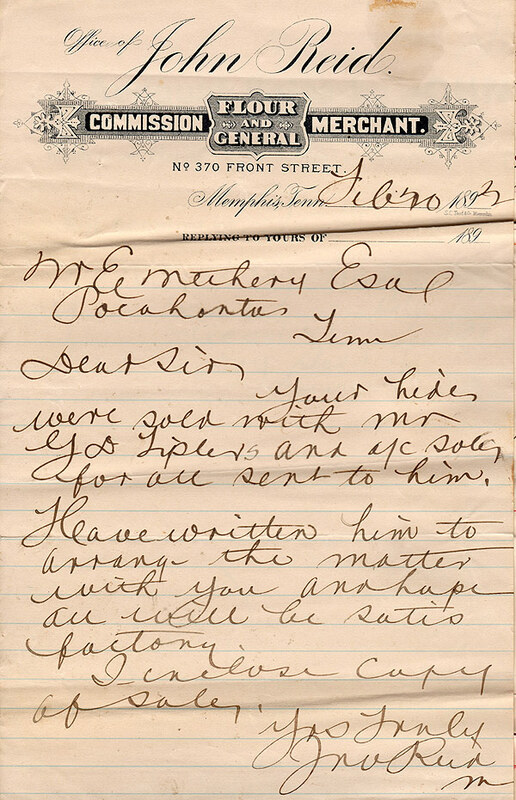 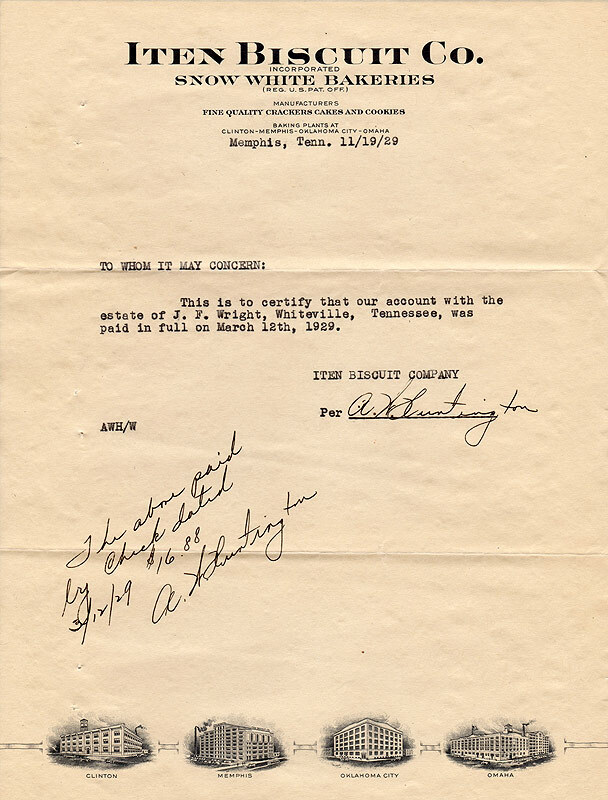 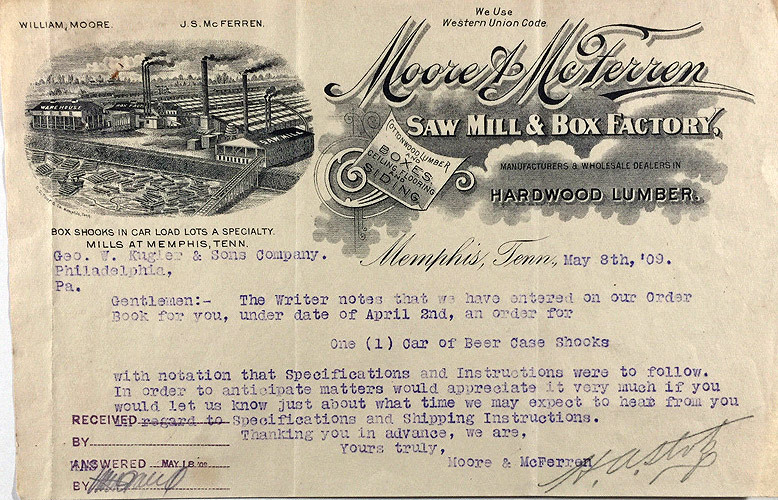 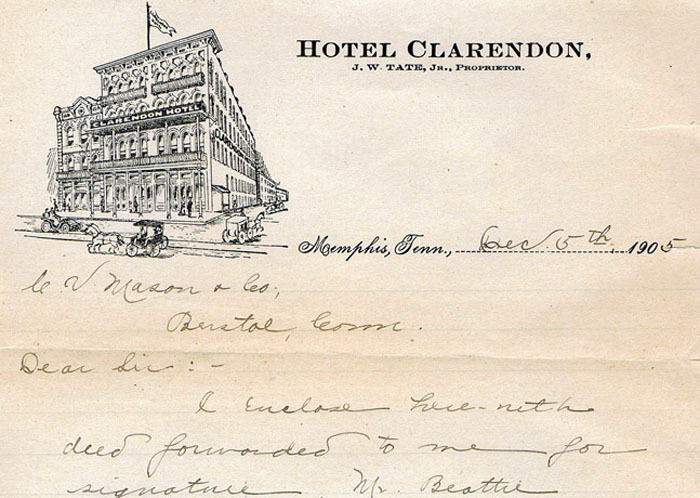 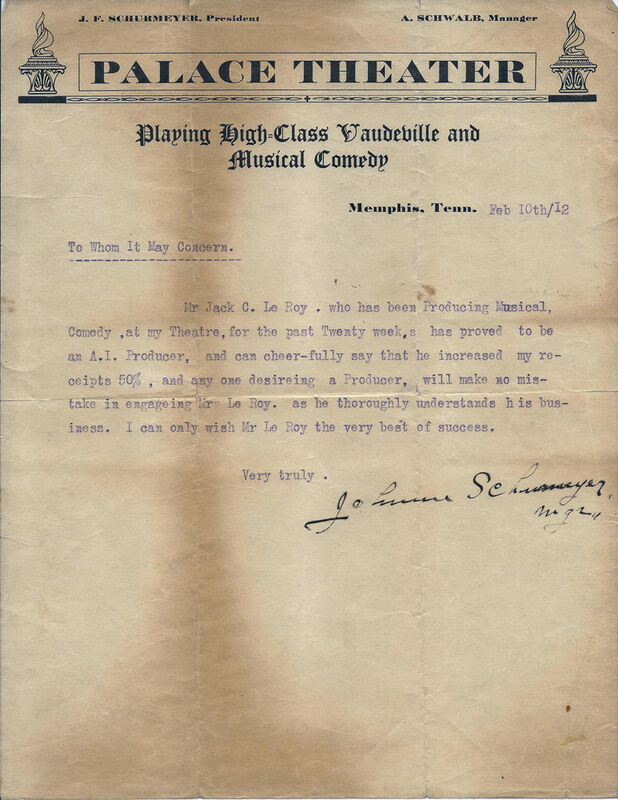 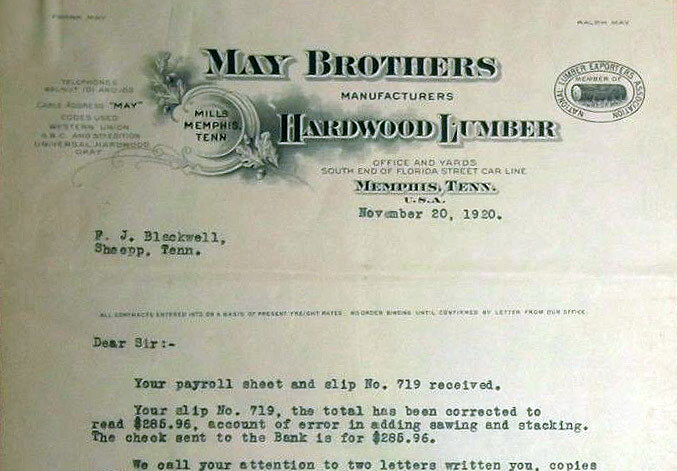 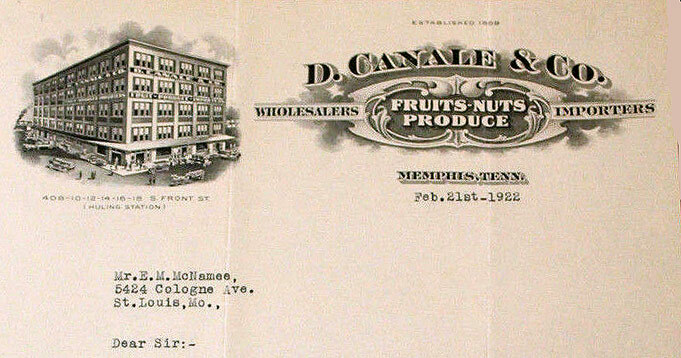 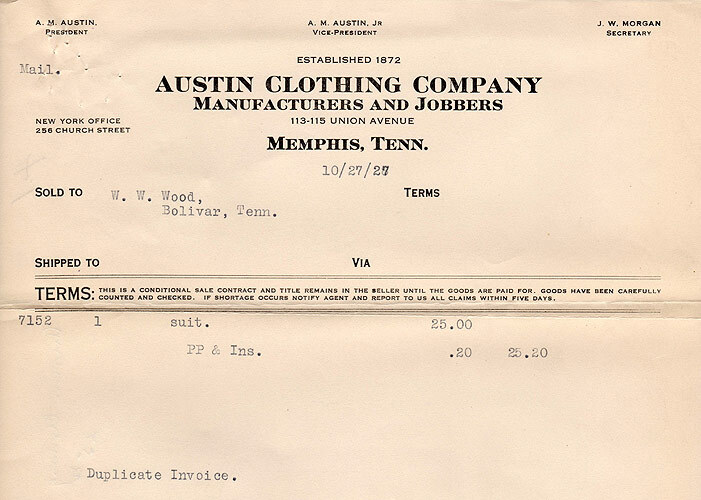 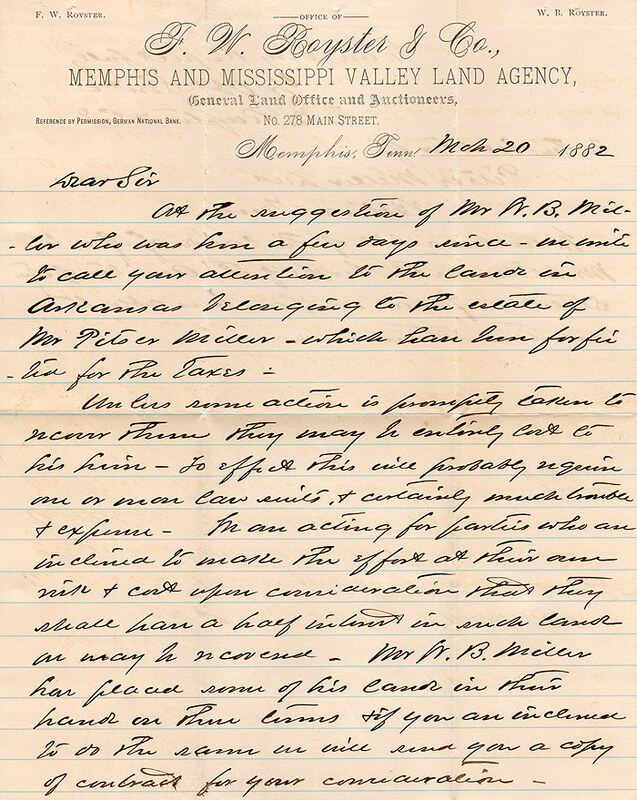 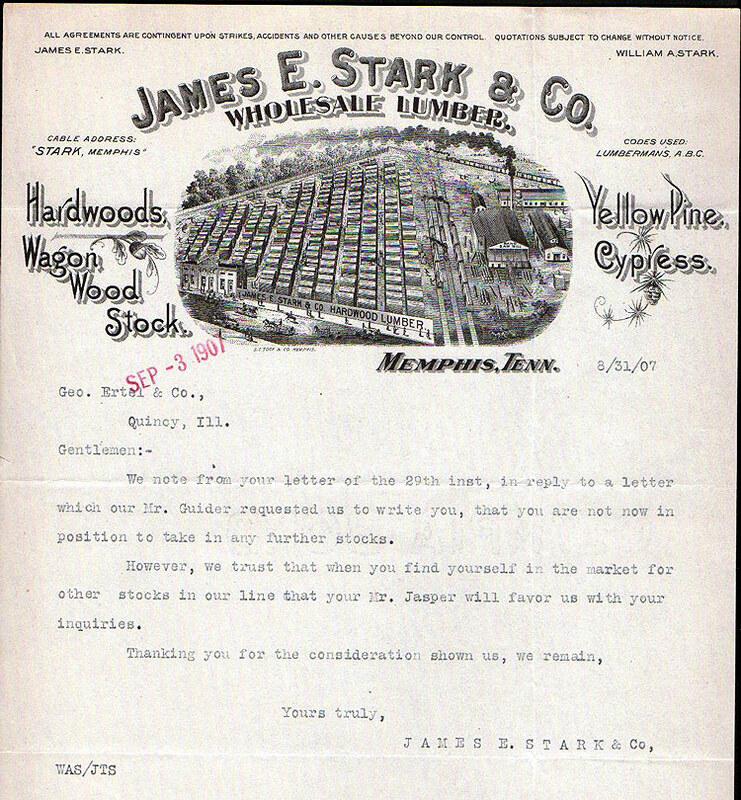 Woody graciously sent copies of the Memphis files to us for use on the Historic-Memphis website. 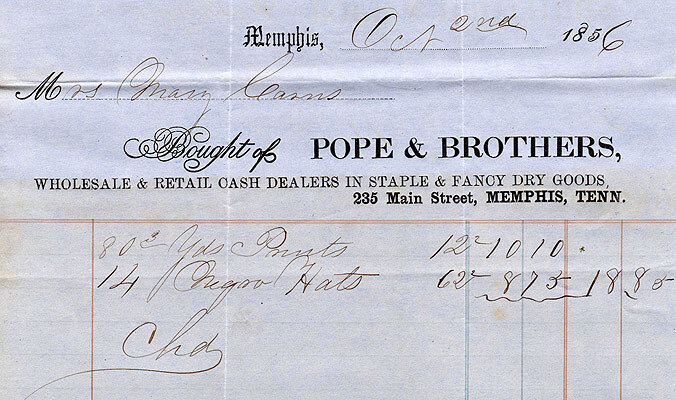 We felt this major gift deserved a separate page on the website and have added additional billheads that we own. 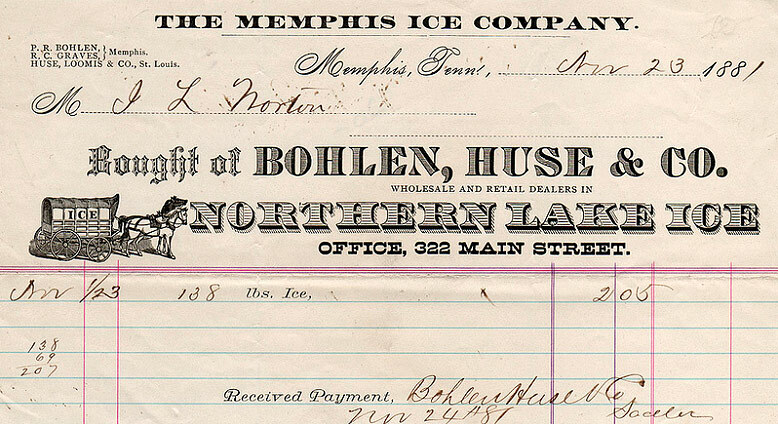 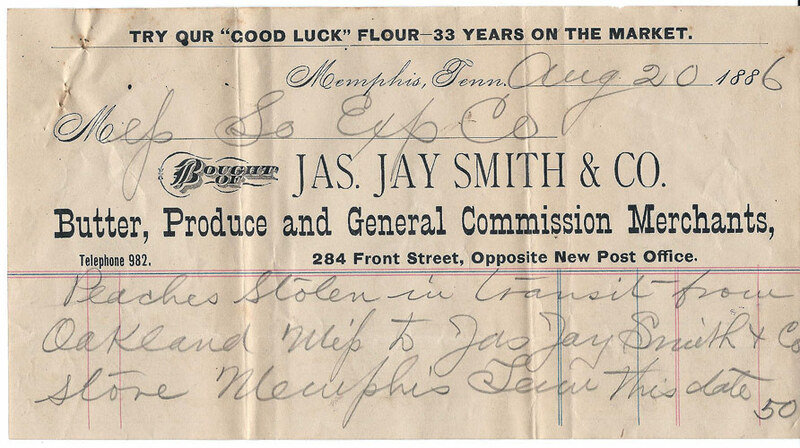 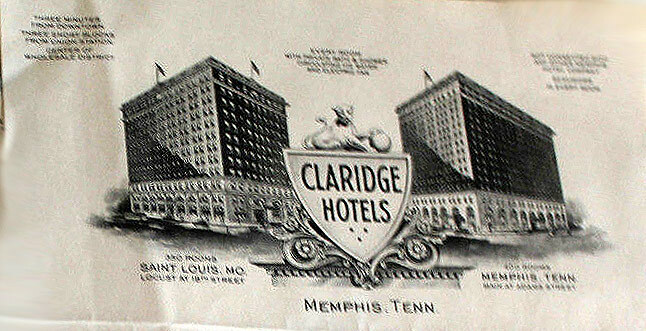 We hope it will become a useful resource for those who are doing projects on early Memphis. 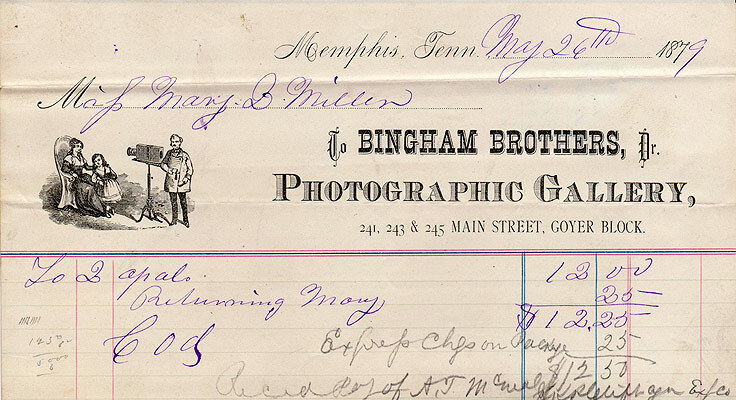 There are over 250 photos. 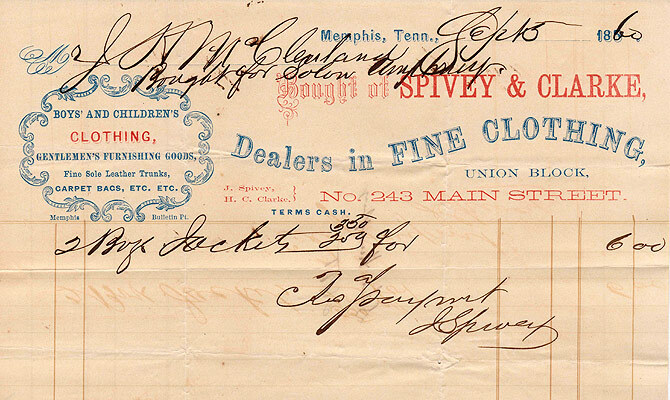 Click on any letter of the alphabet (below) to move instantly to the names that begin with that letter. 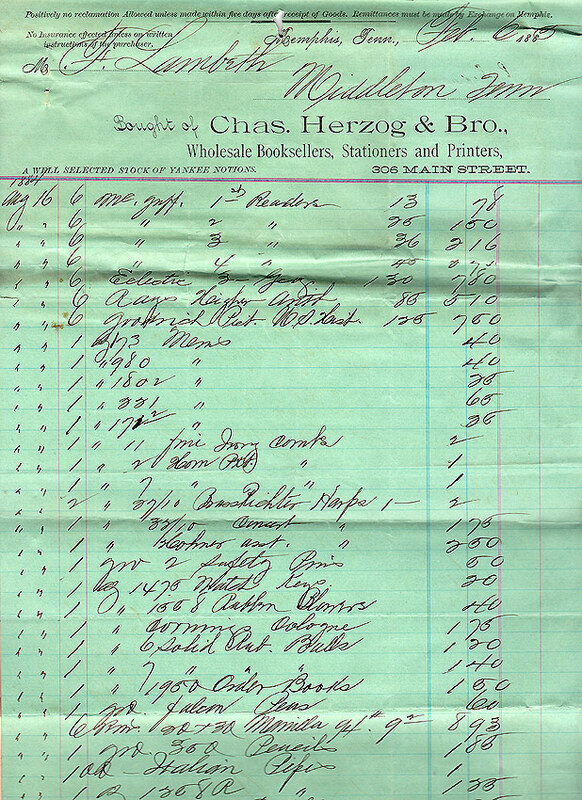 The alphabet appears on about every 10th row. 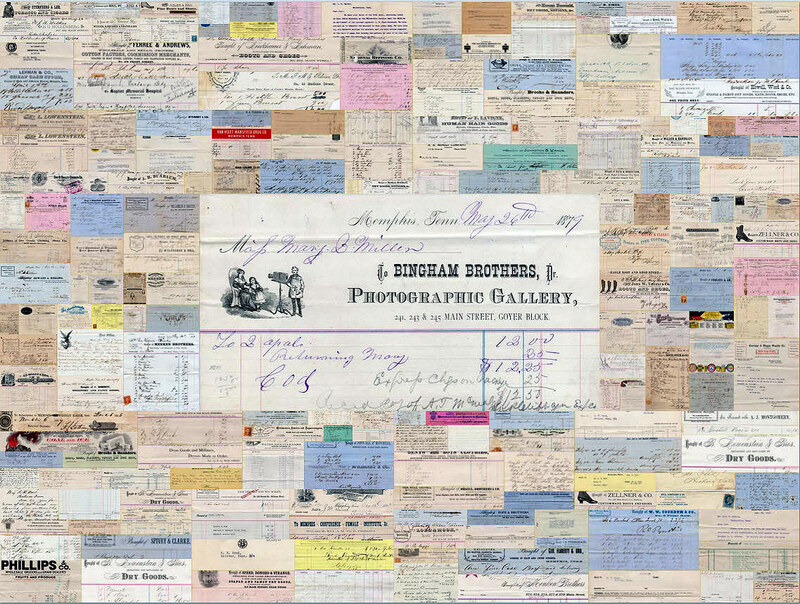 Click on the small thumbnails to see larger images. 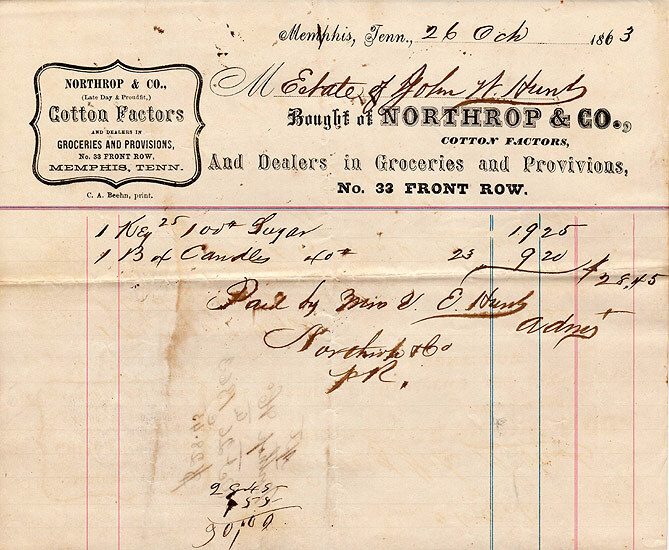 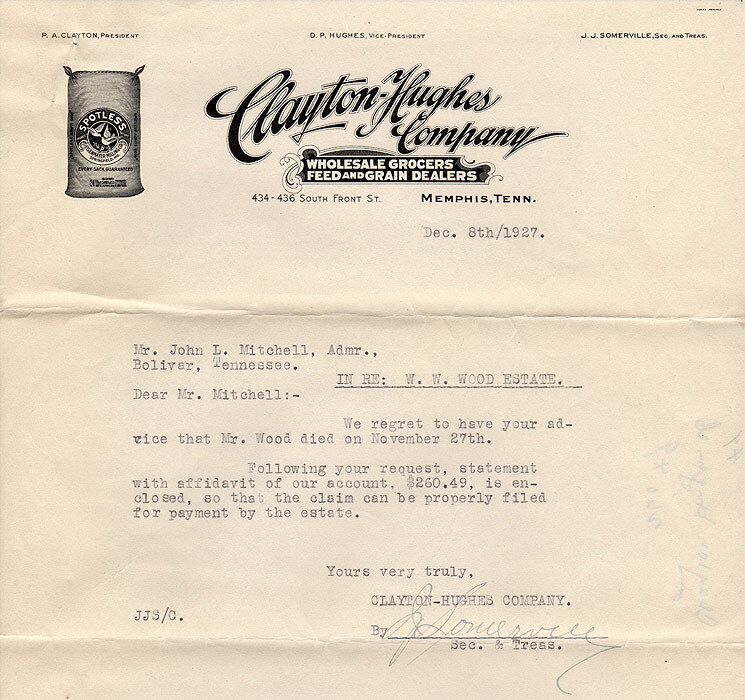 F. H. Clark & Co.
J. H. Coffin & Co.